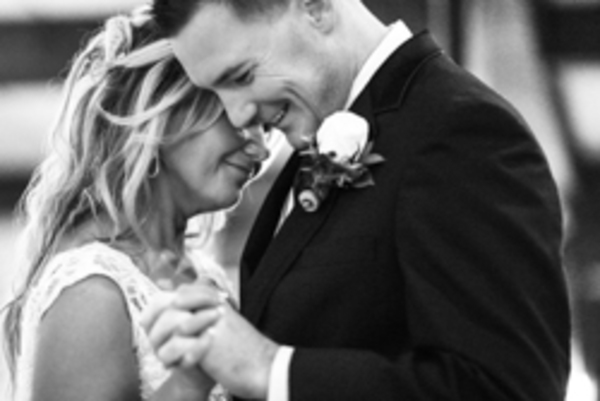 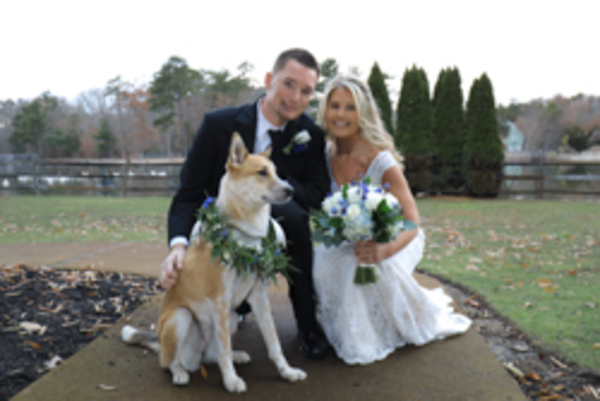 Congratulations to Kelly and Chris on their marriage! 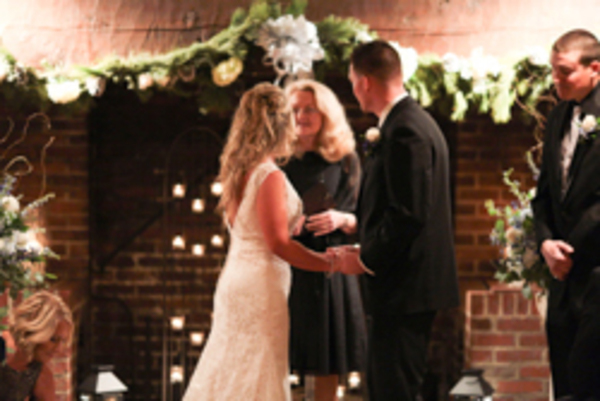 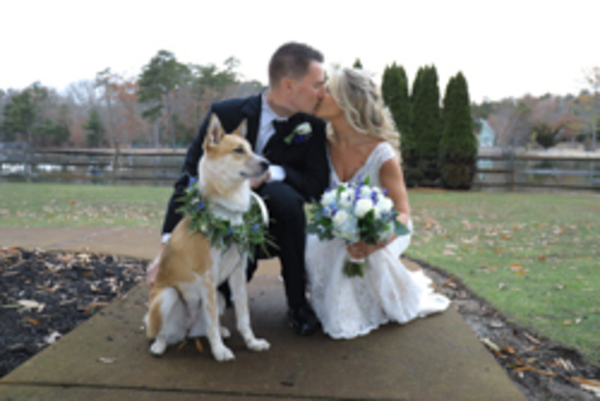 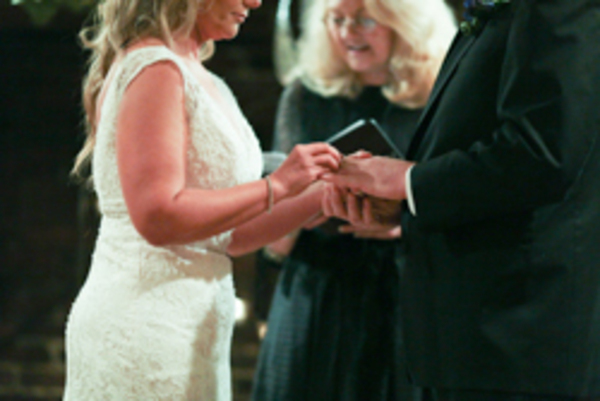 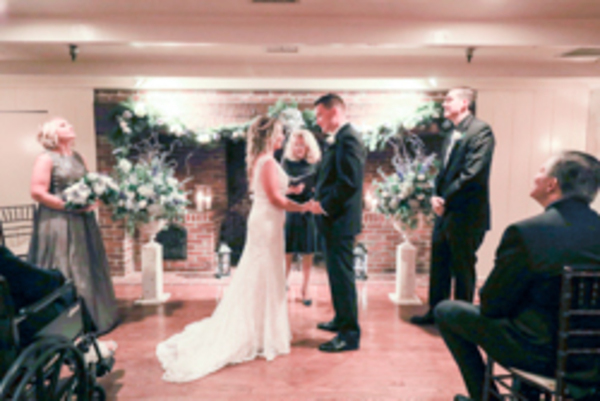 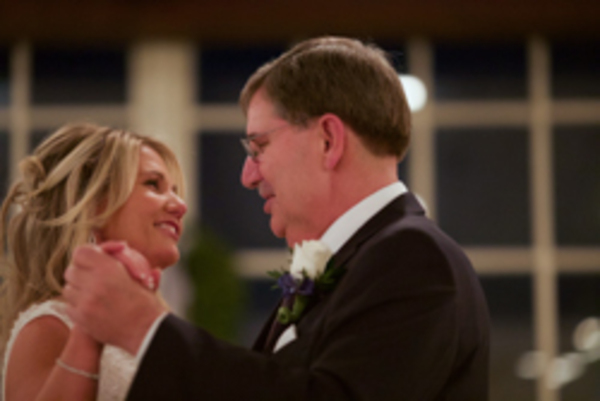 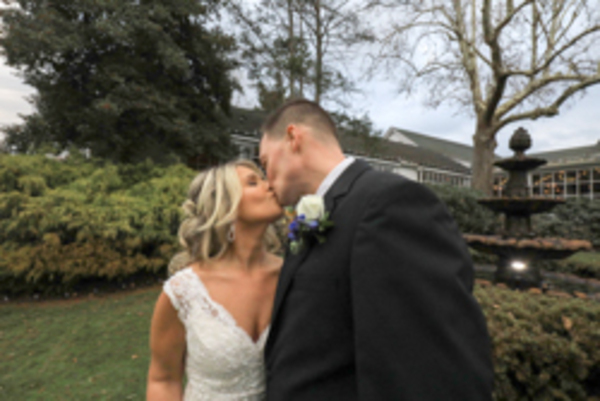 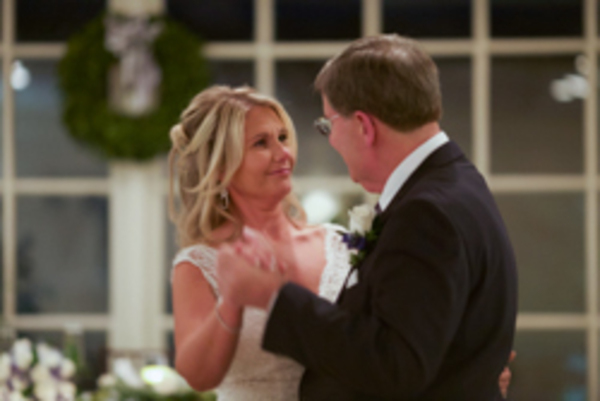 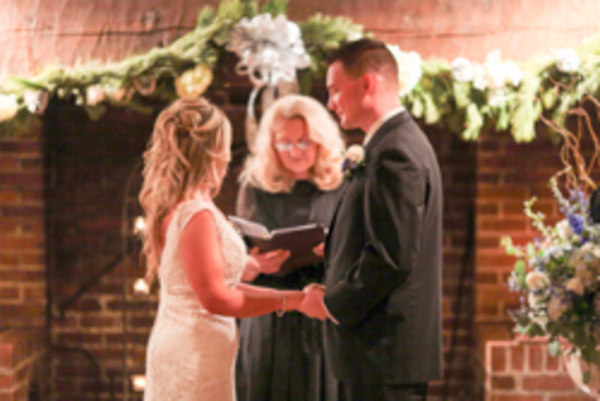 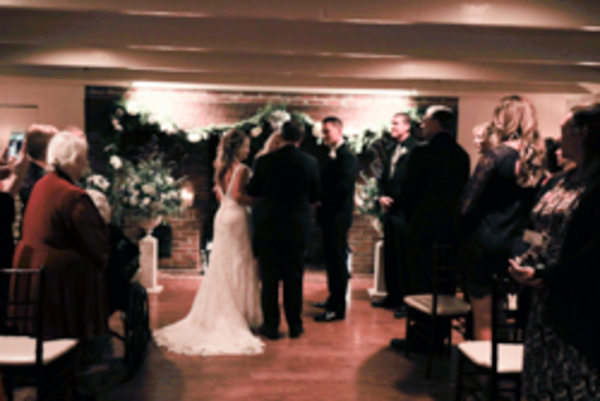 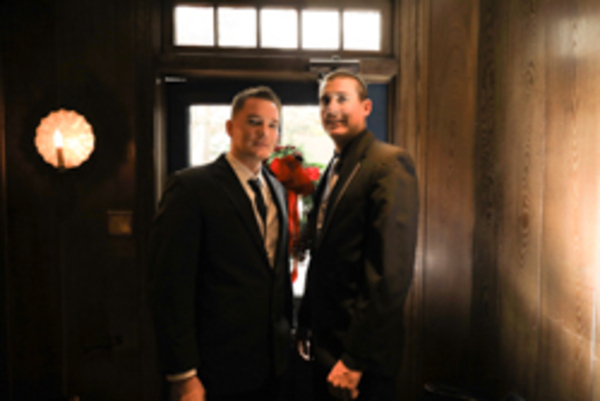 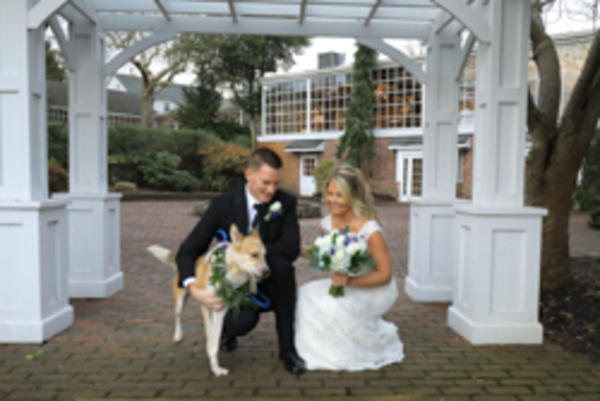 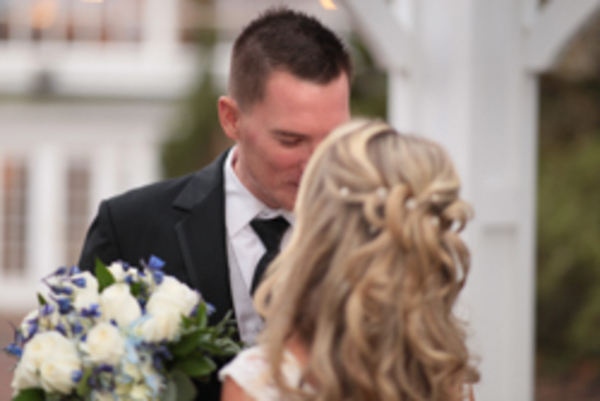 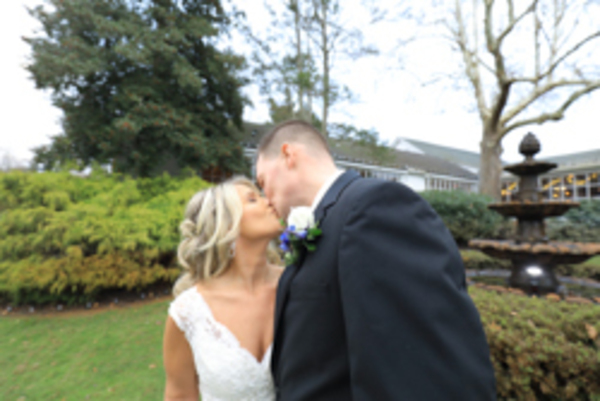 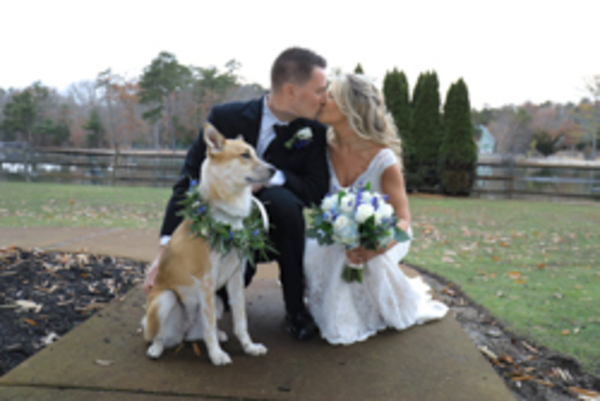 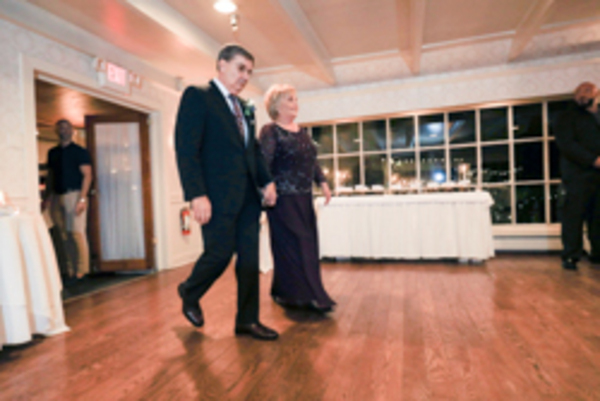 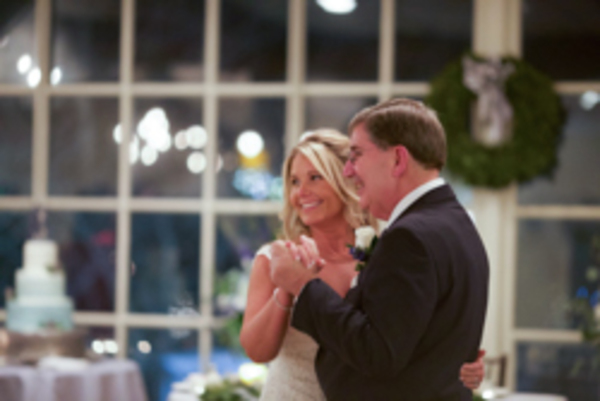 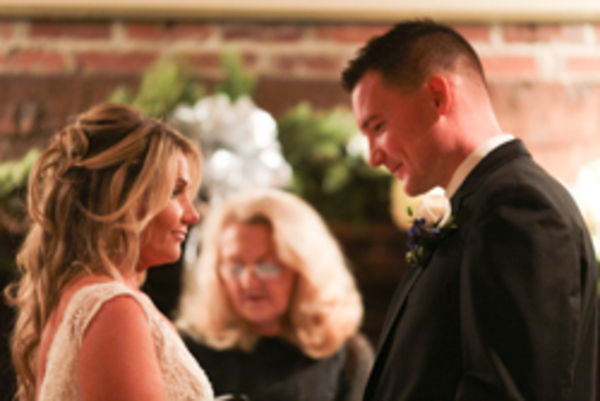 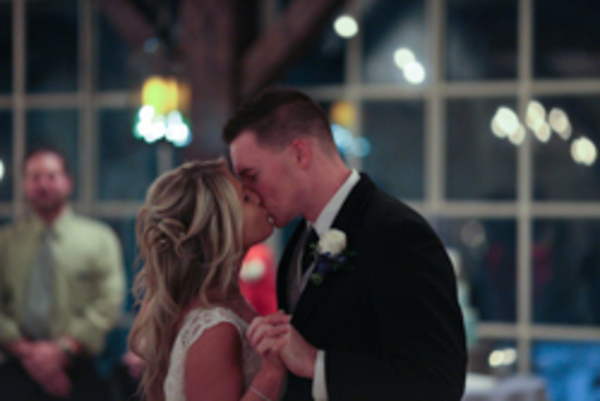 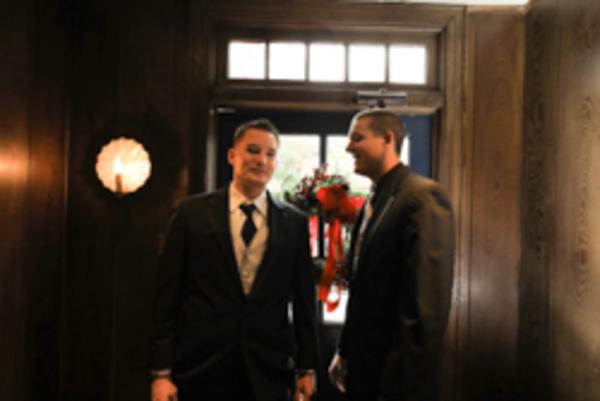 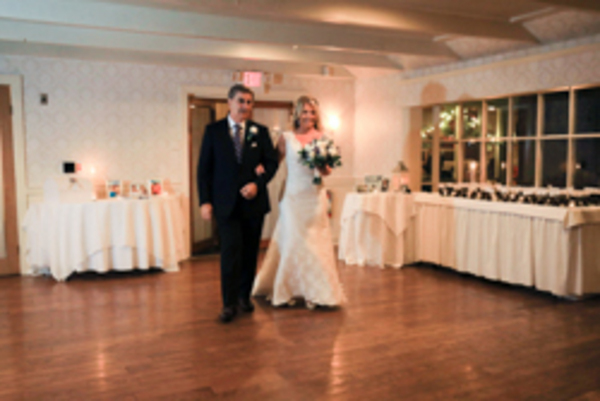 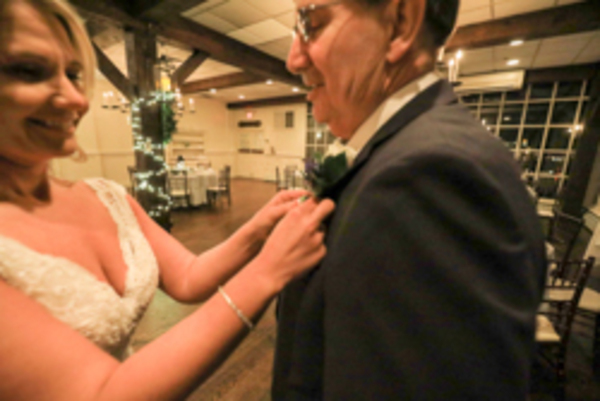 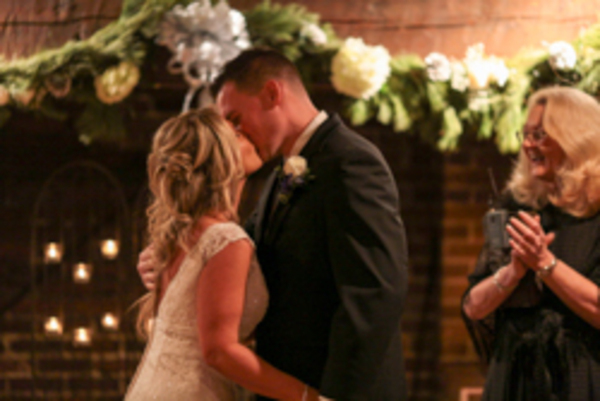 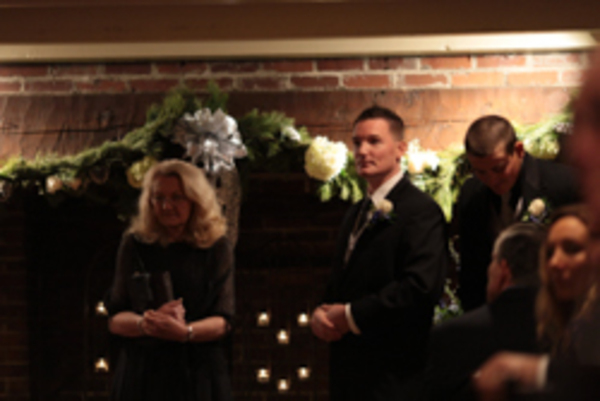 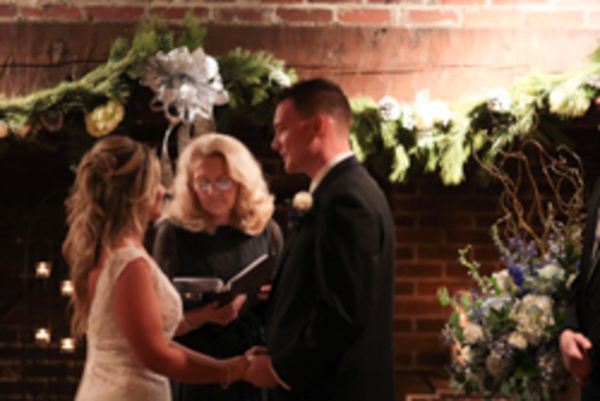 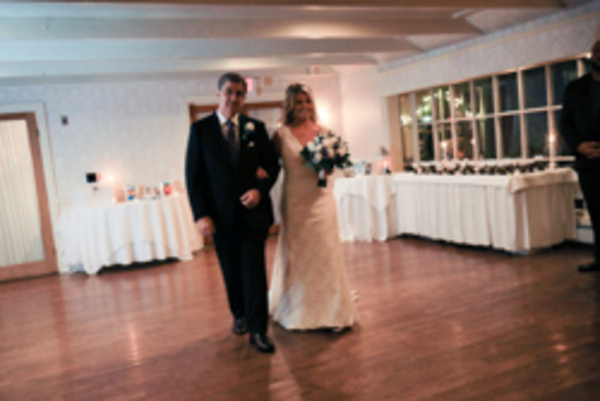 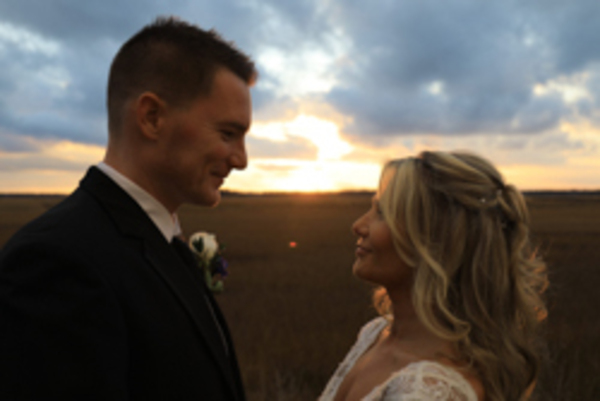 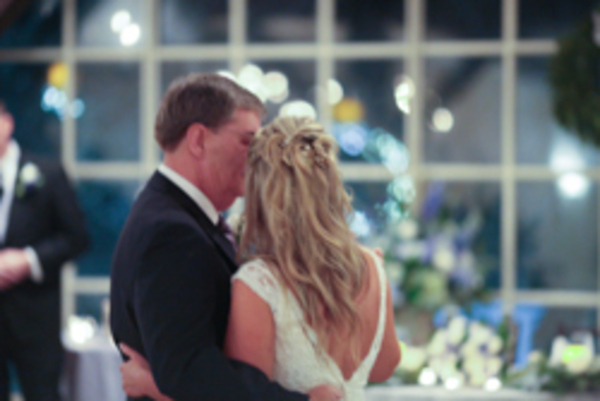 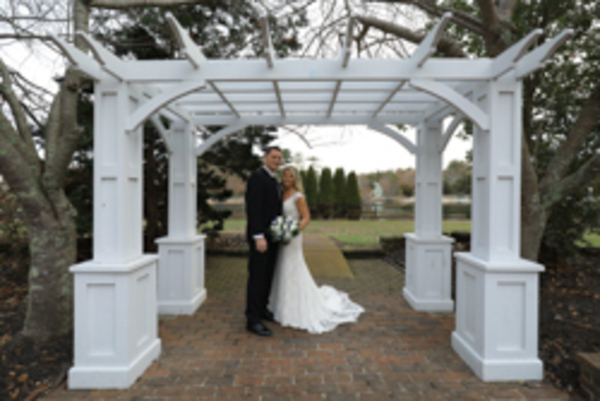 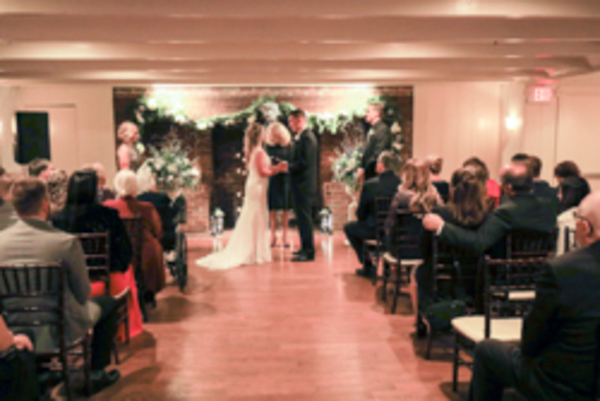 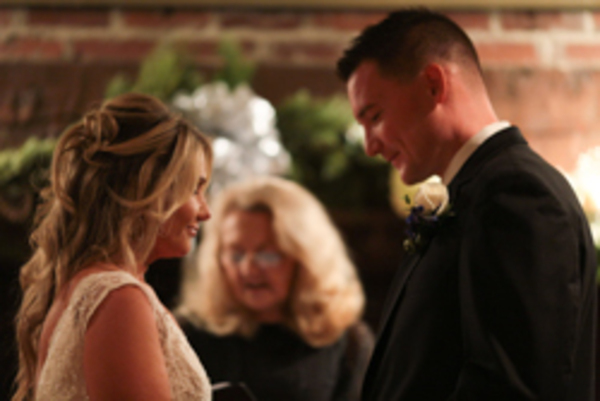 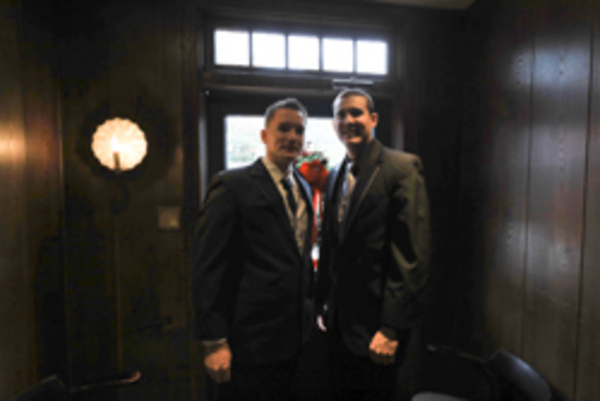 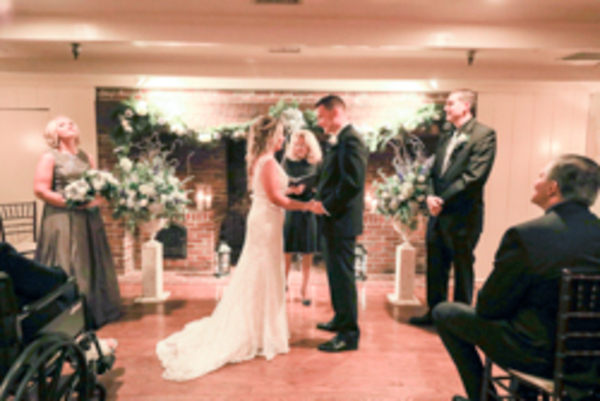 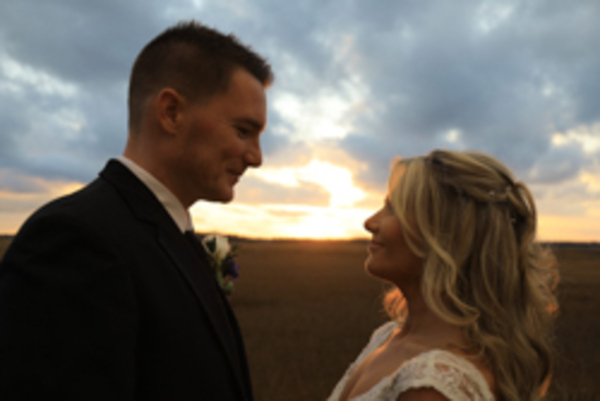 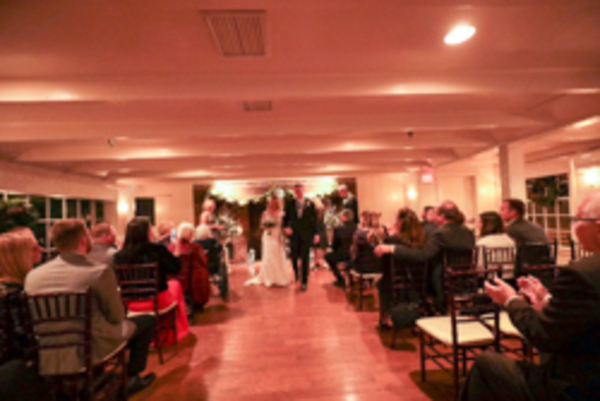 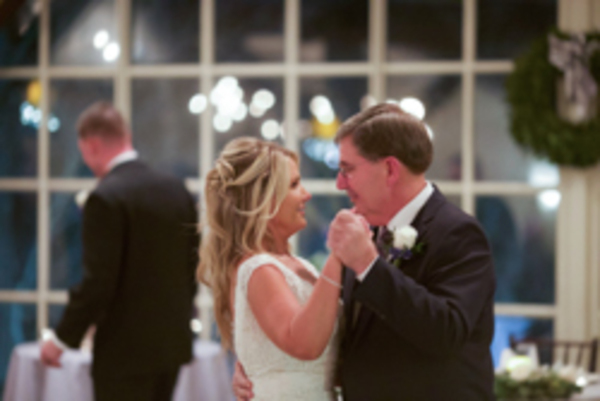 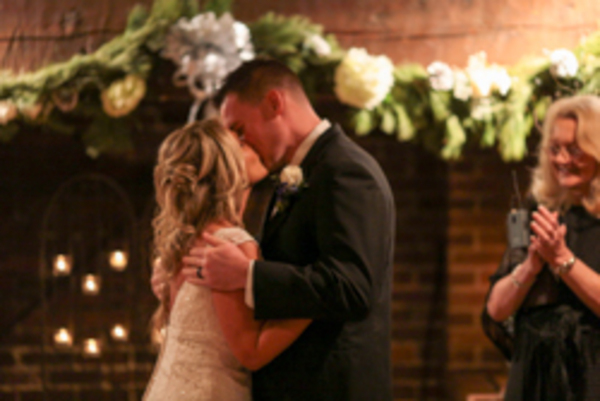 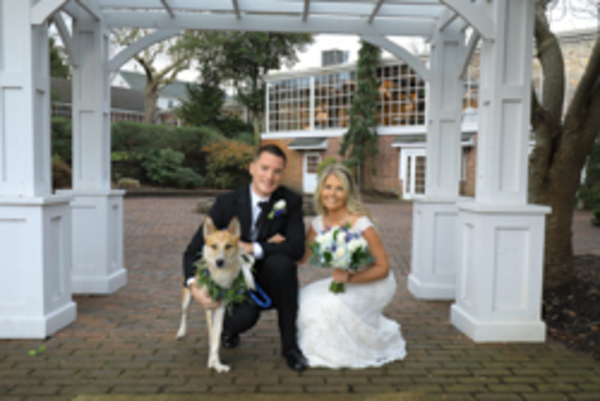 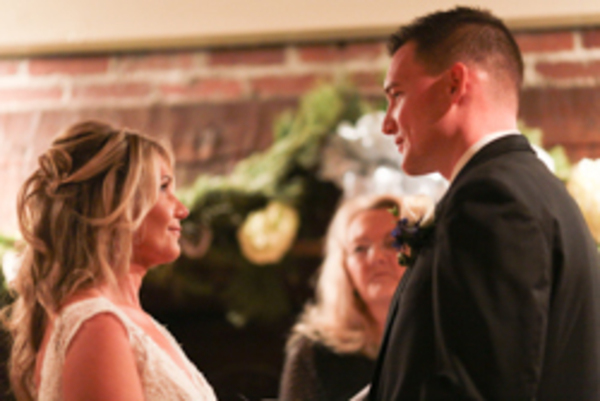 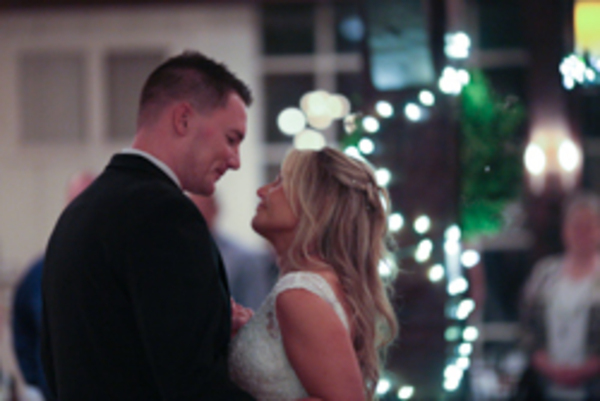 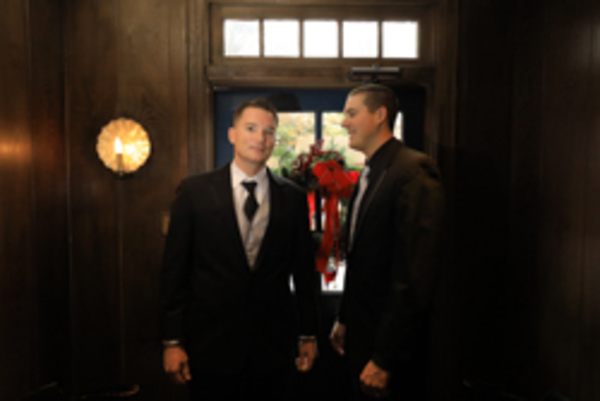 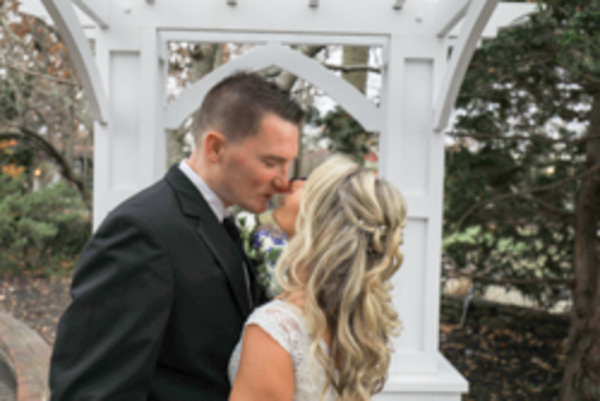 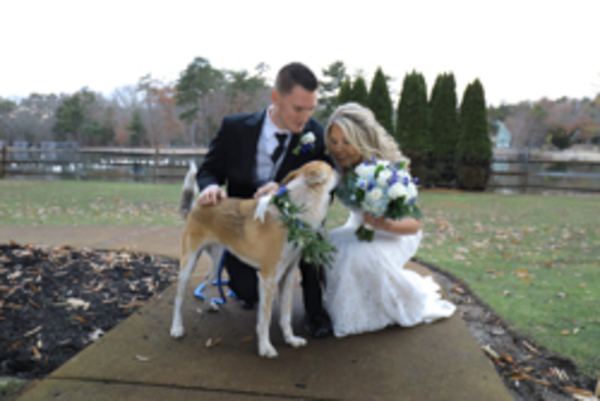 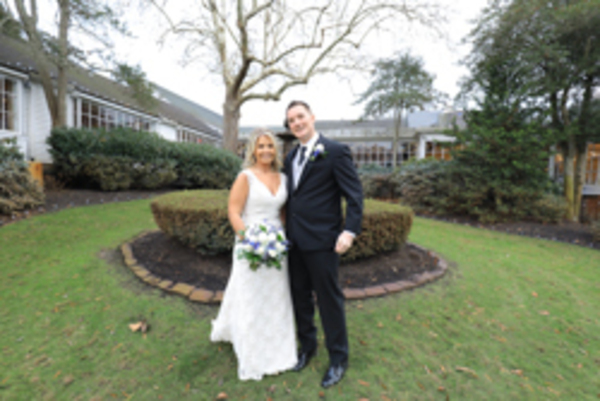 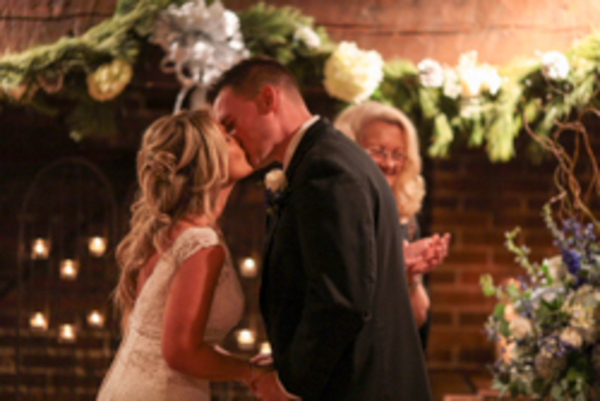 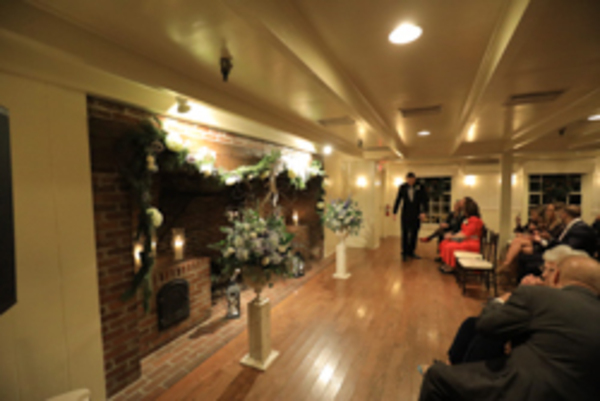 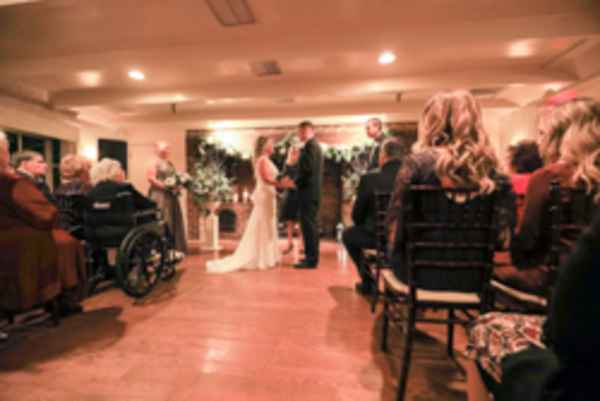 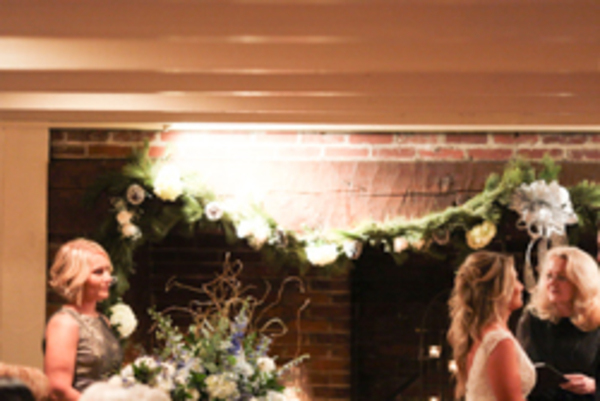 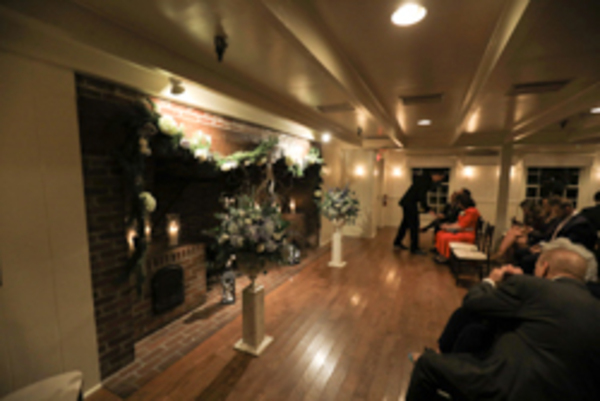 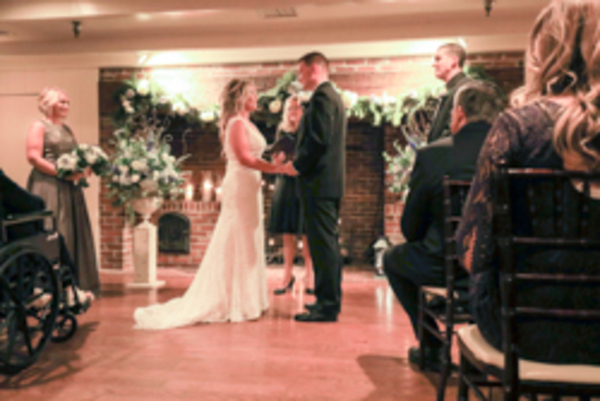 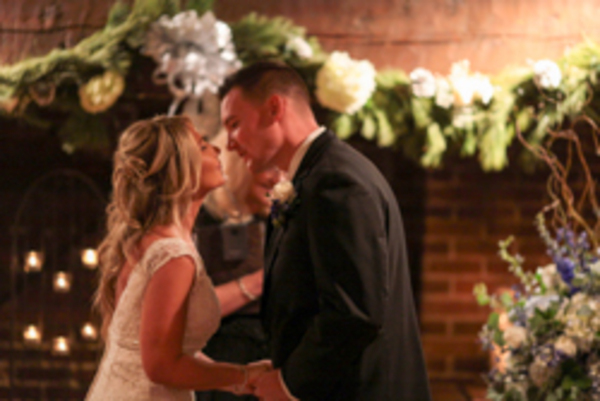 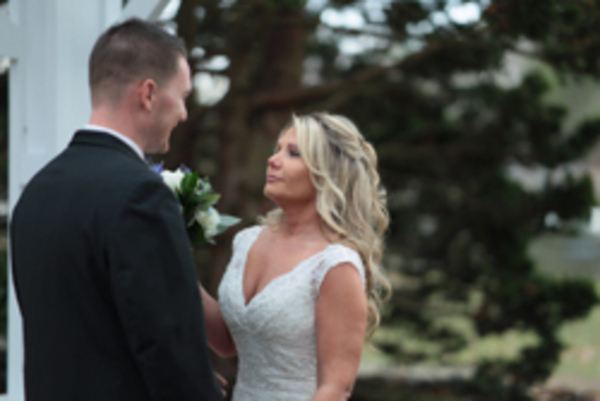 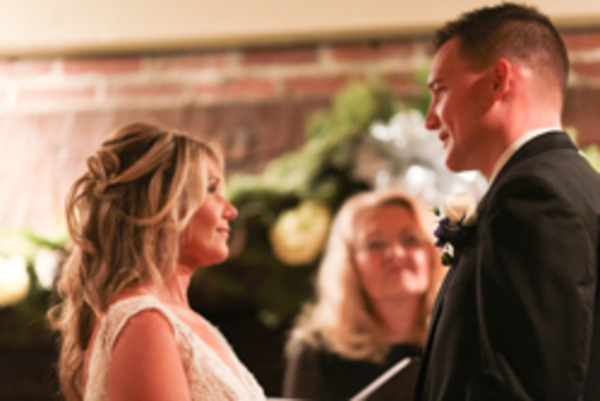 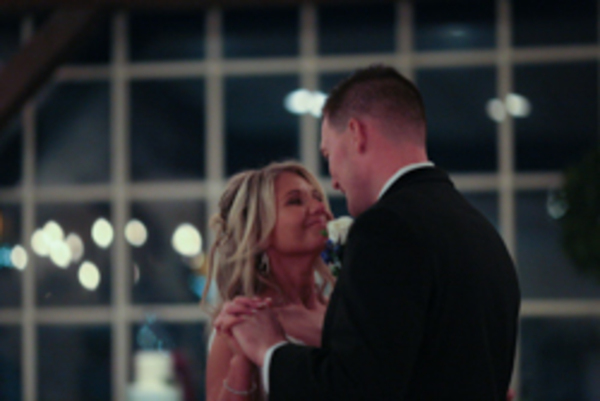 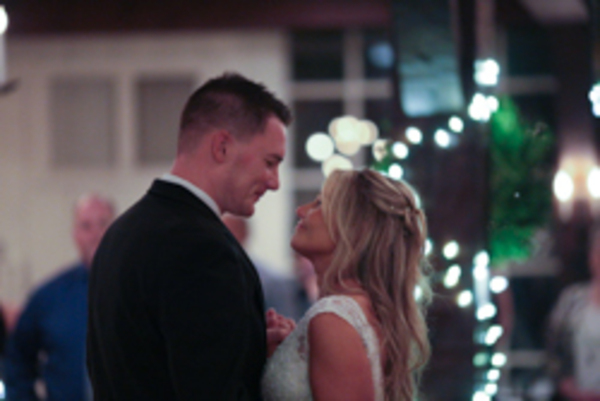 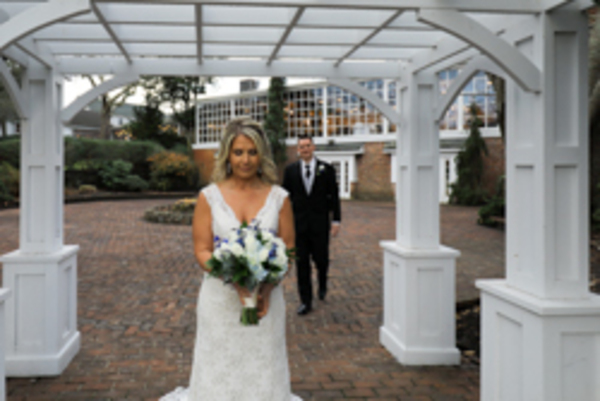 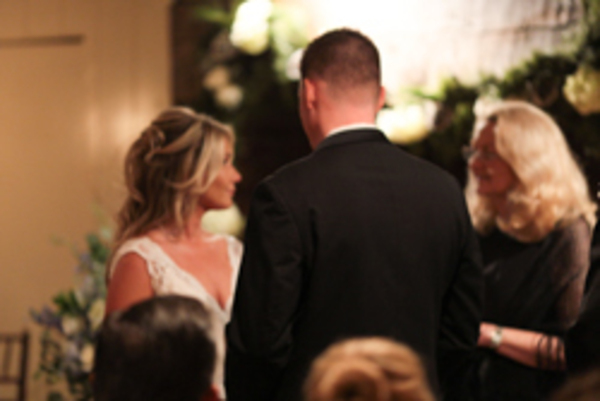 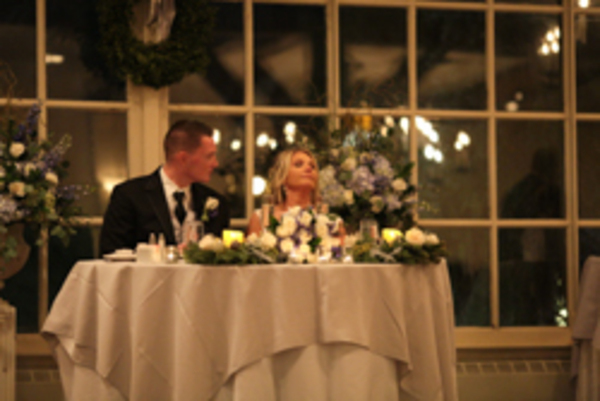 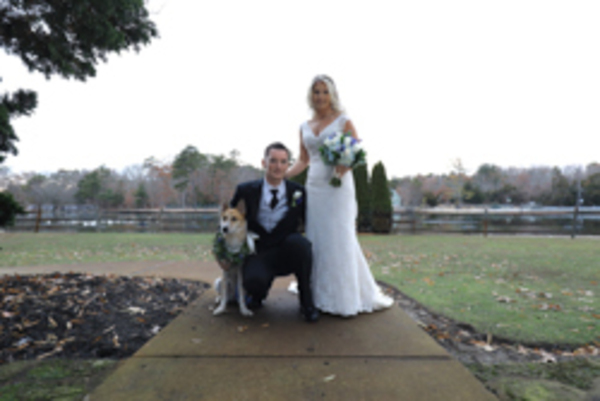 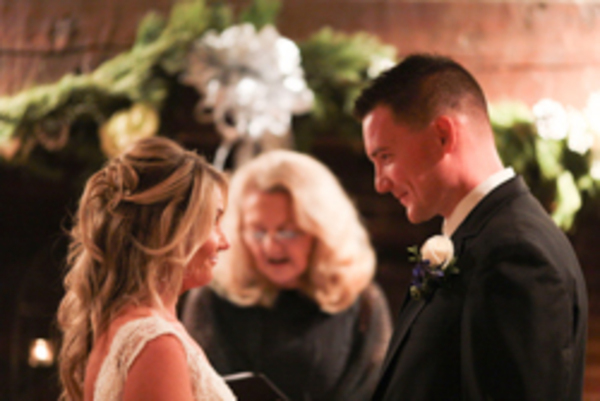 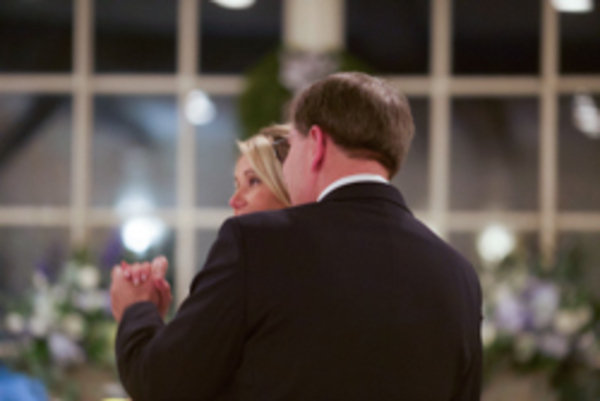 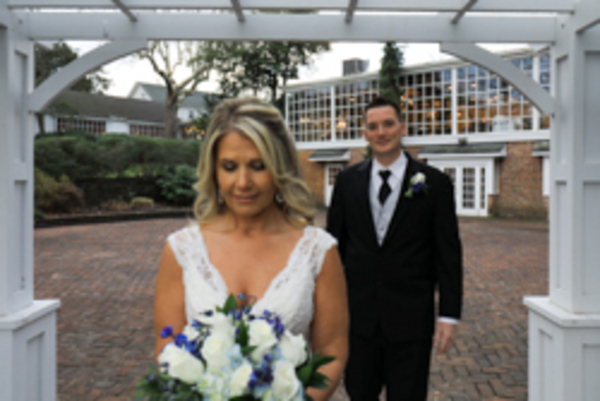 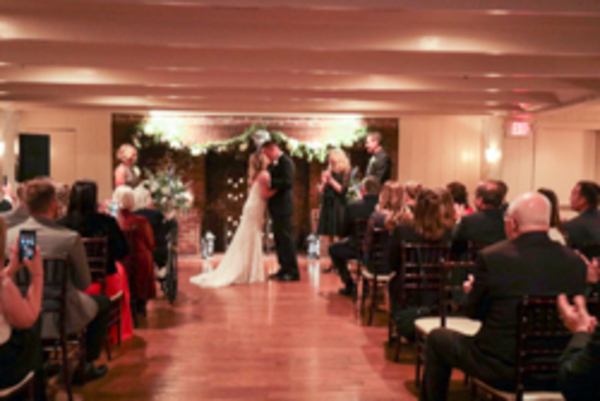 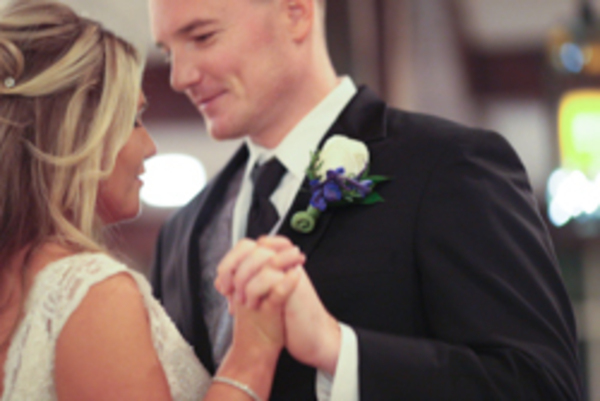 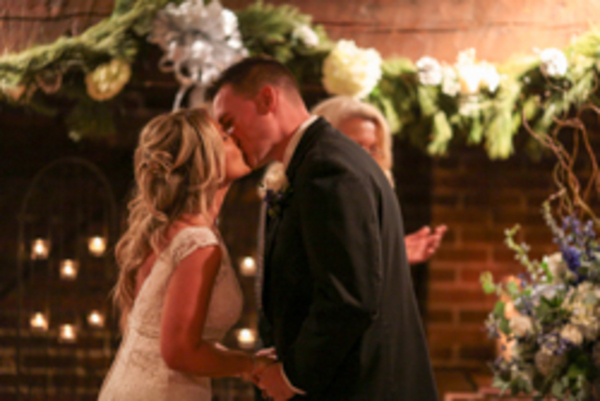 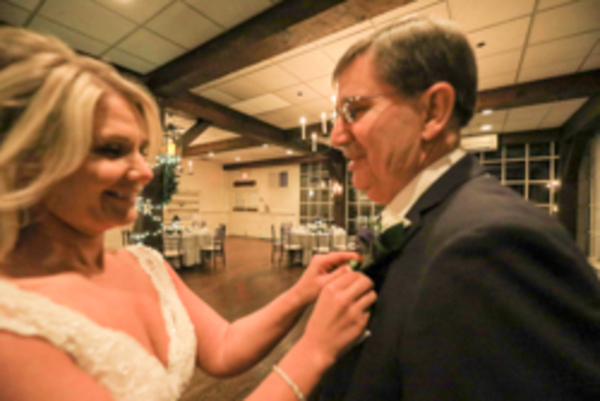 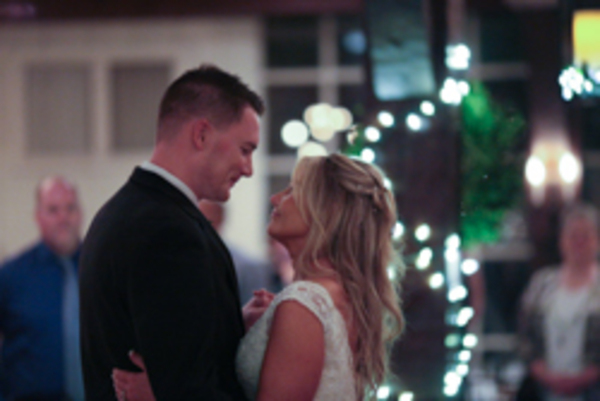 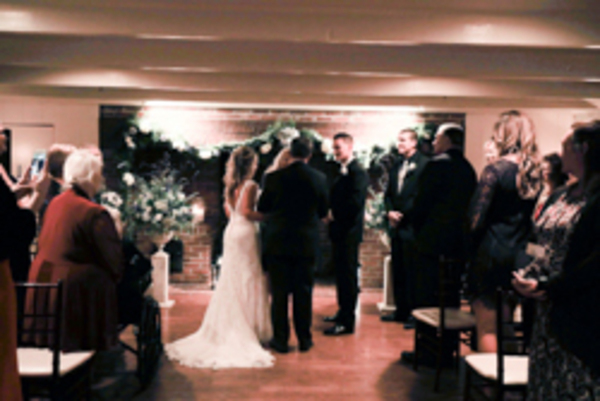 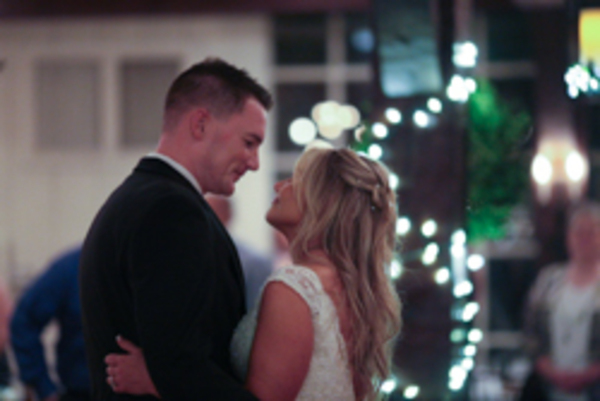 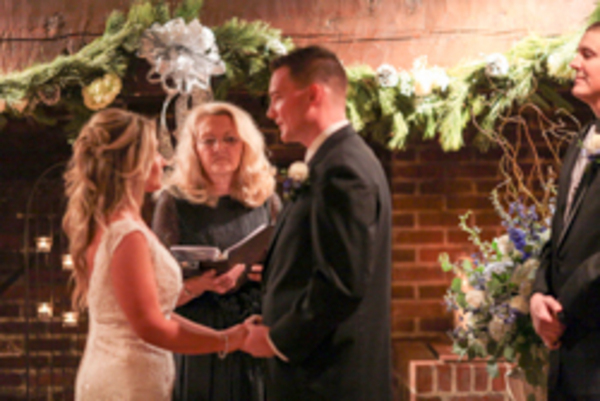 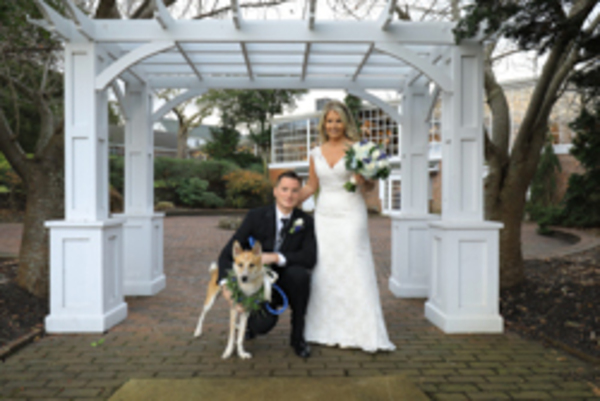 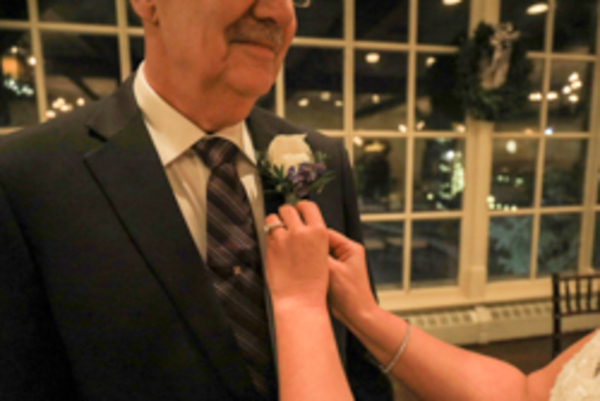 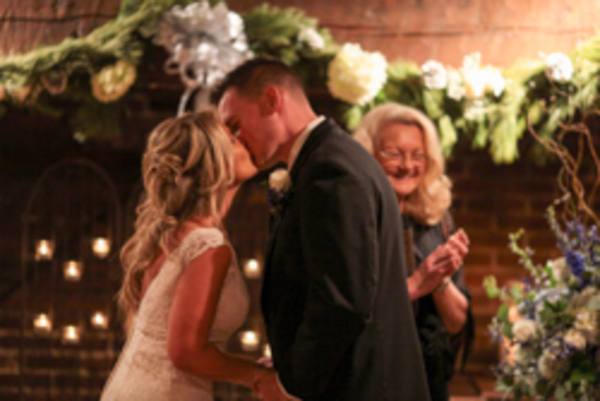 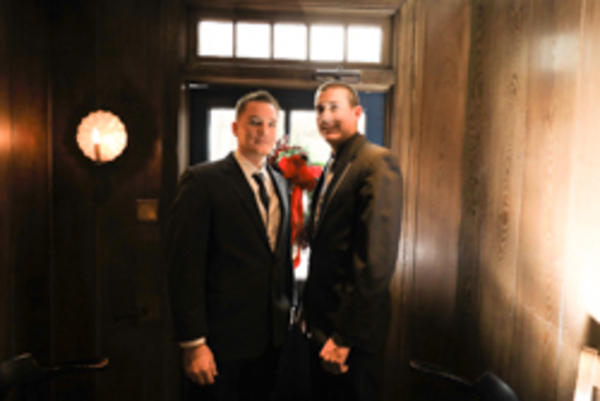 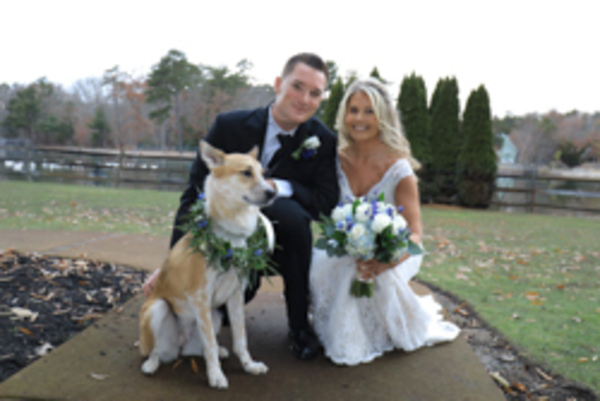 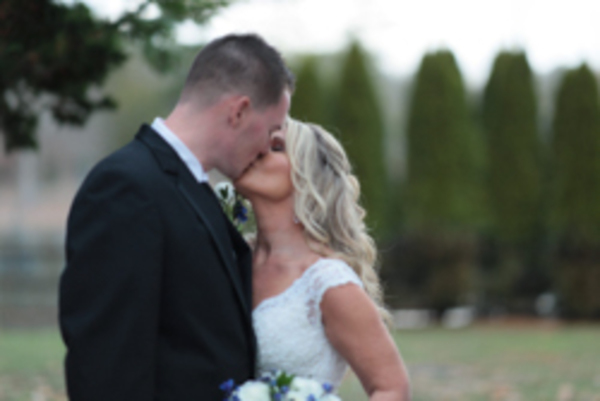 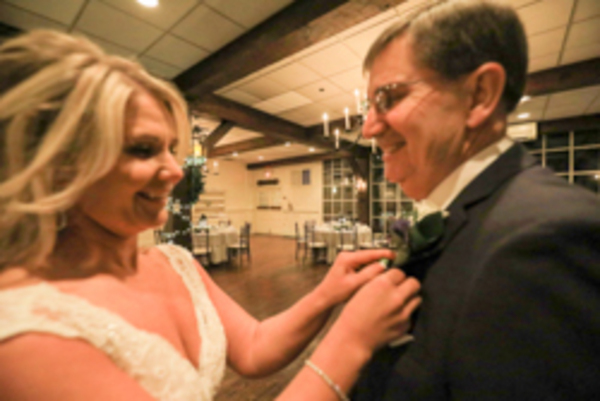 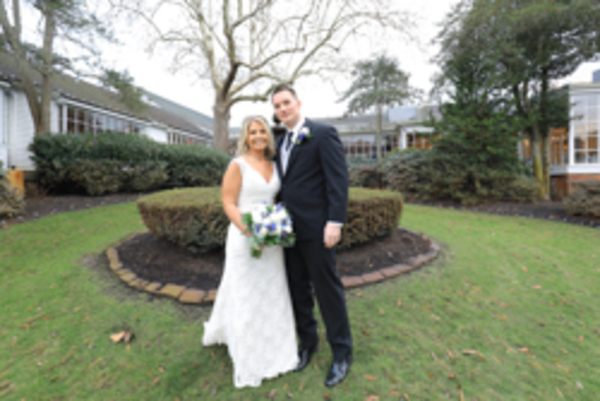 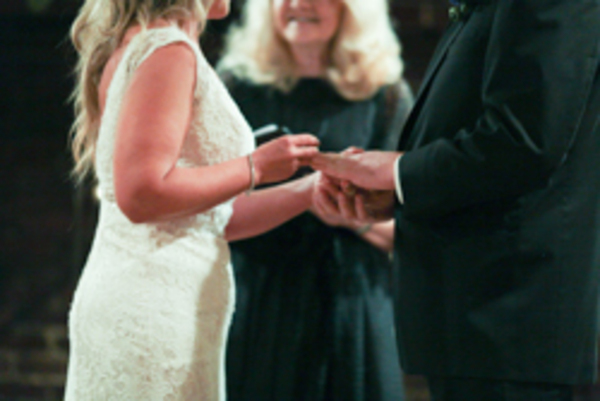 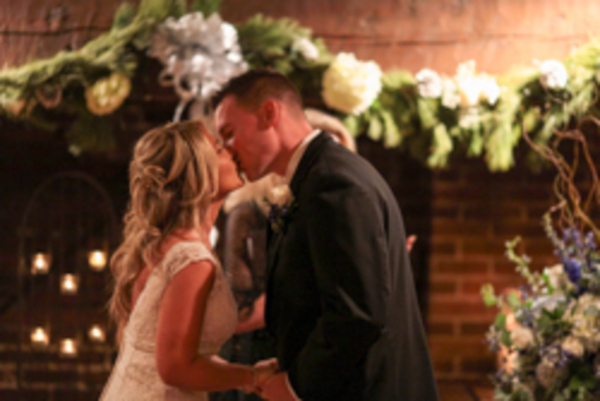 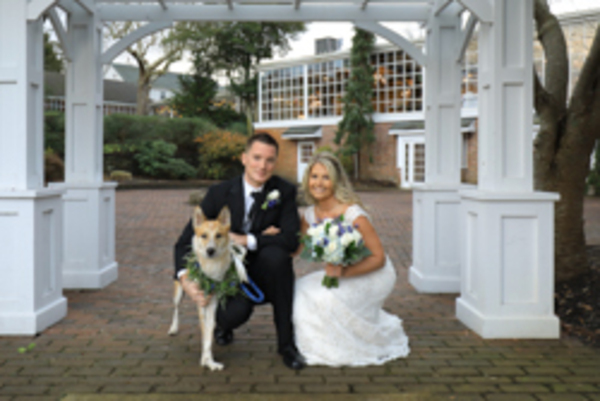 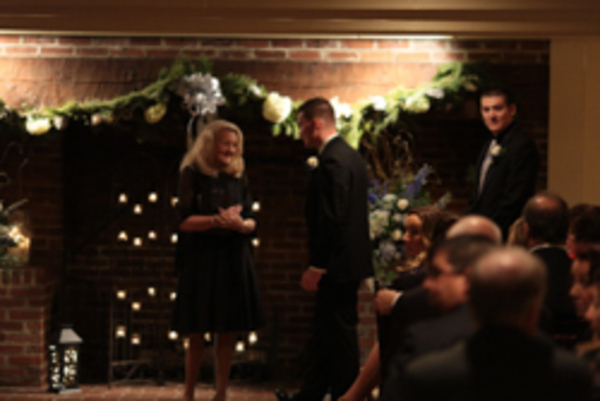 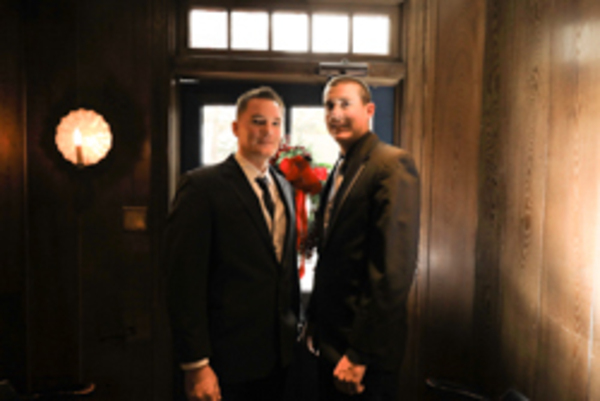 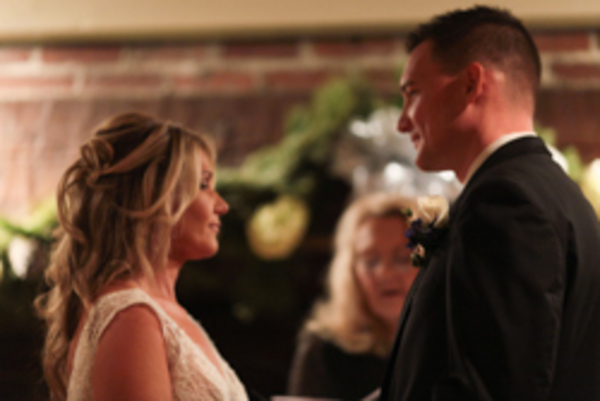 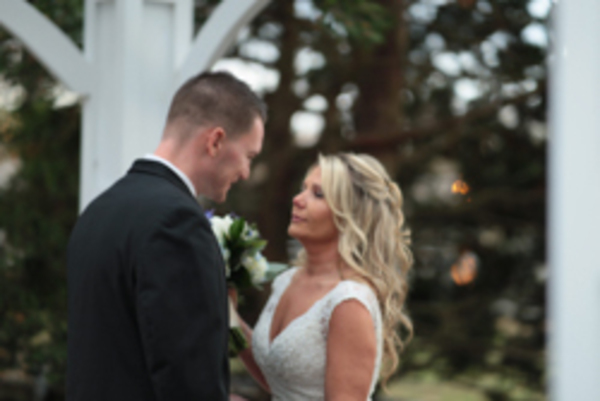 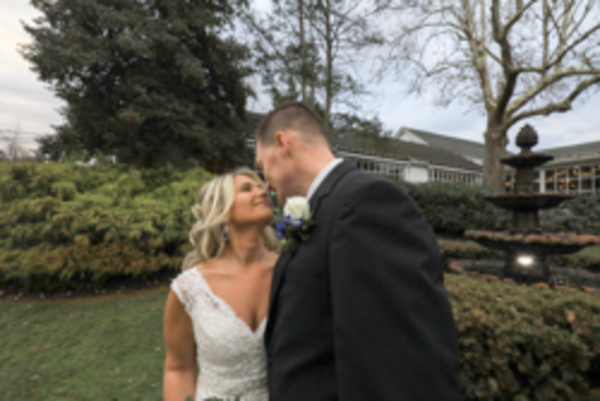 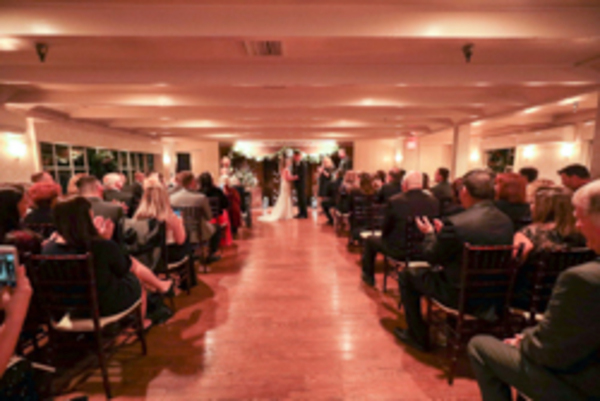 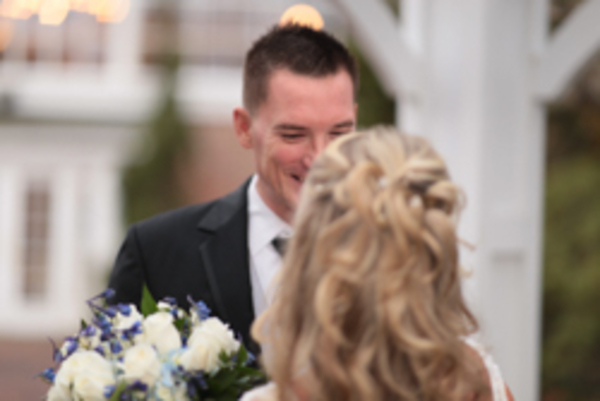 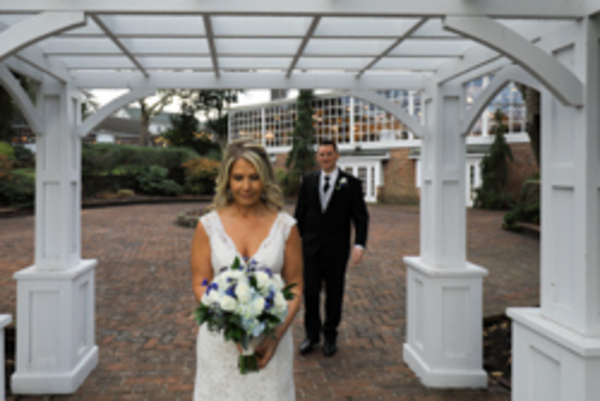 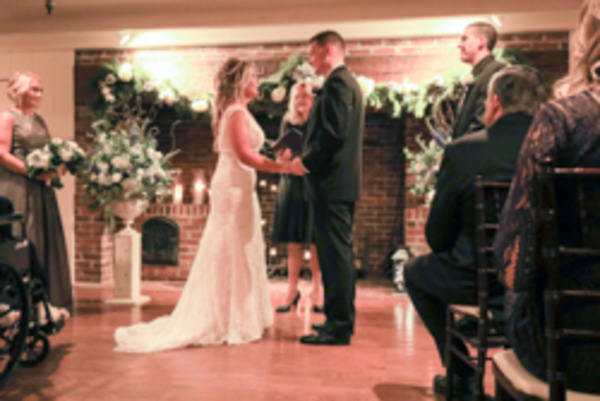 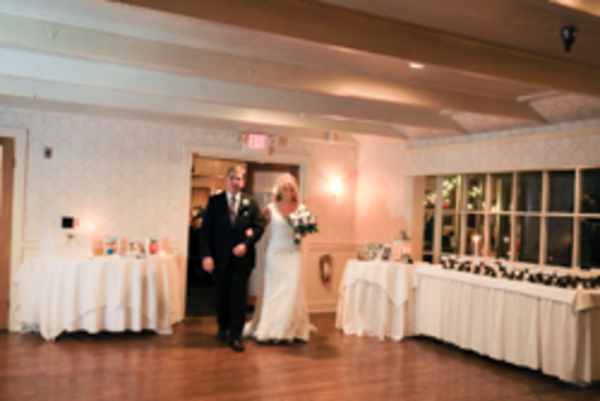 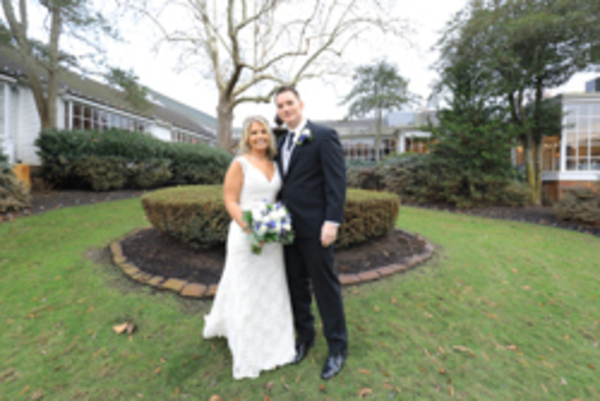 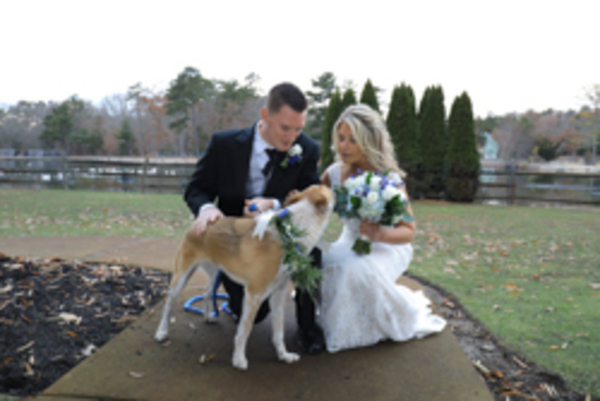 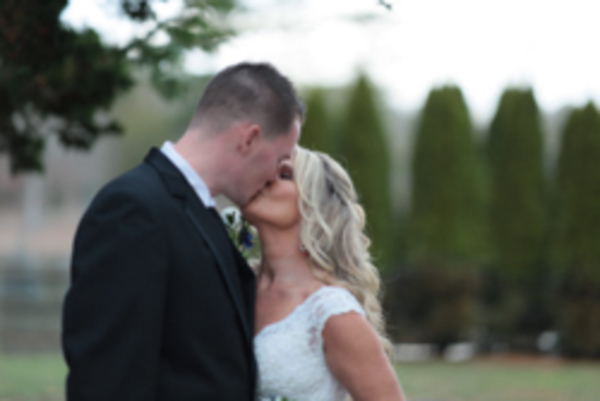 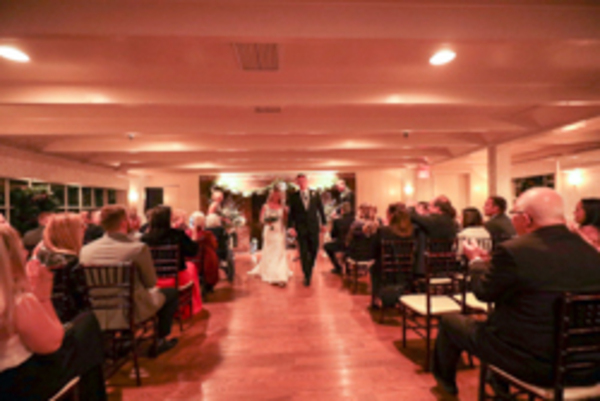 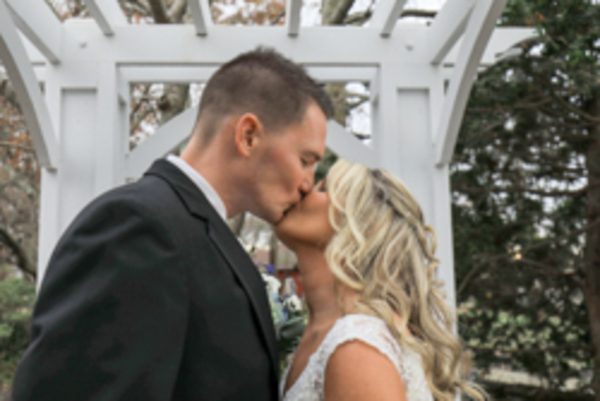 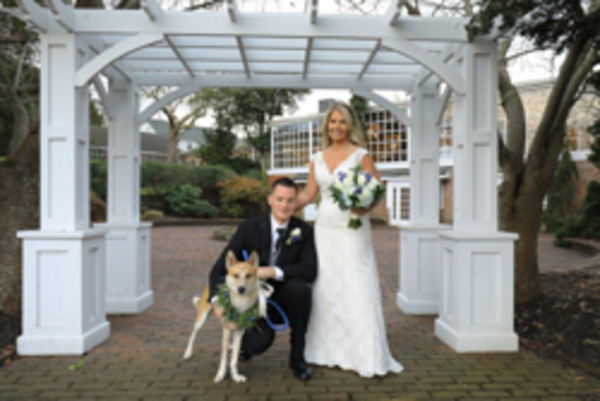 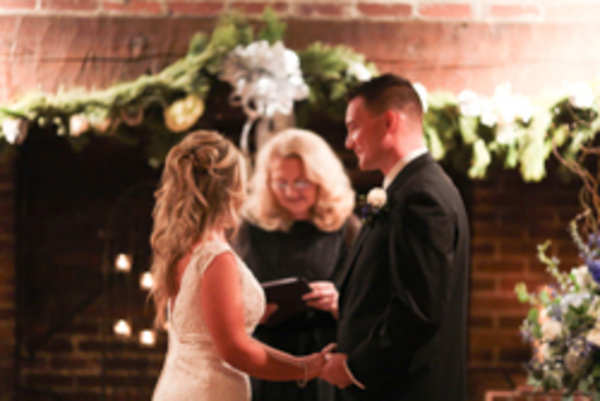 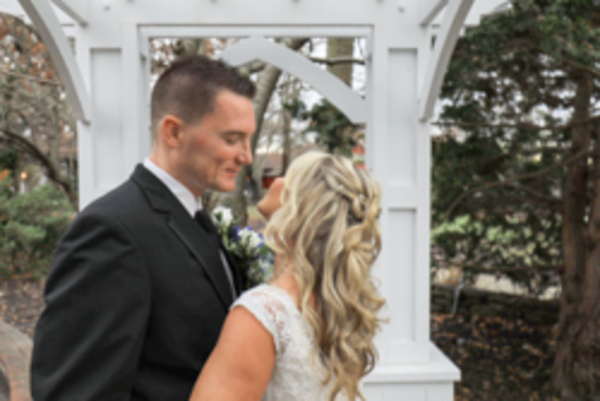 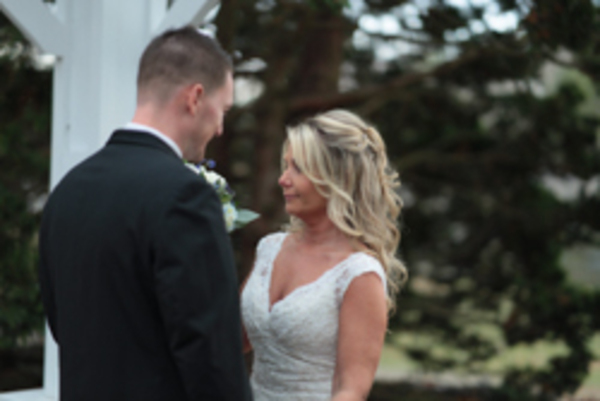 This happy couple celebrated their magical day at the adorable Smithville Inn located in Smithville, NJ. 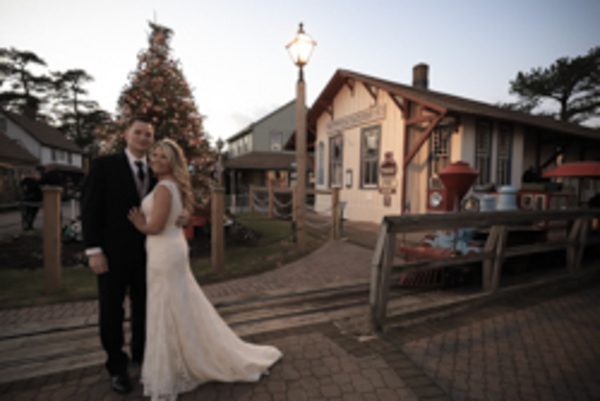 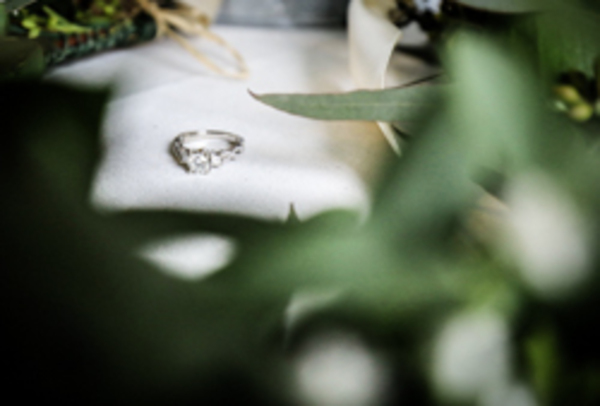 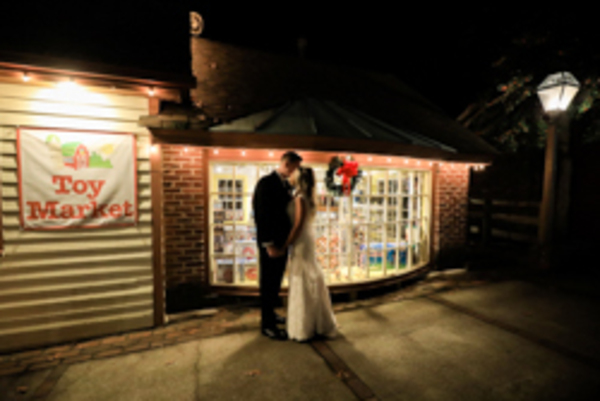 The little shops at Smithville and the scenery were all decorated with Christmas lights to create beautiful photography opportunities for our talented NJ Wedding Photographer! 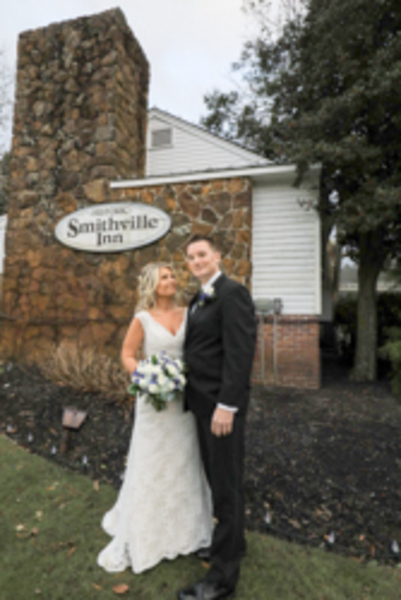 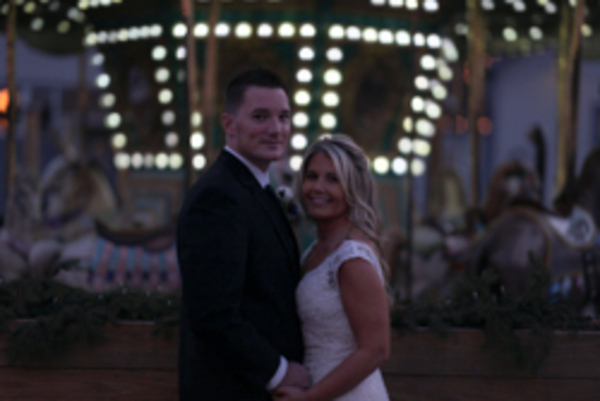 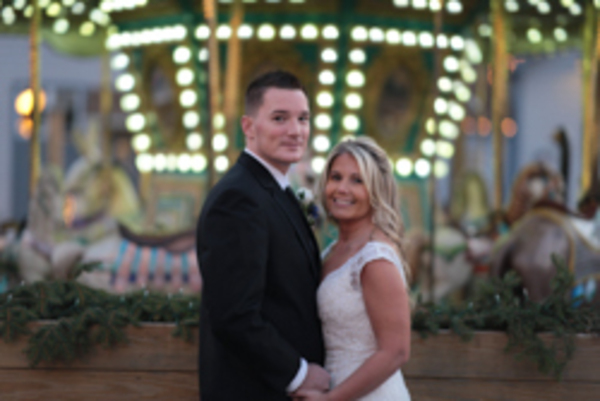 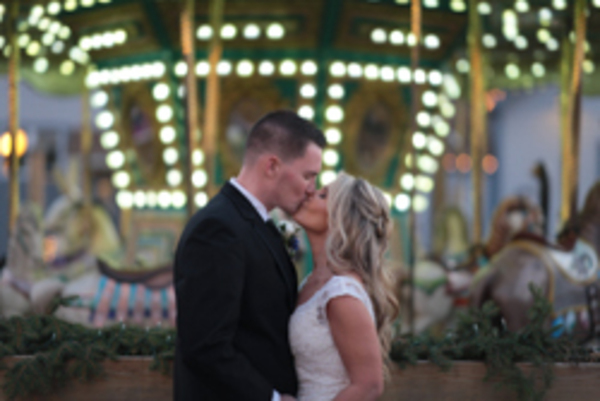 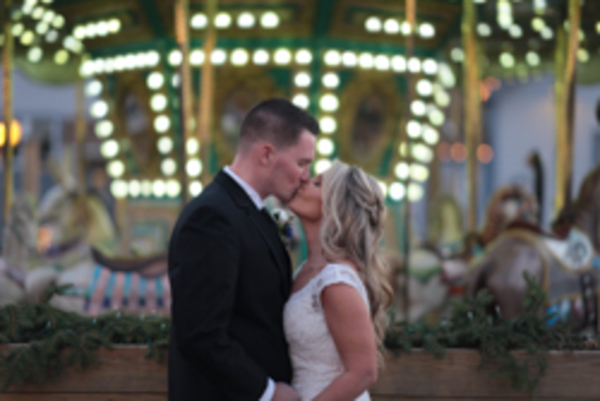 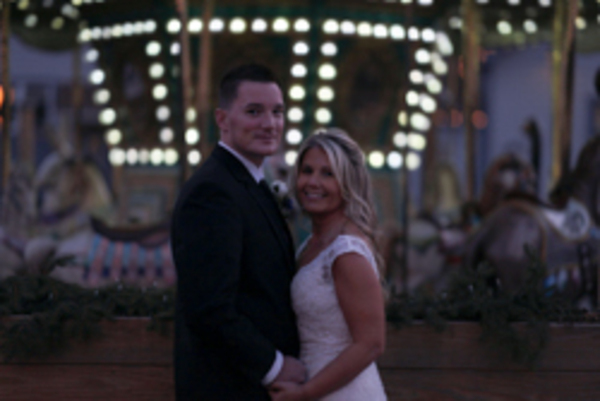 During their outdoor portrait session, Kelly and Chris posed for pictures under the Smithville Inn sign, in front of the merry-go-round, and more fun landmarks around the shops. 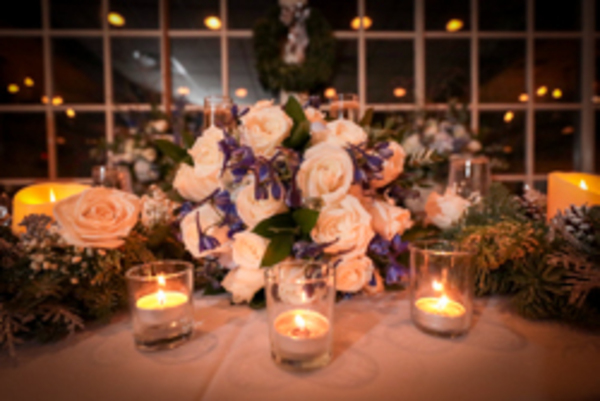 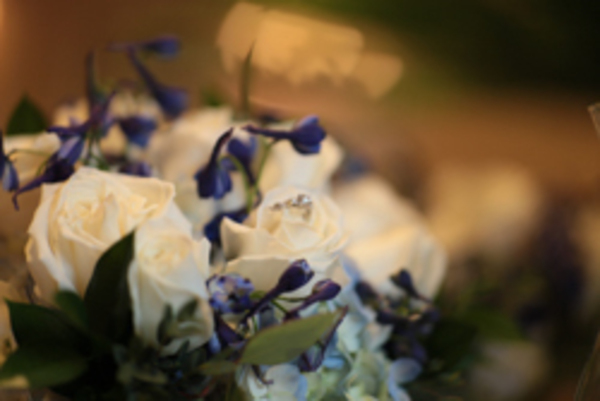 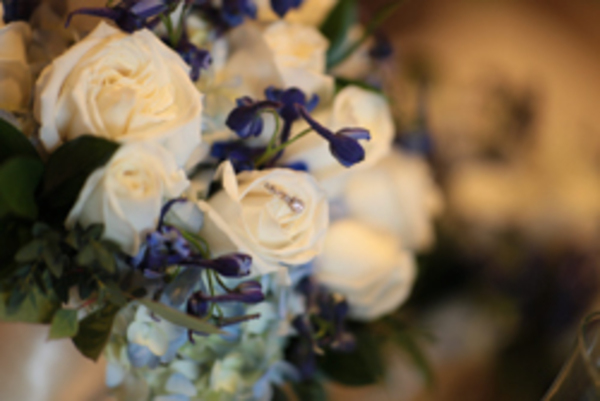 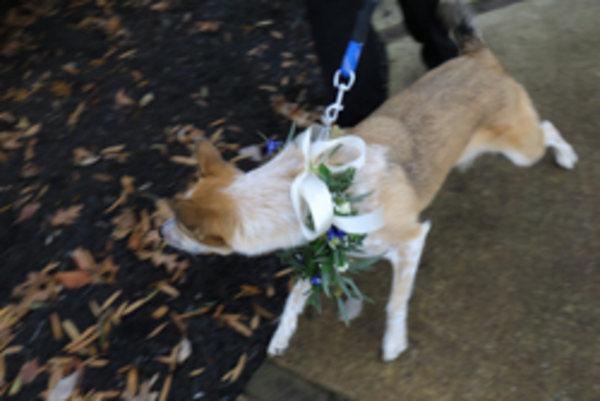 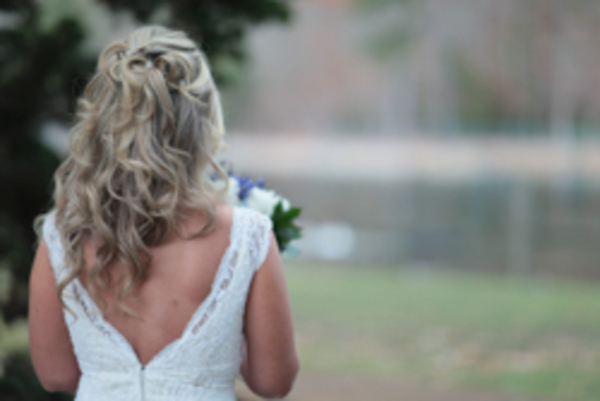 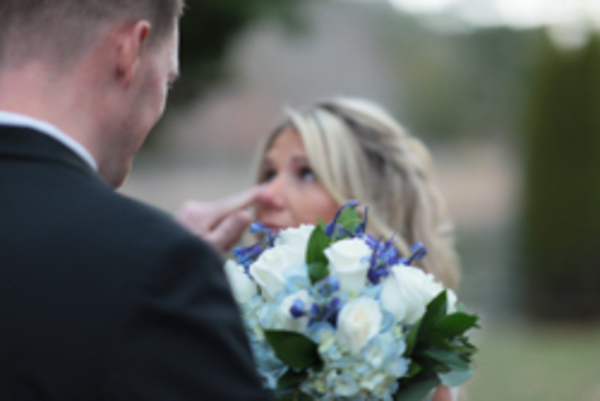 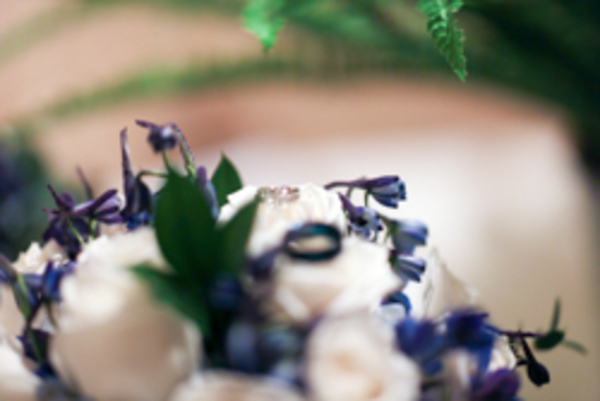 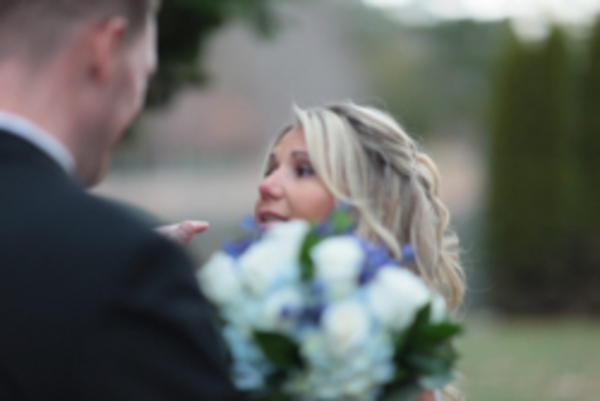 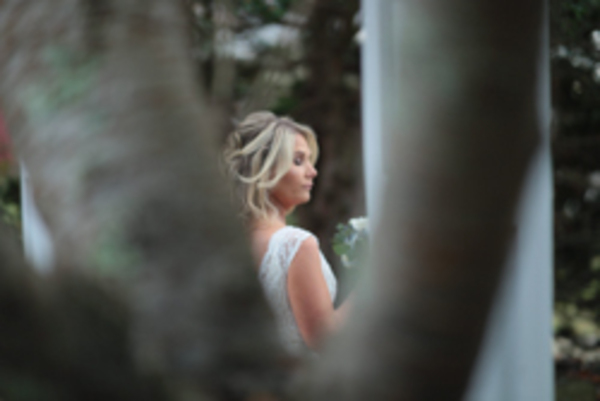 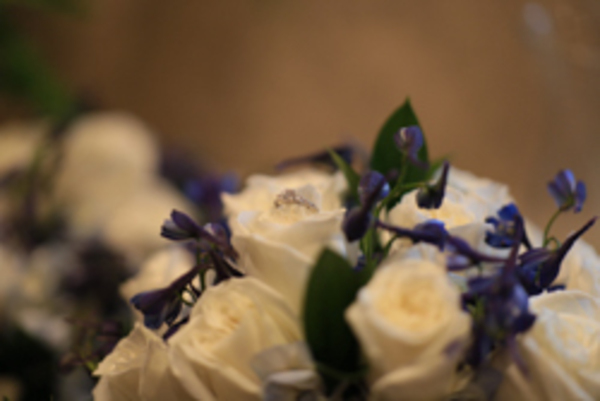 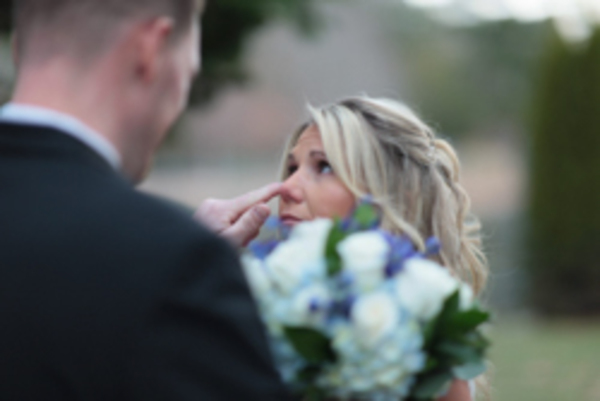 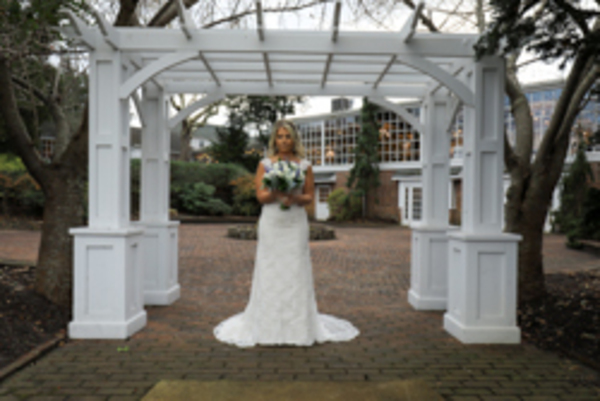 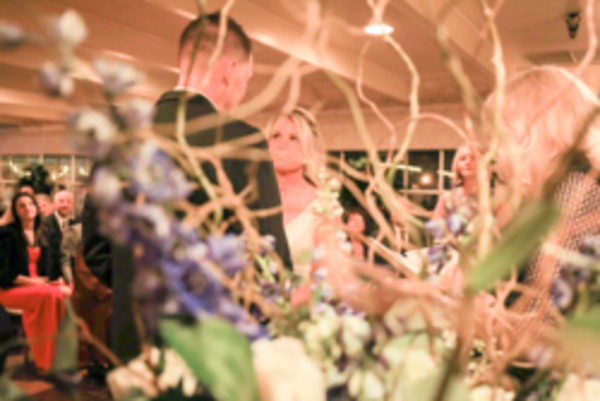 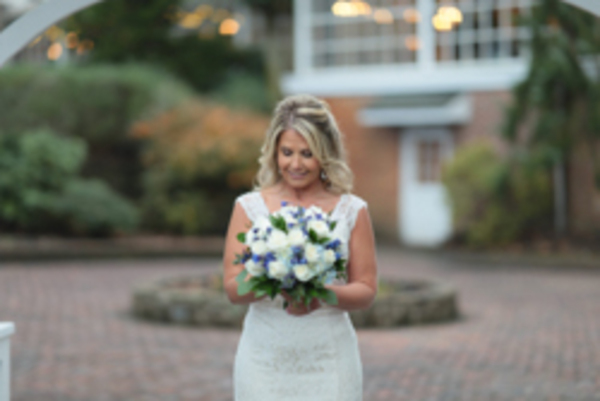 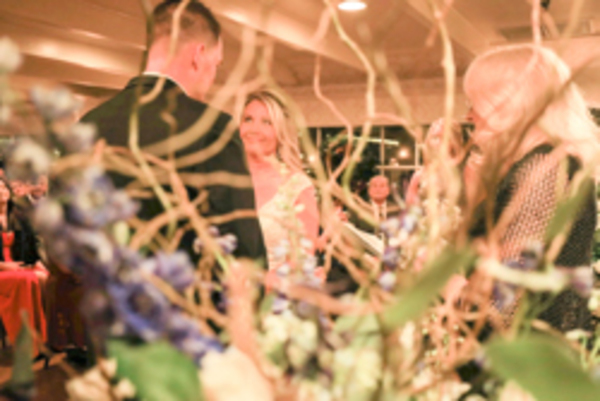 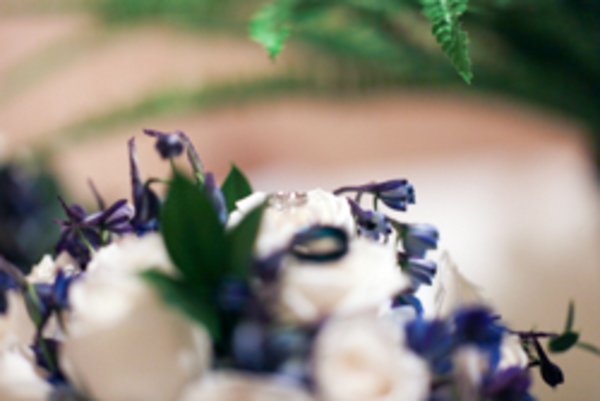 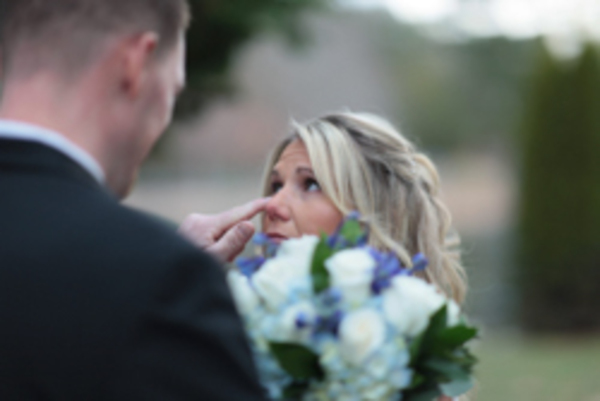 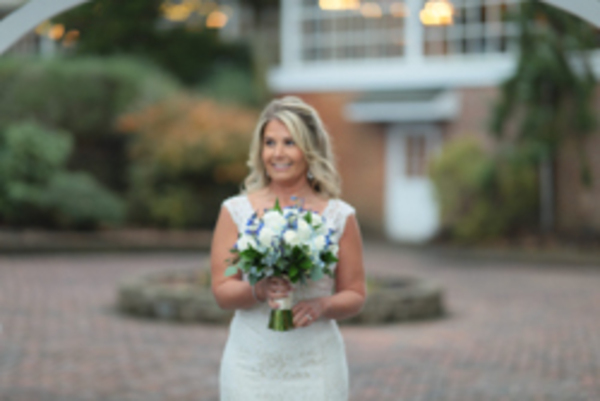 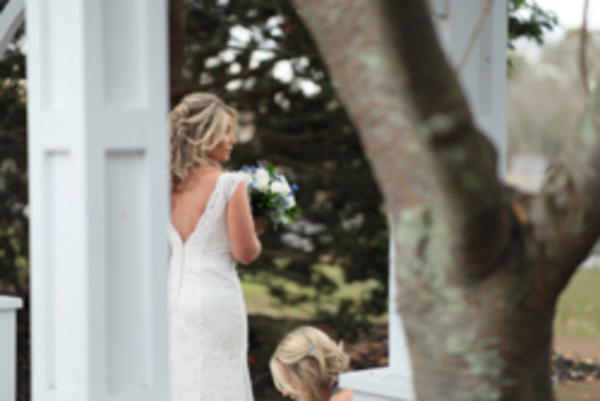 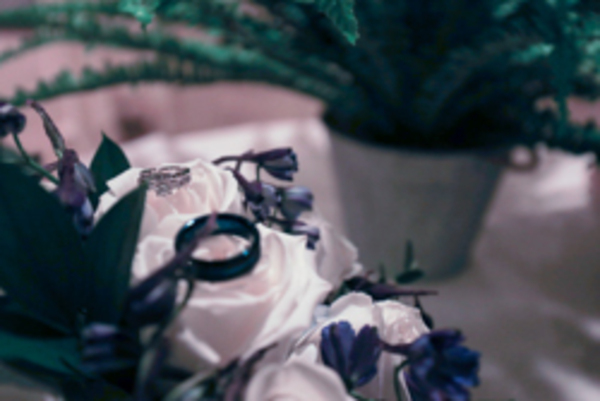 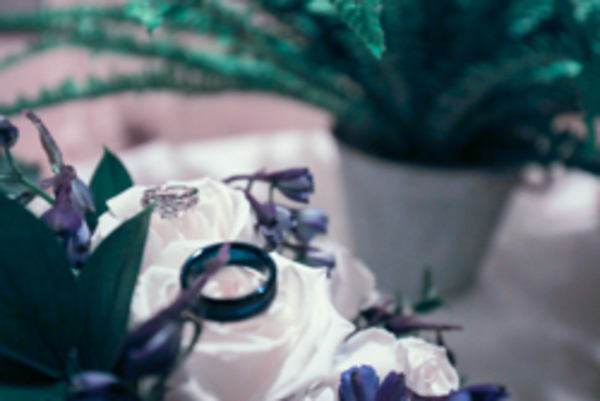 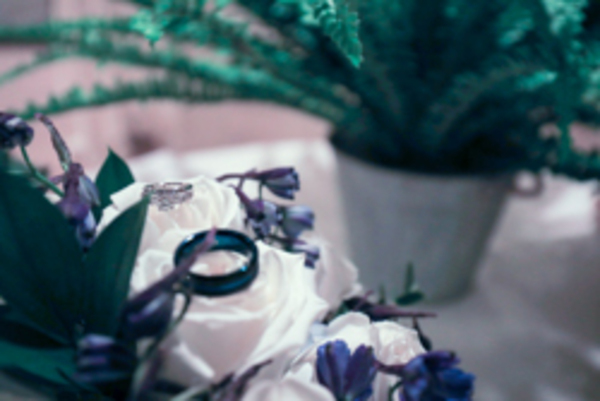 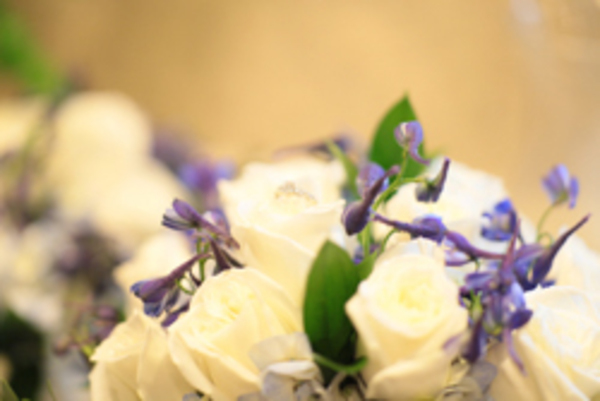 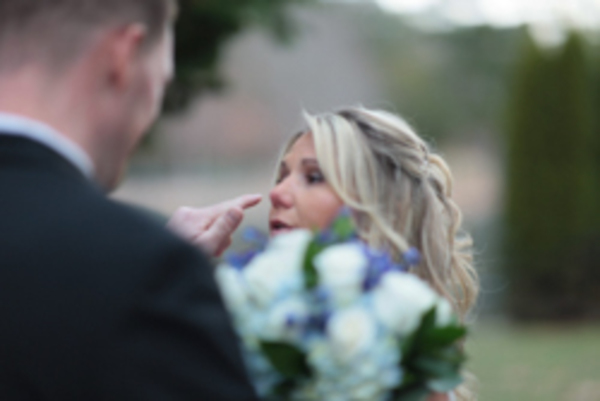 Kelly held onto a gorgeous white and blue toned flower bouquet for photos. 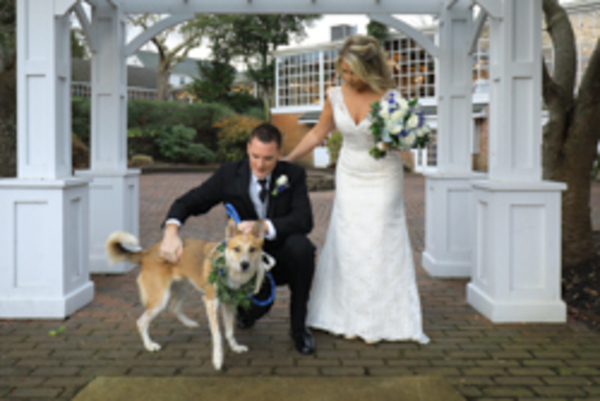 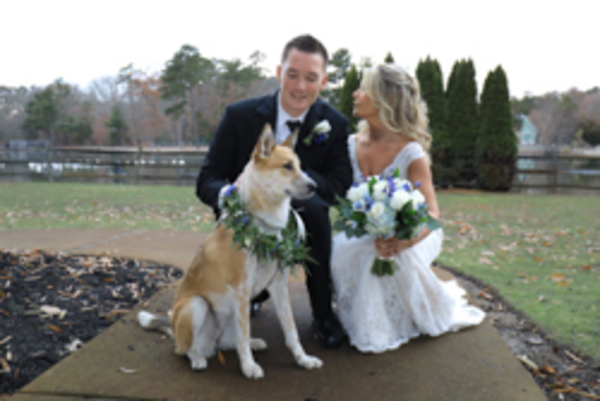 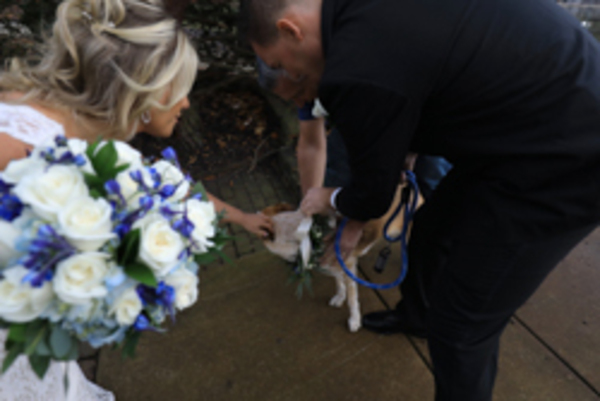 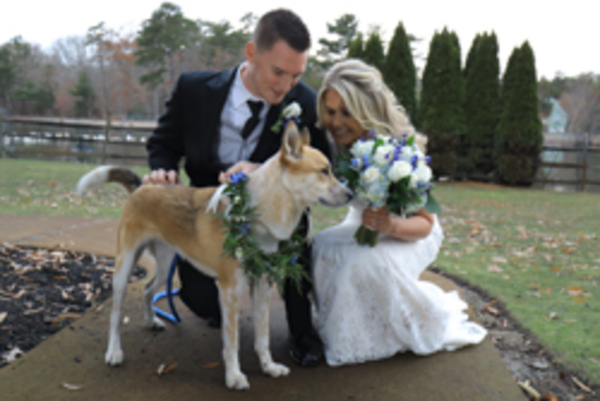 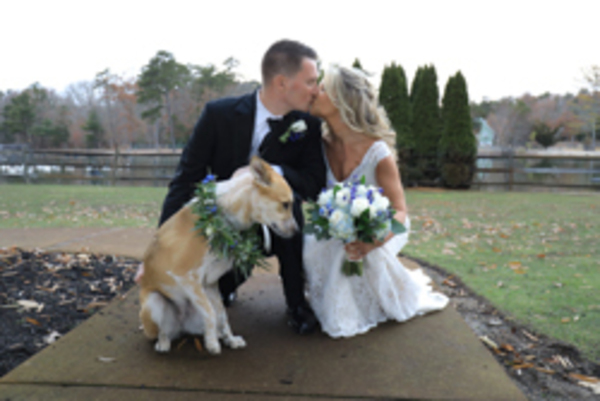 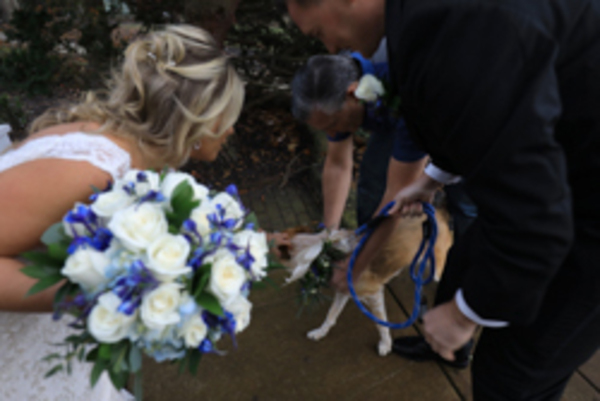 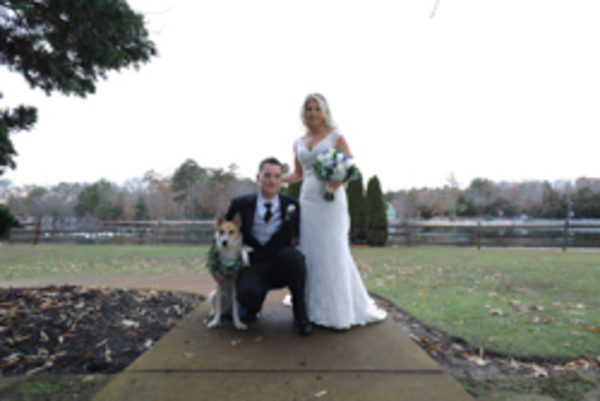 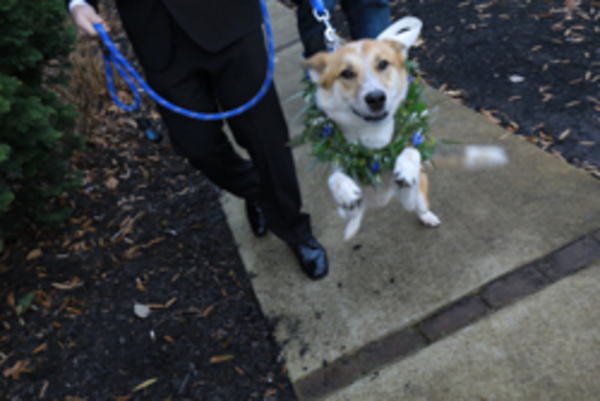 The lovebirds even brought their dog along to get in on some candids! 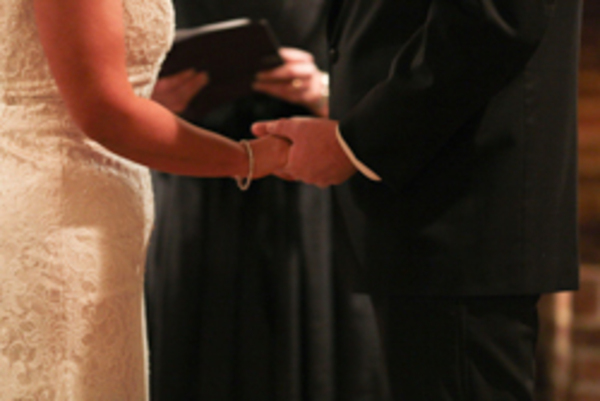 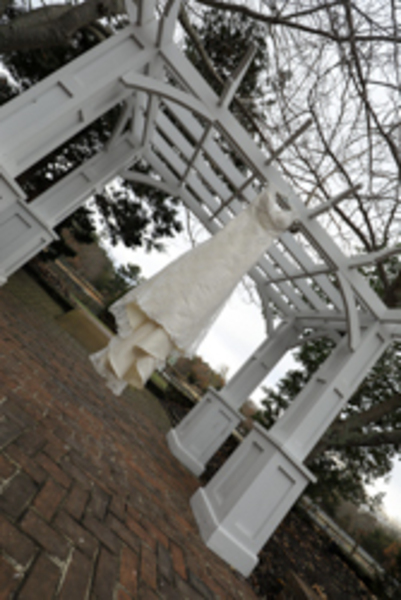 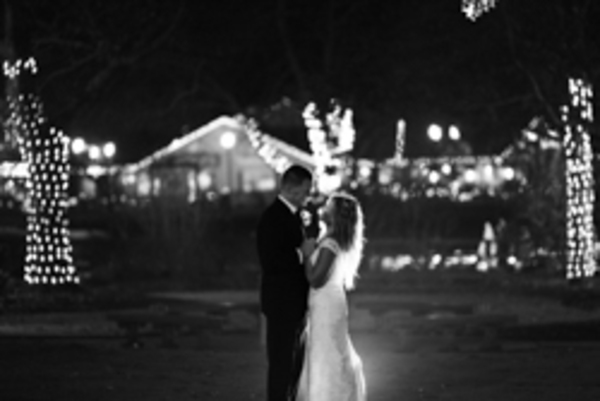 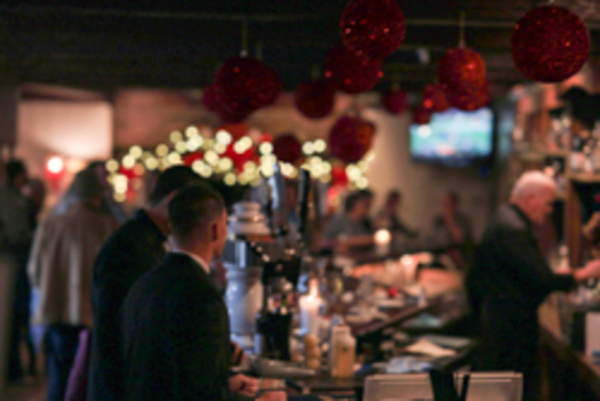 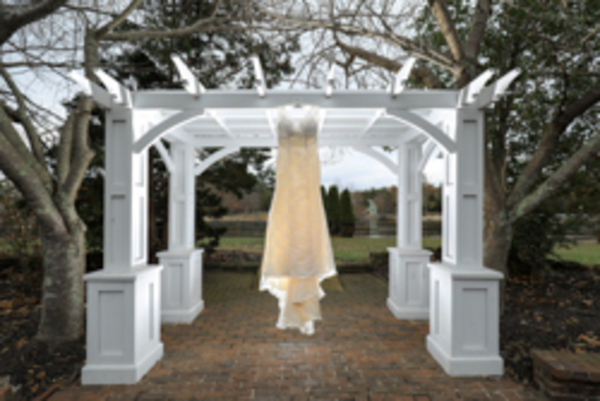 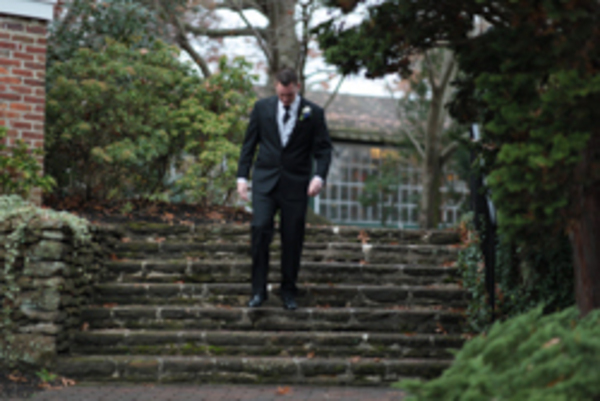 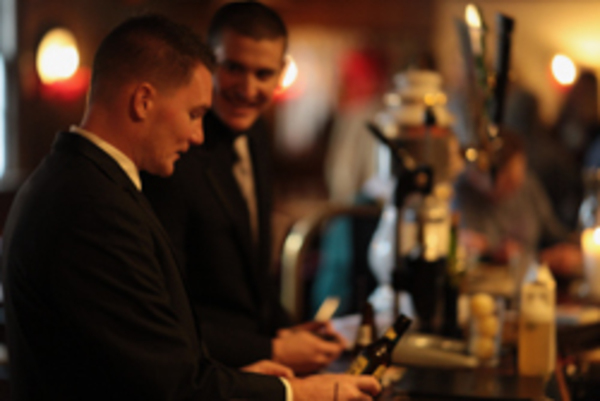 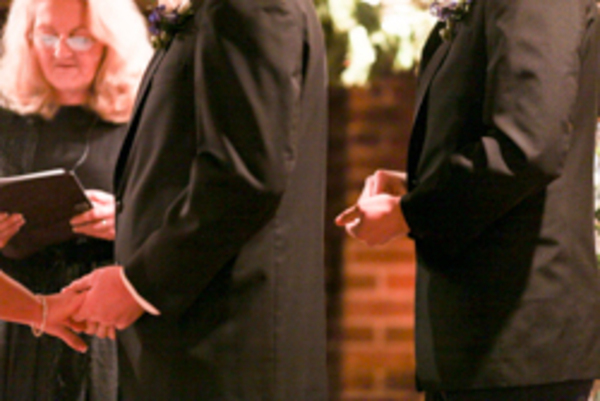 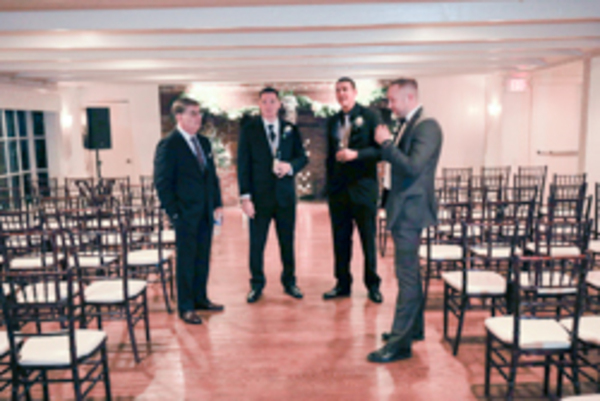 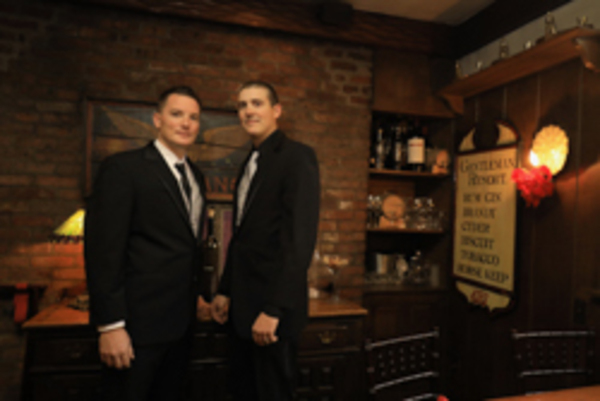 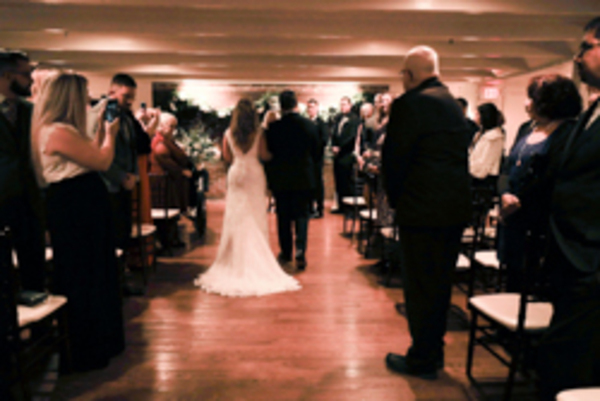 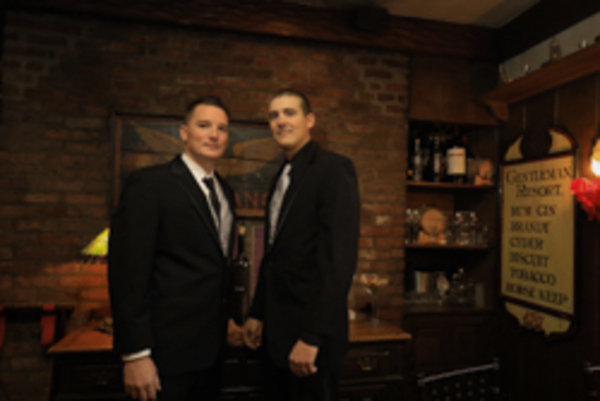 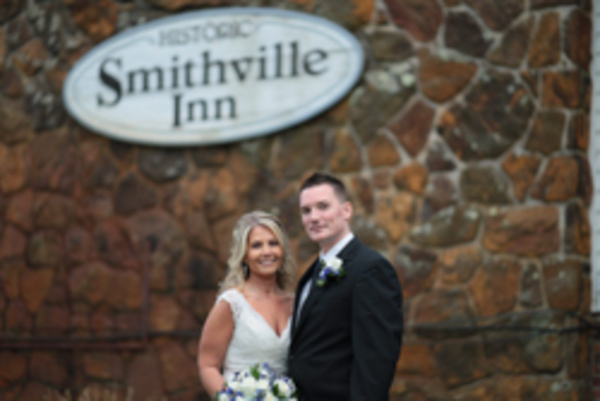 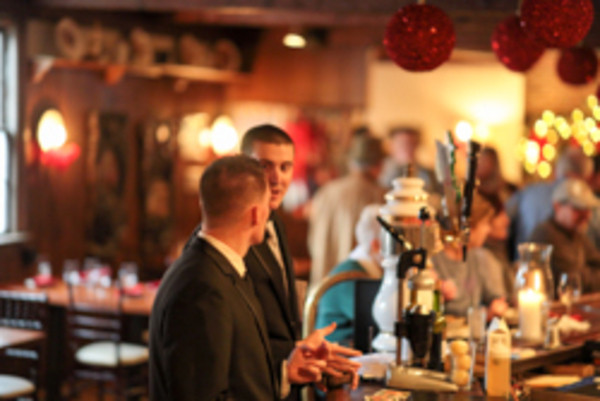 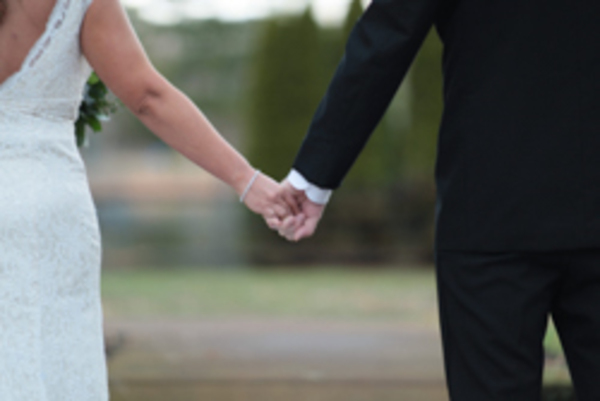 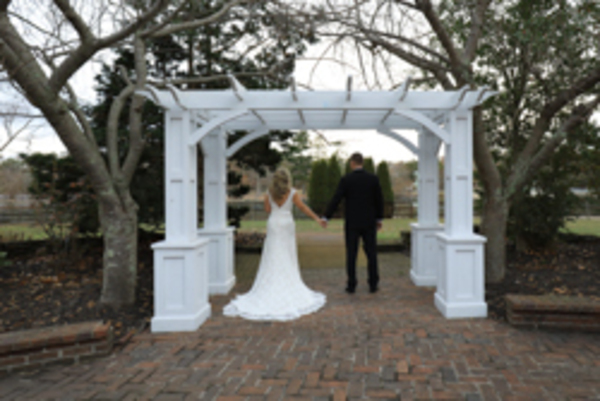 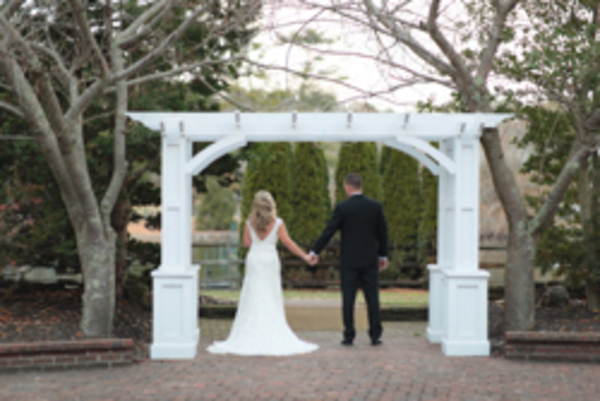 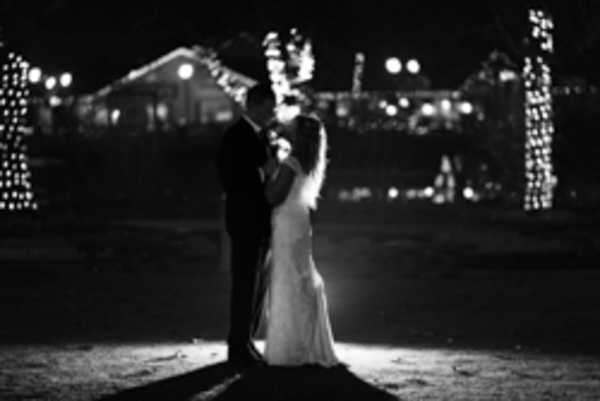 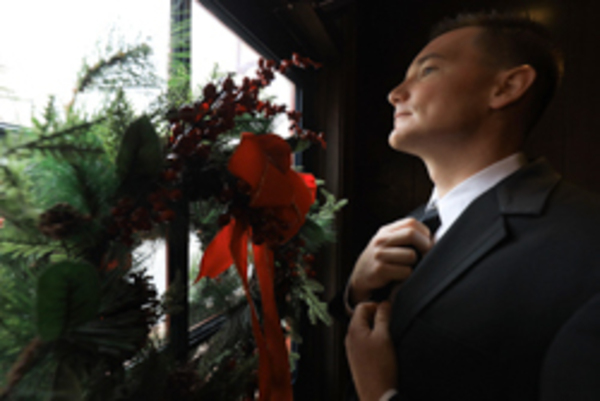 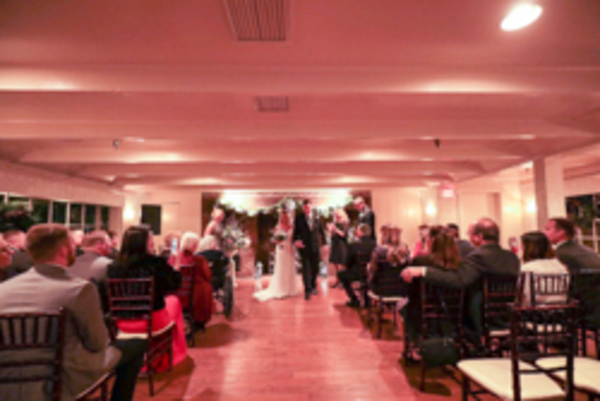 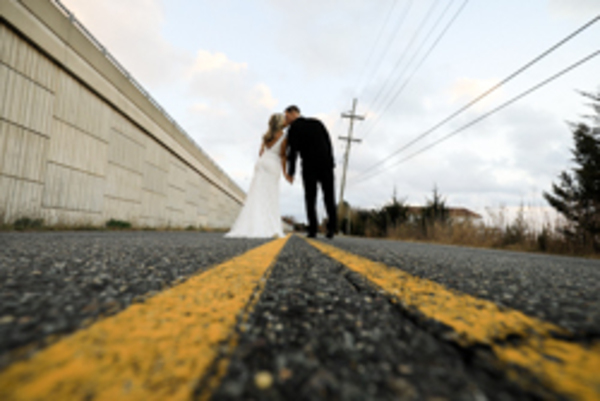 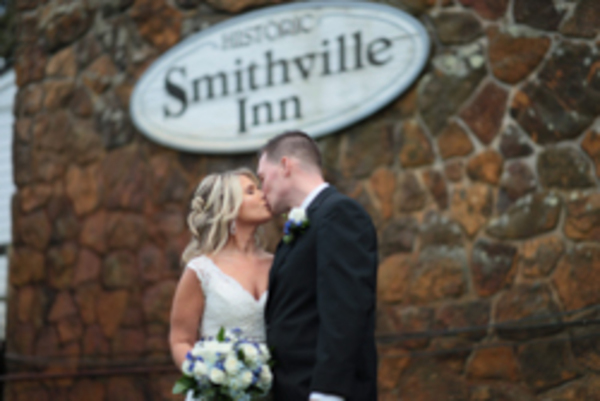 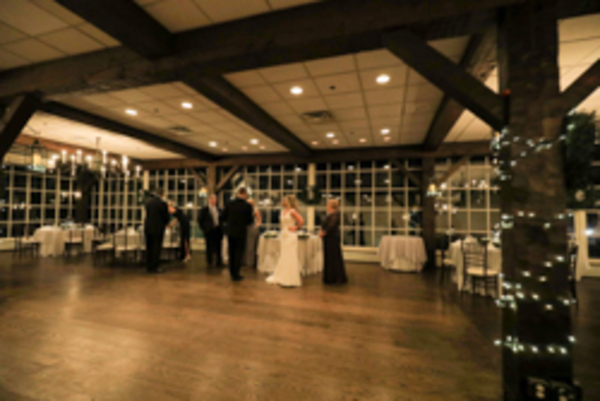 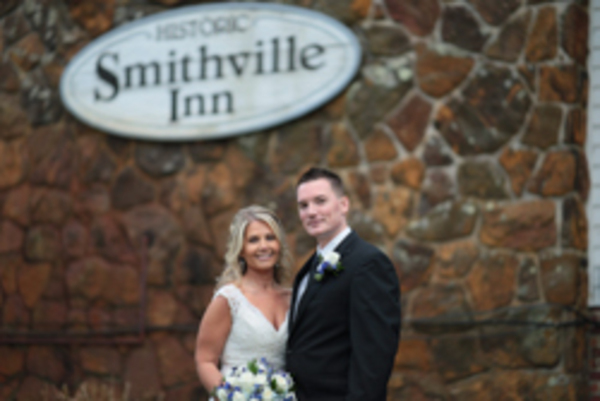 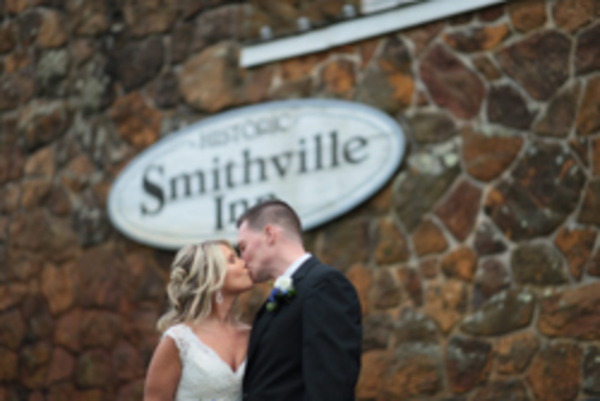 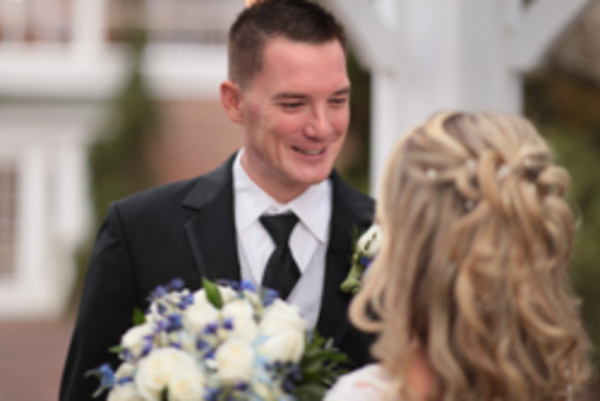 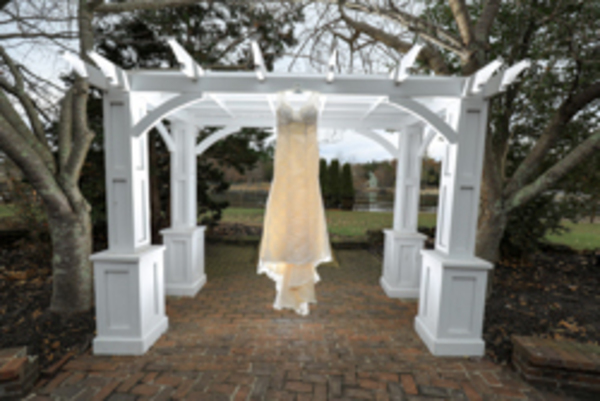 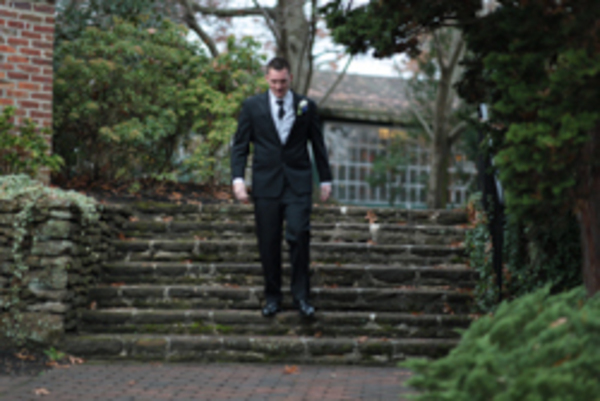 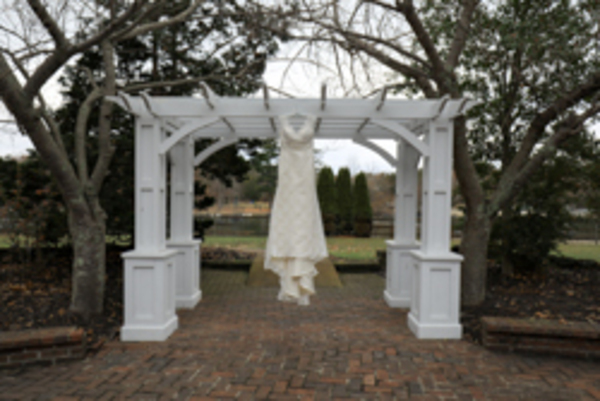 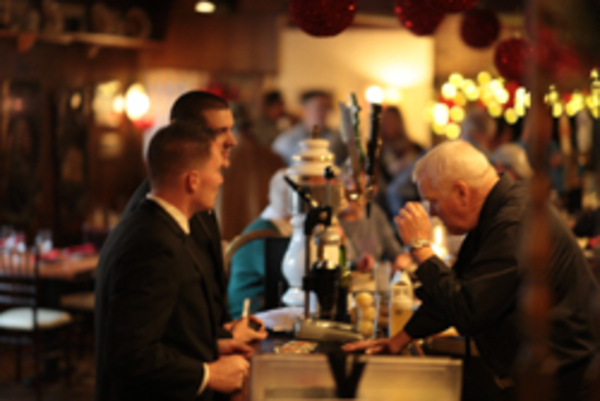 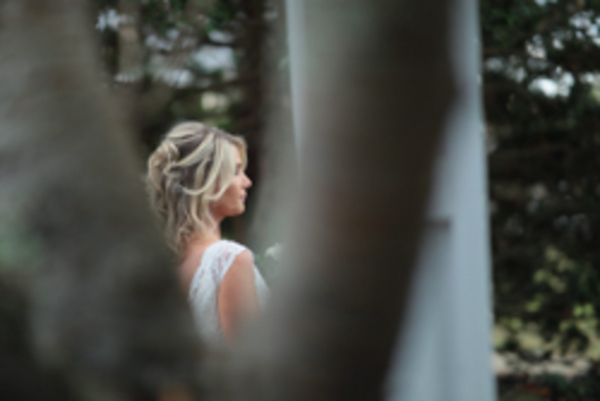 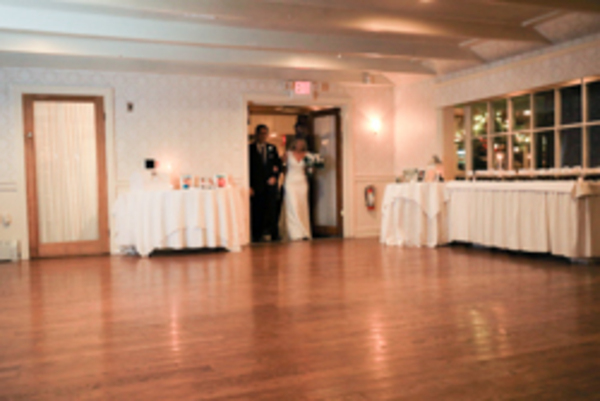 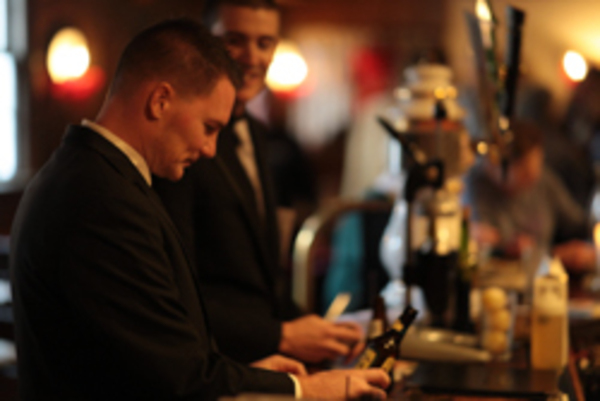 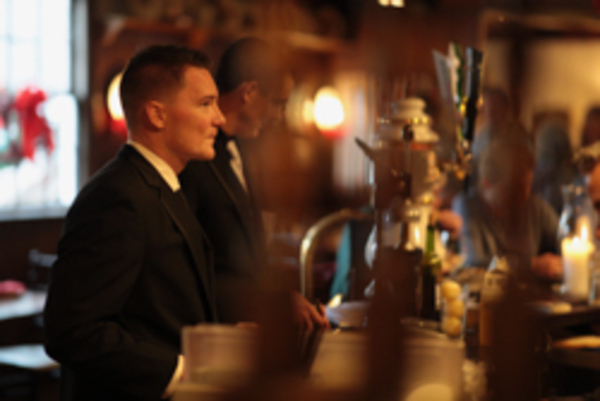 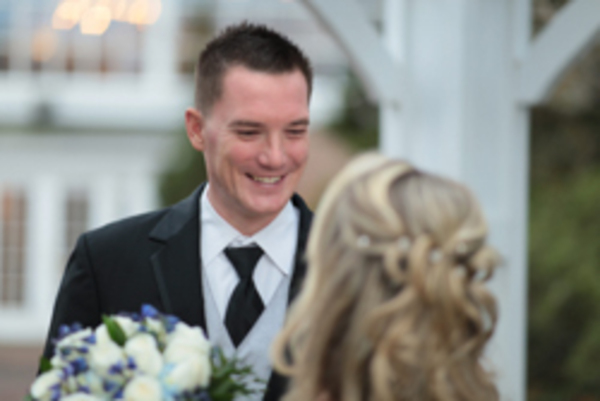 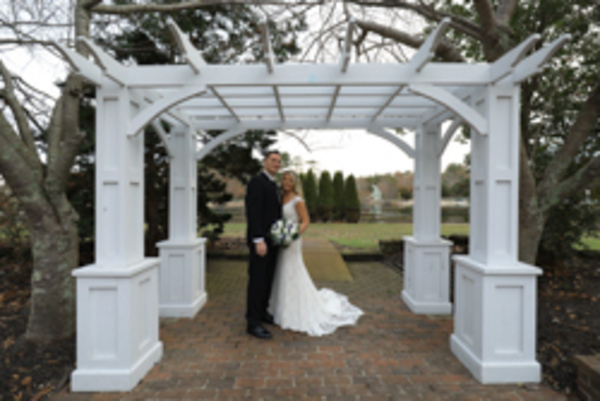 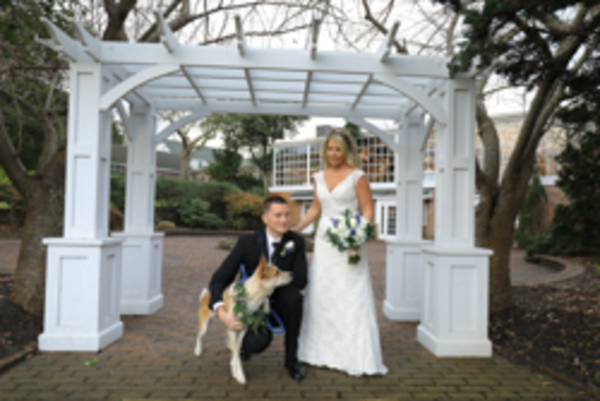 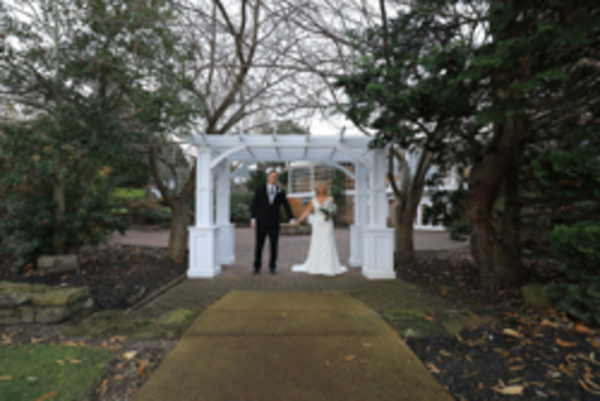 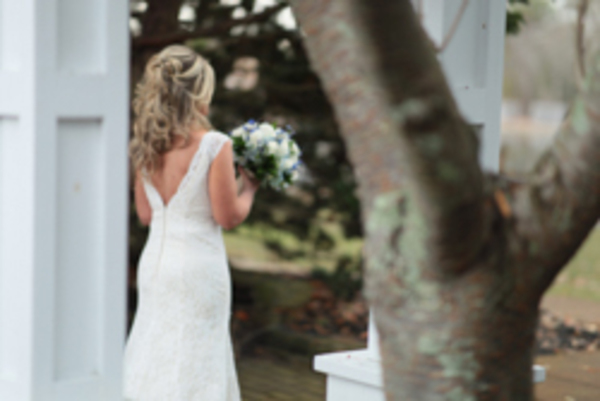 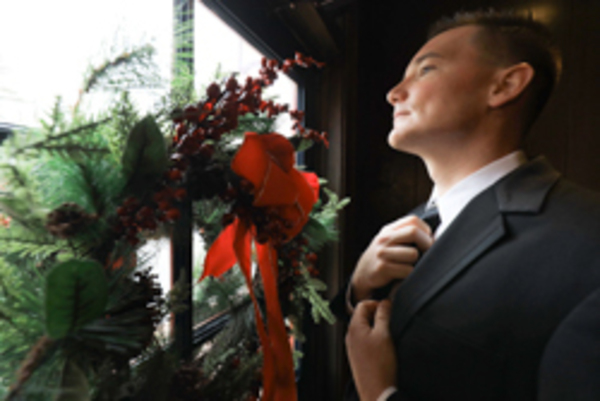 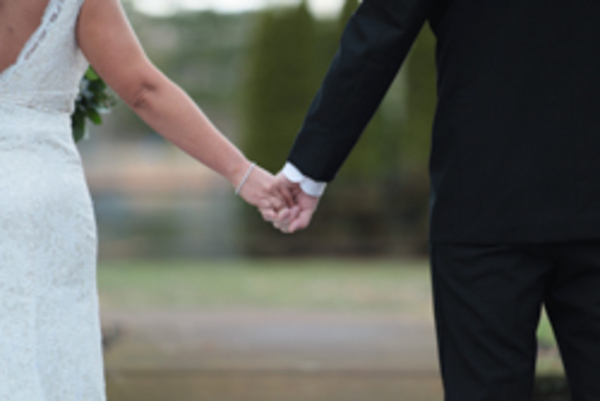 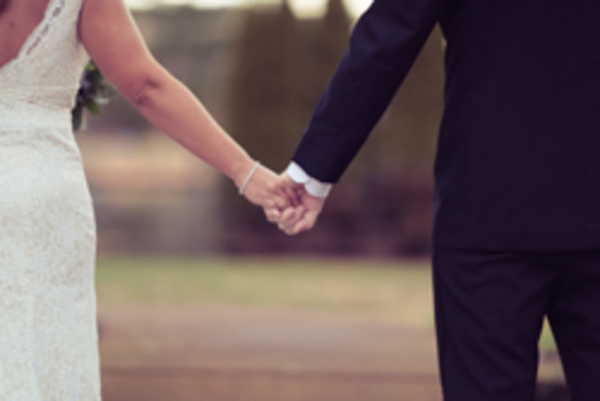 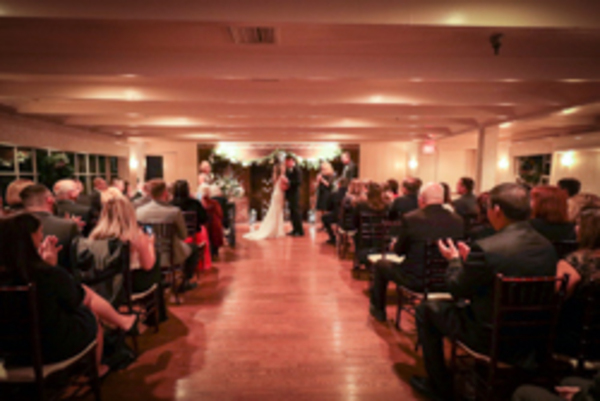 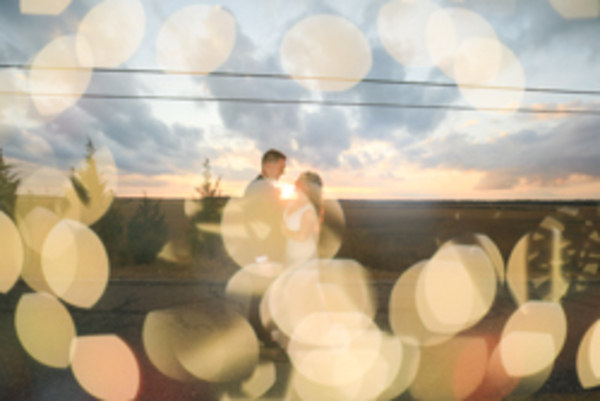 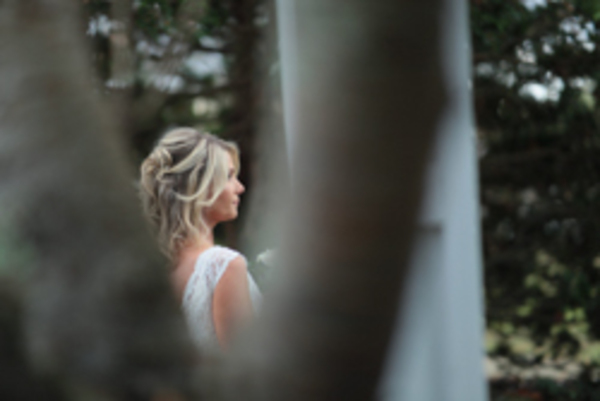 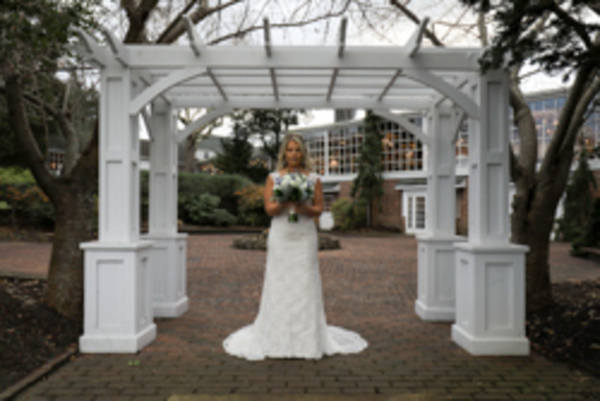 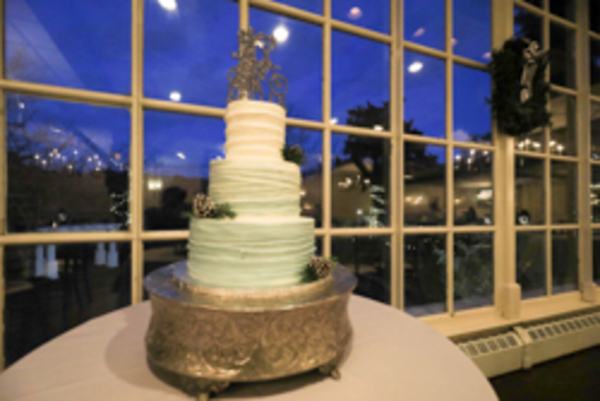 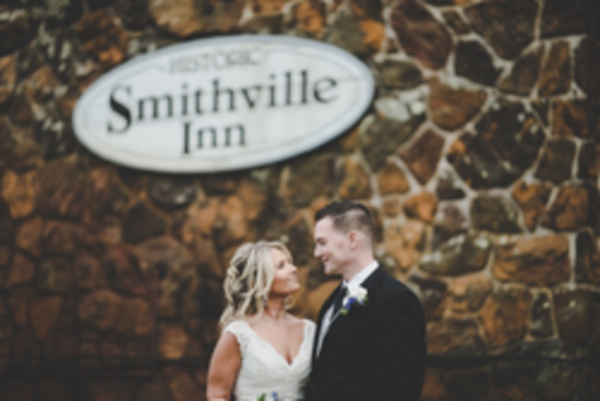 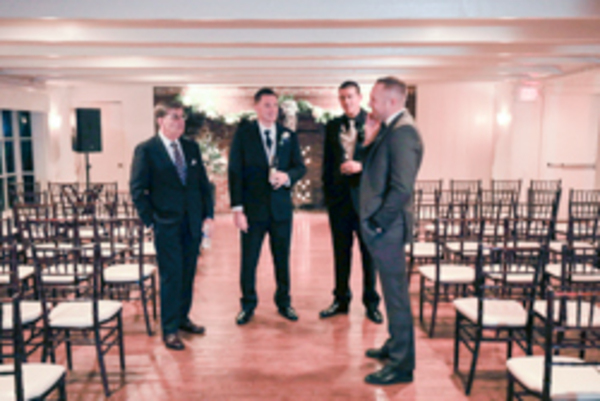 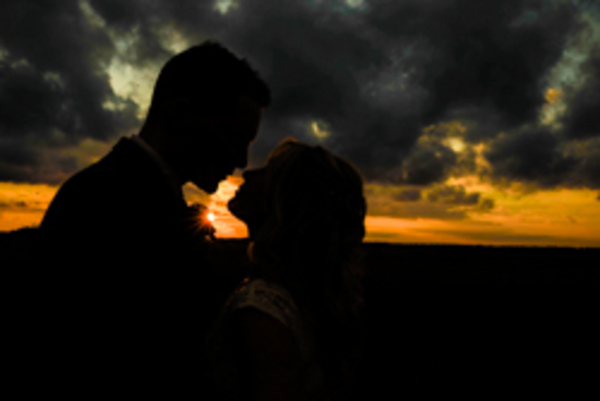 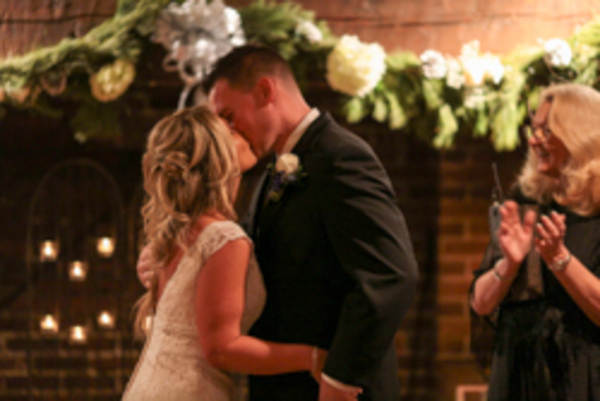 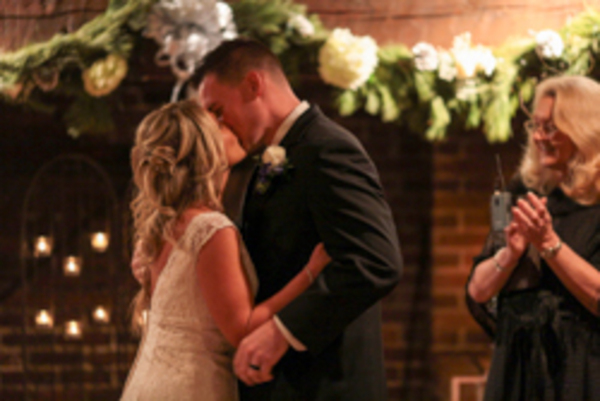 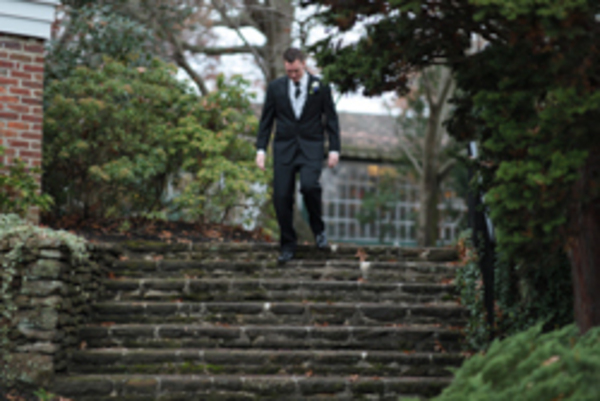 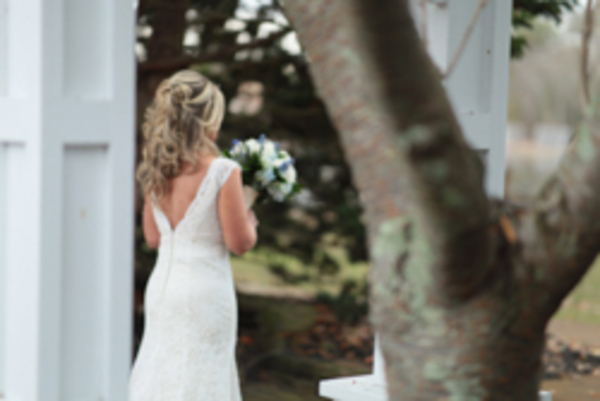 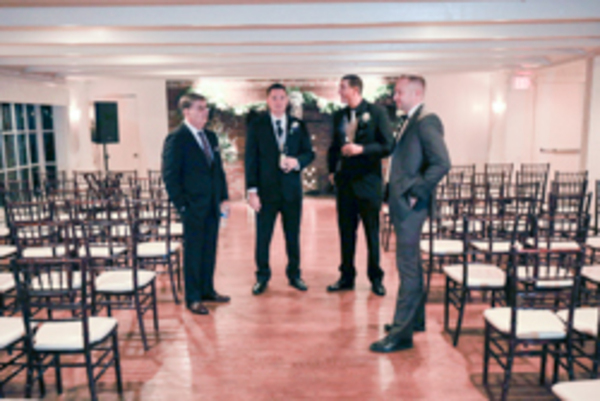 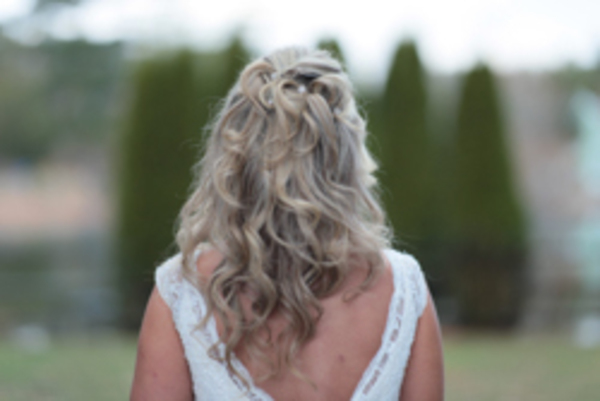 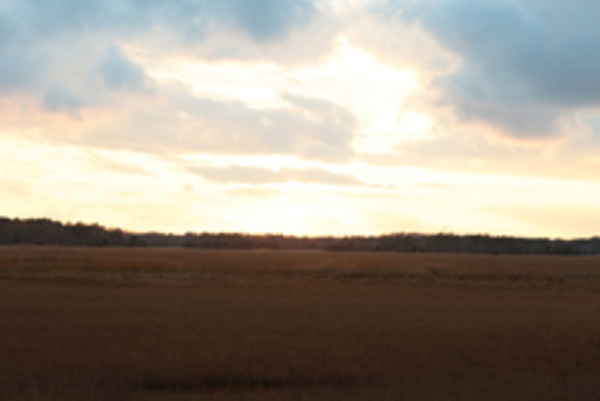 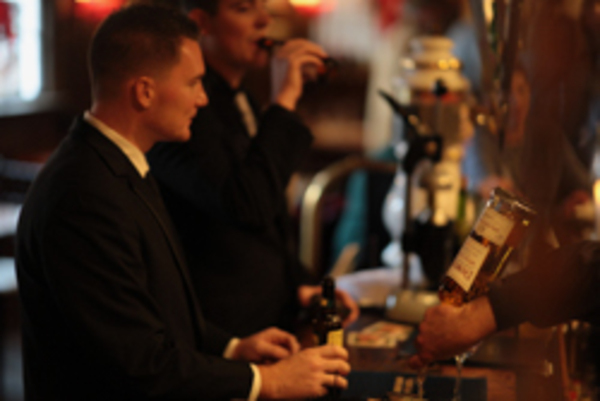 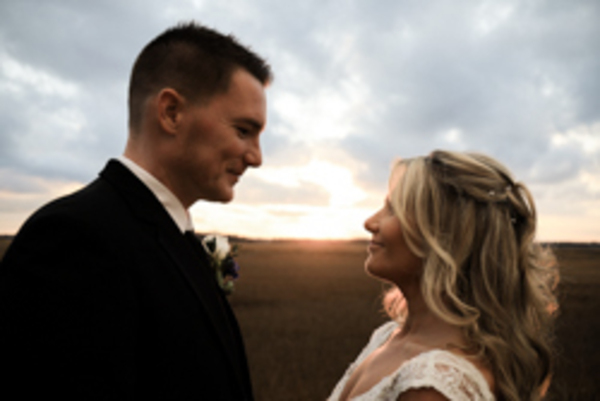 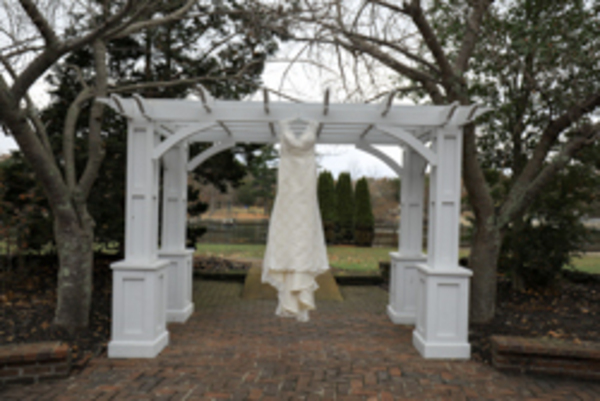 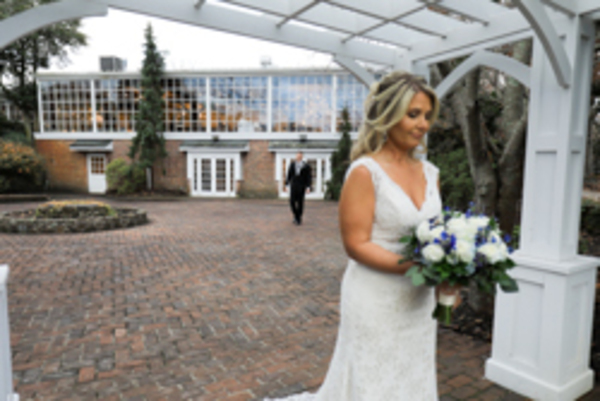 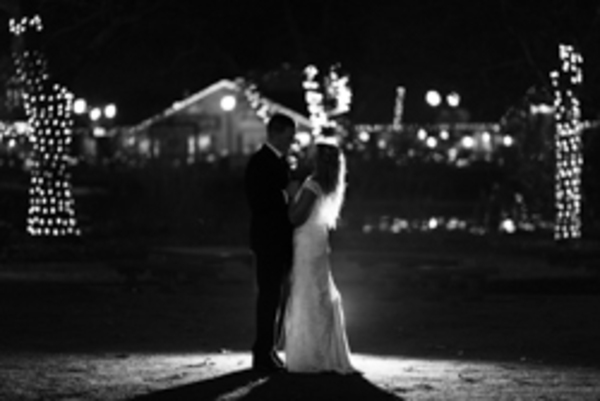 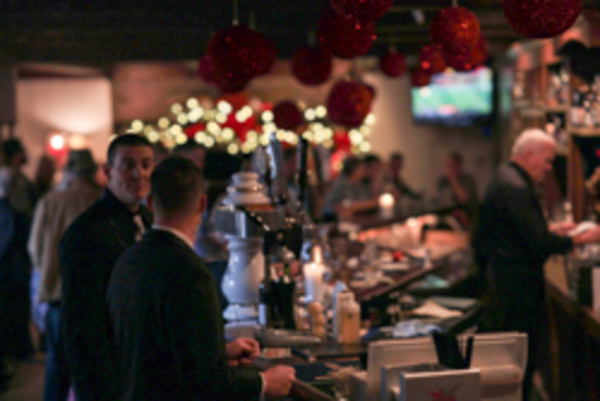 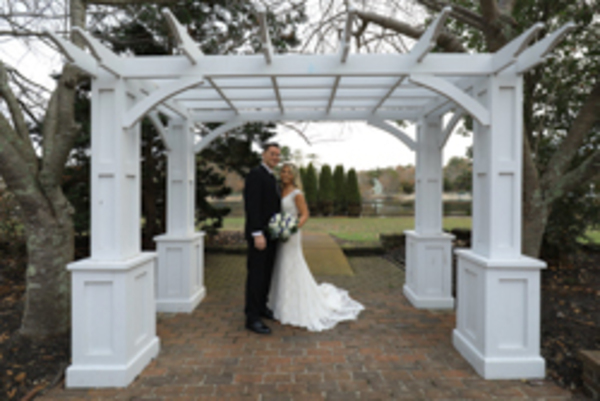 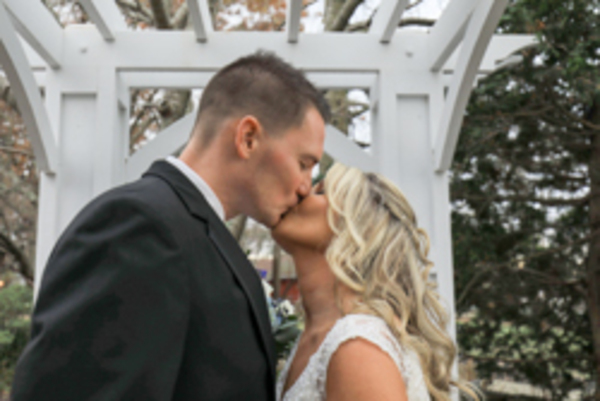 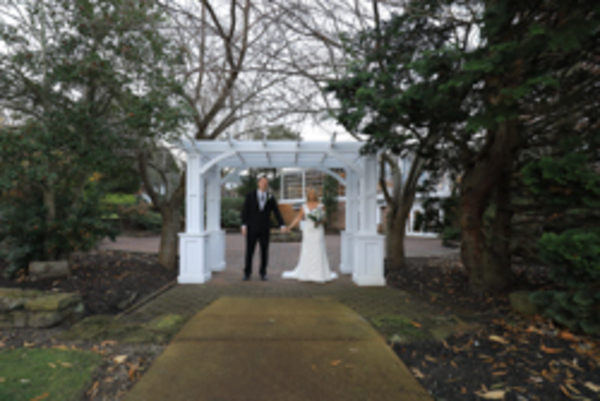 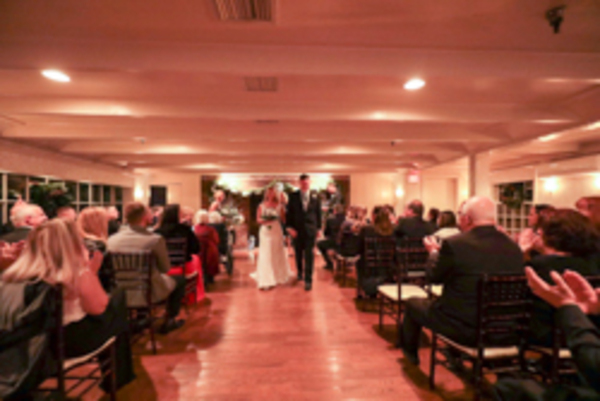 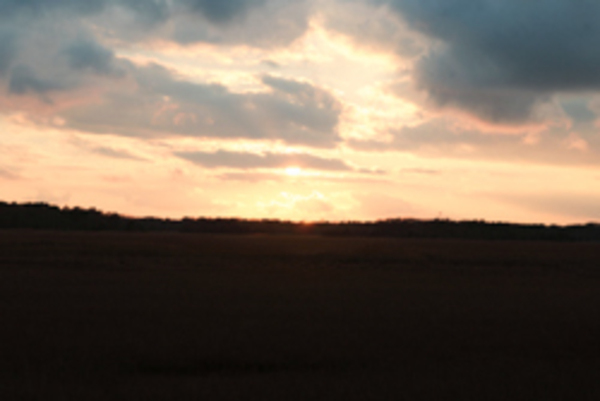 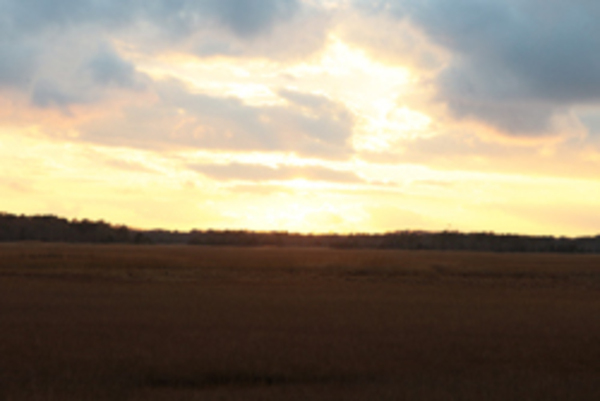 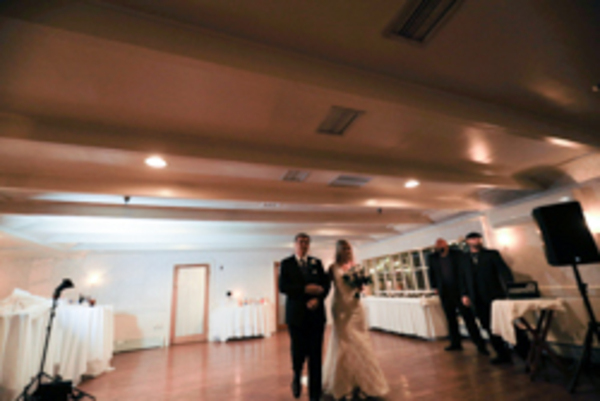 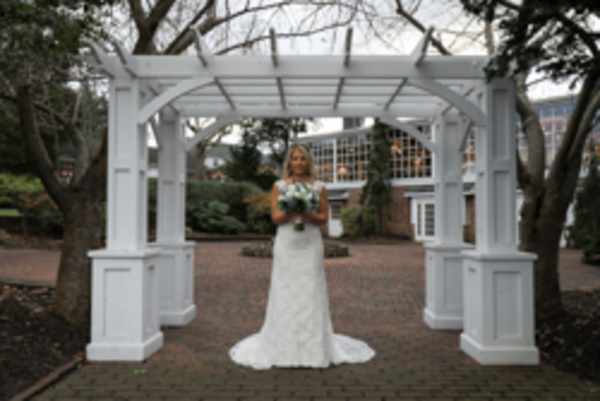 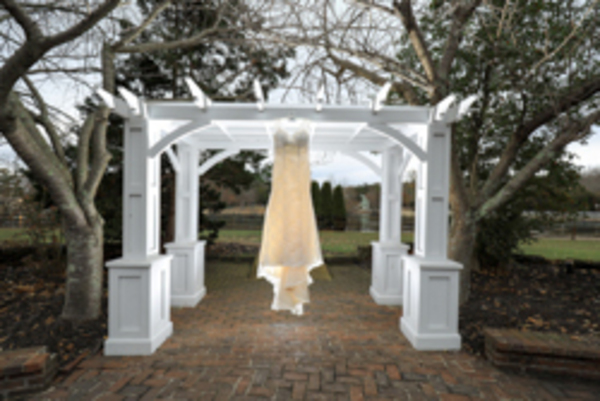 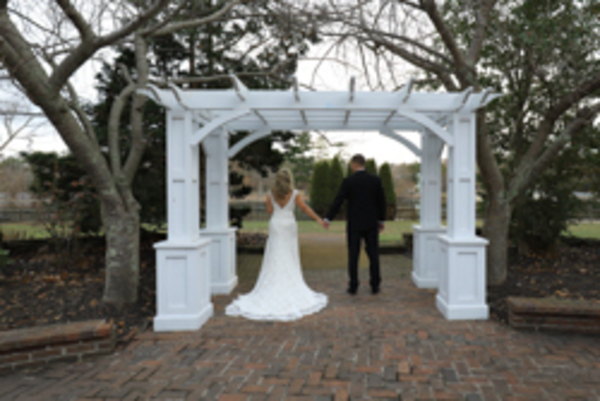 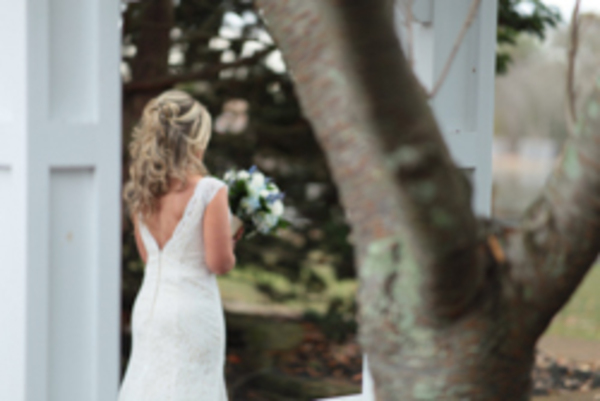 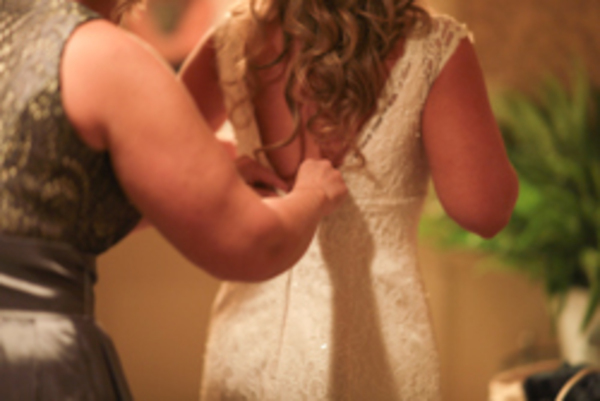 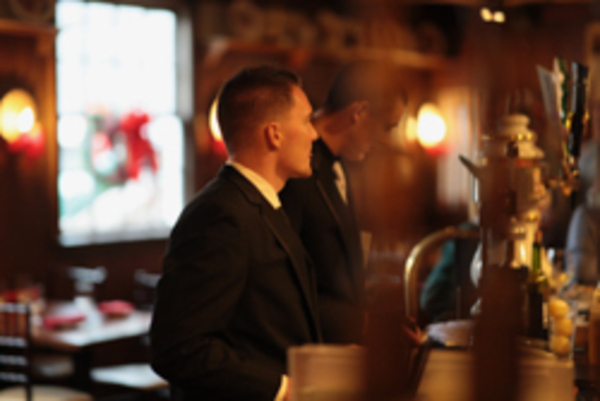 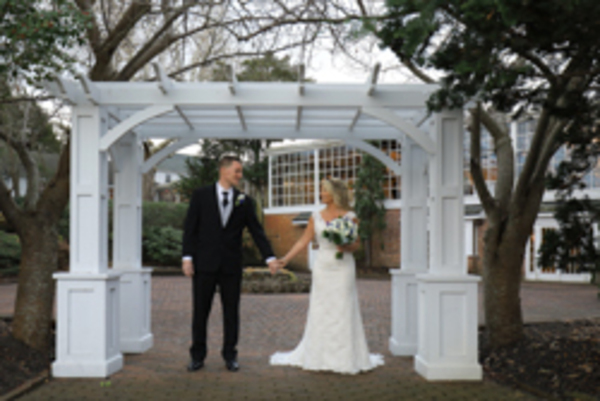 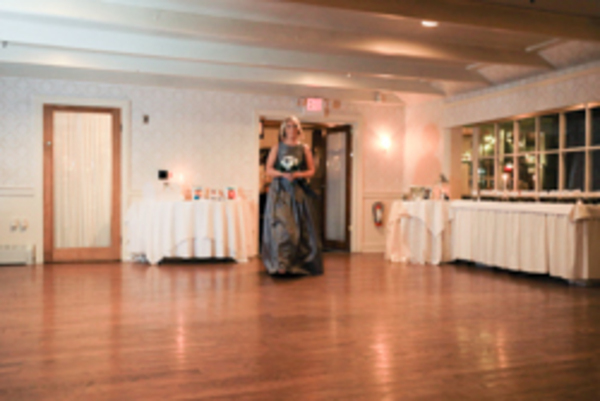 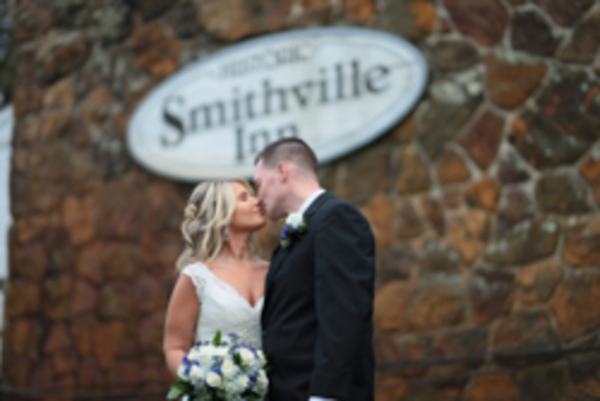 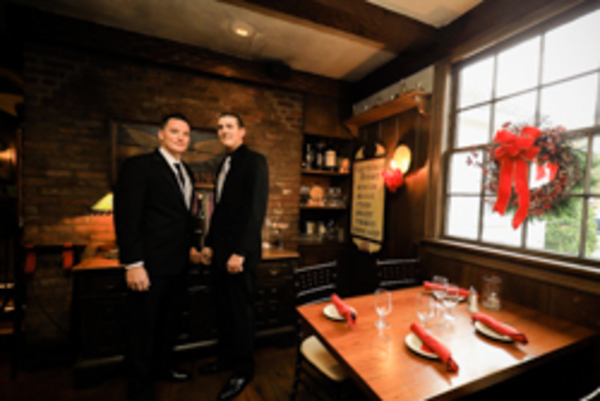 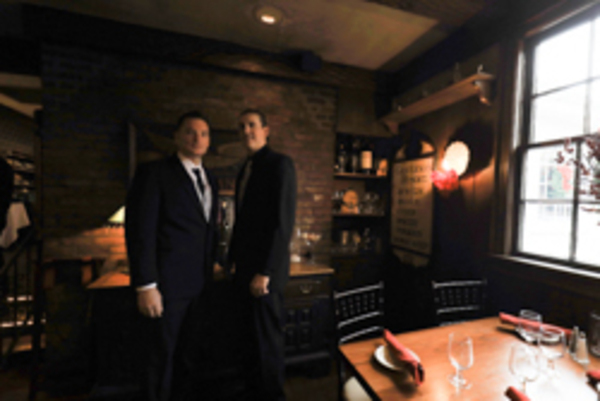 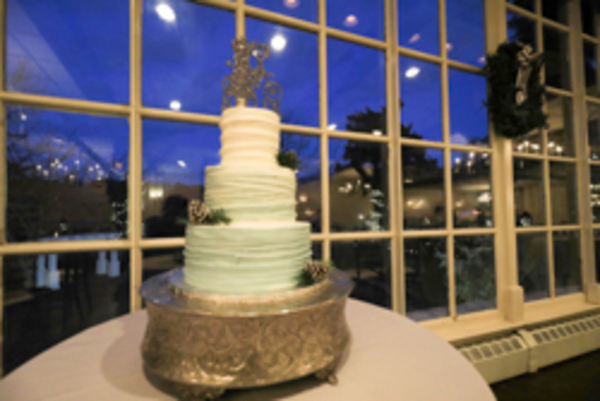 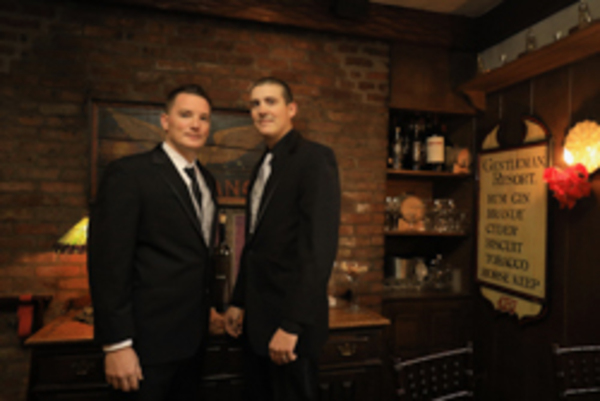 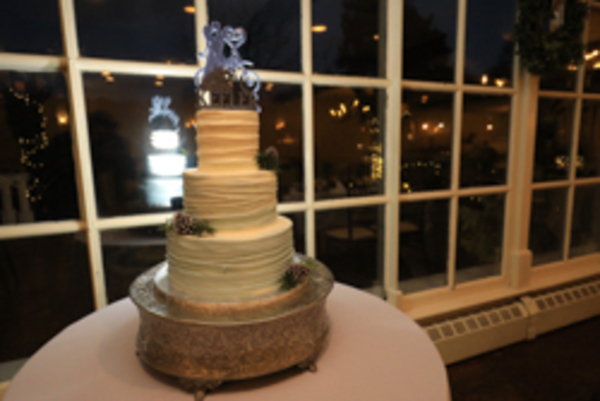 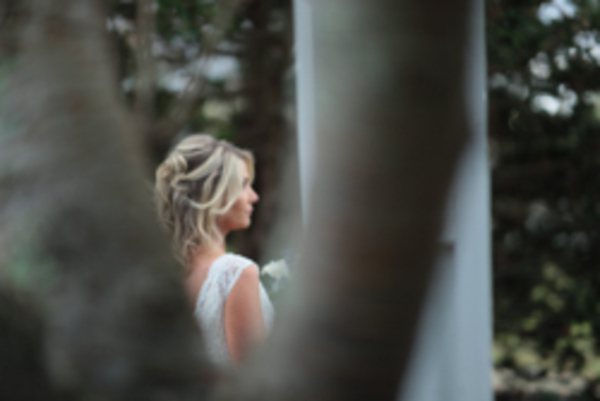 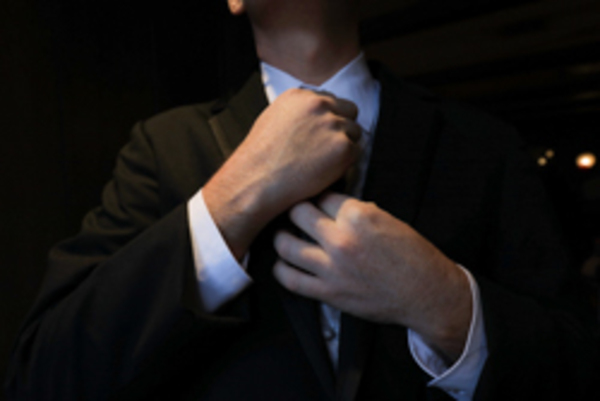 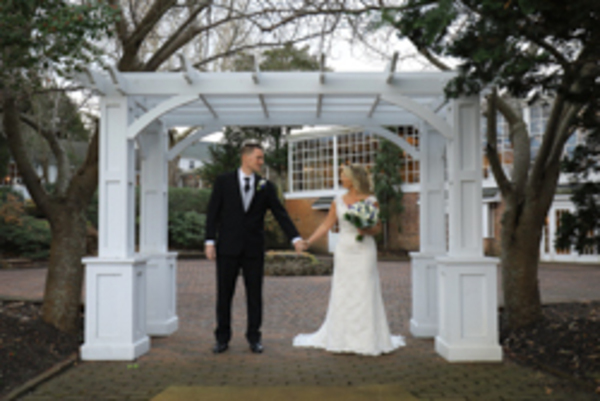 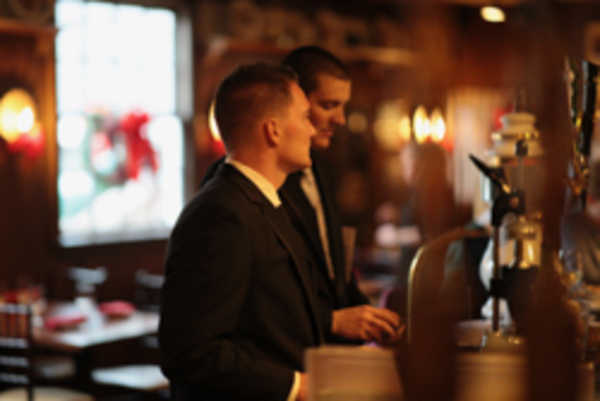 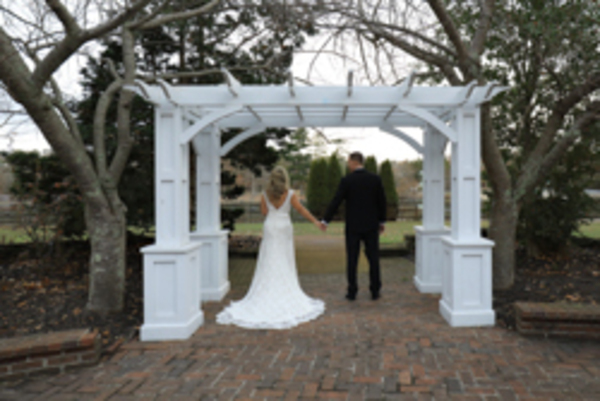 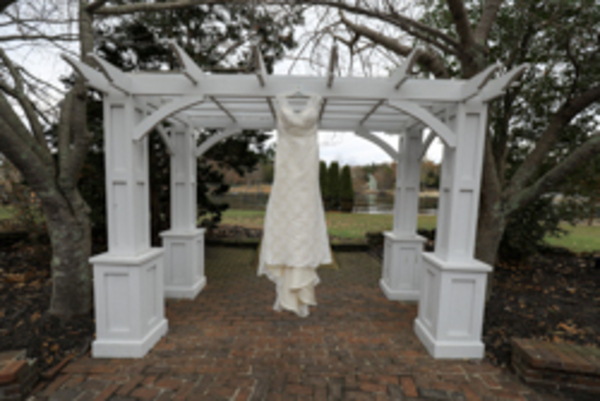 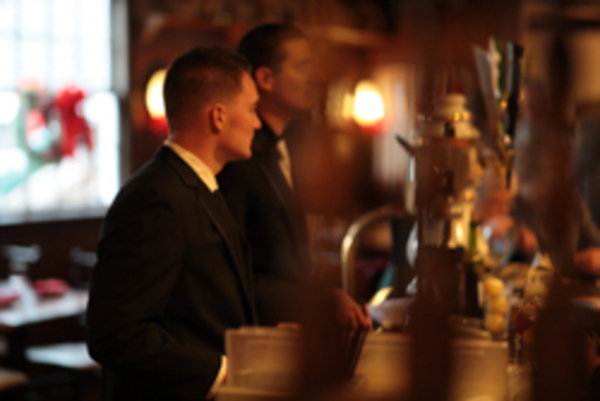 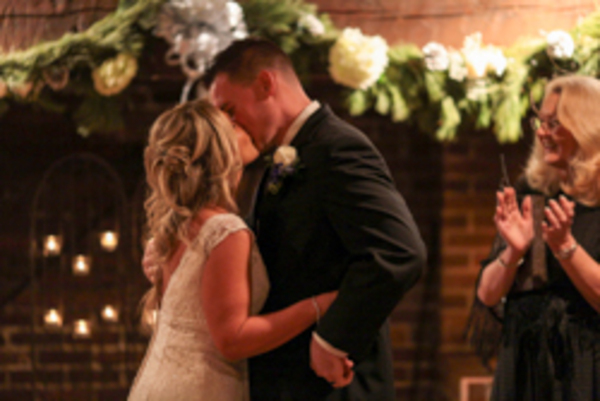 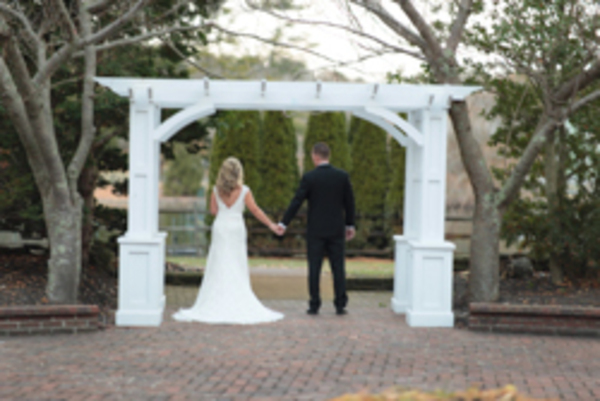 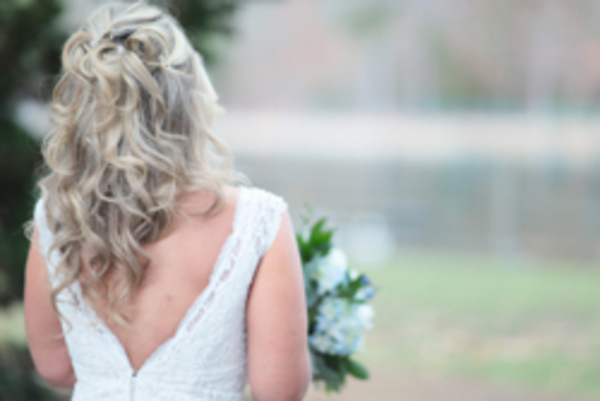 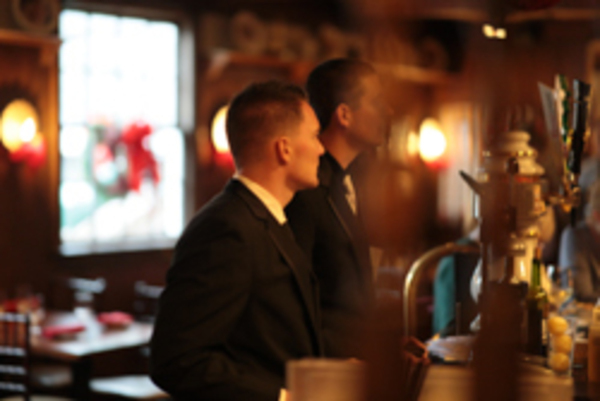 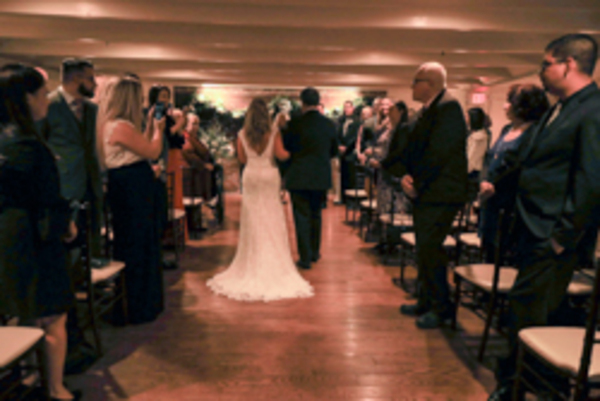 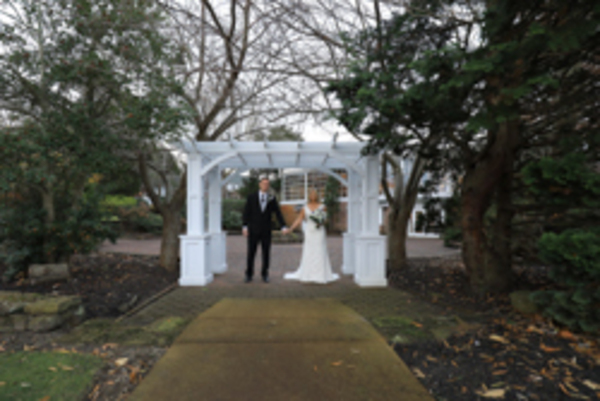 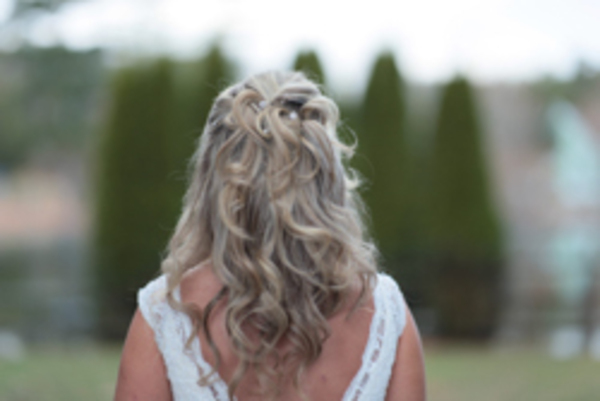 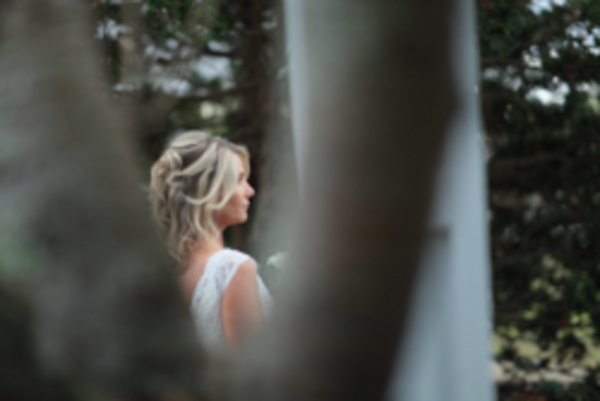 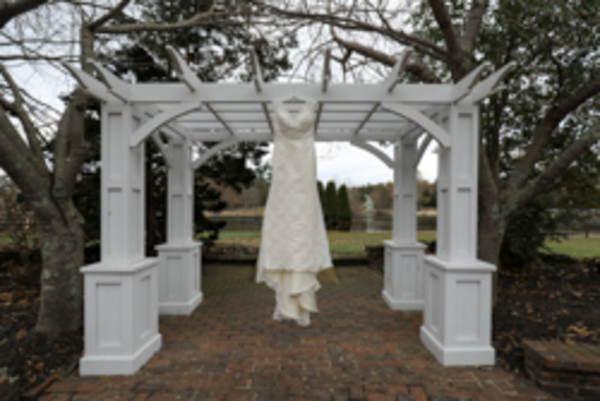 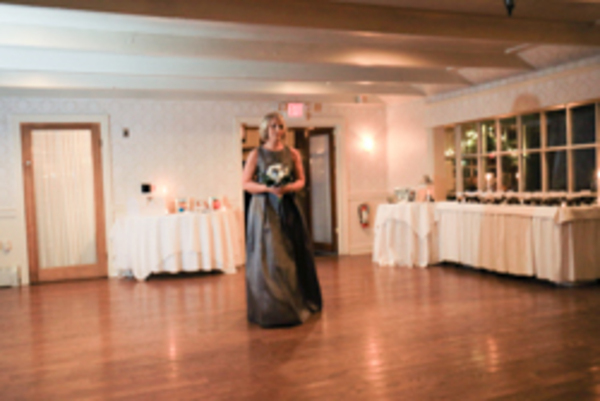 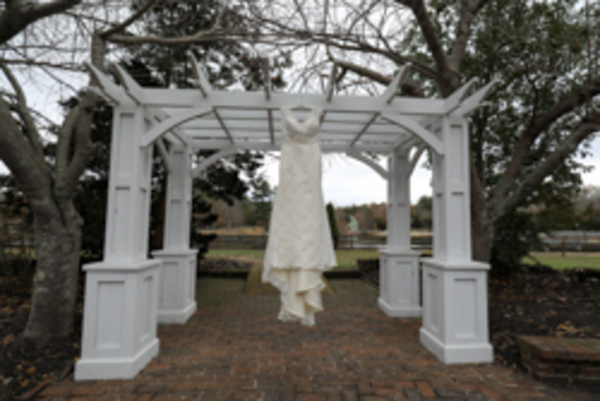 Our NJ Wedding Photographer took advantage of all that Smithville has to offer for brides and grooms. 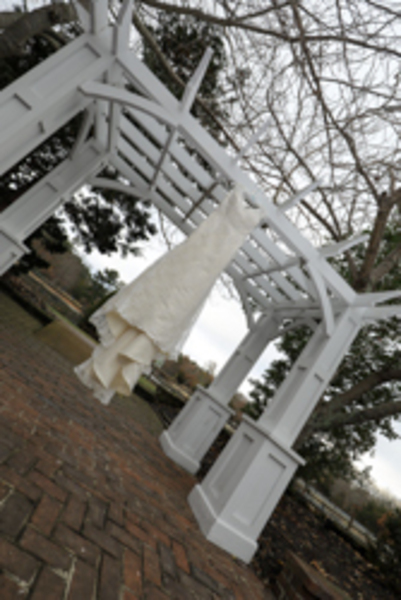 After the amazing photo session outside, it was time for the ceremony to begin! 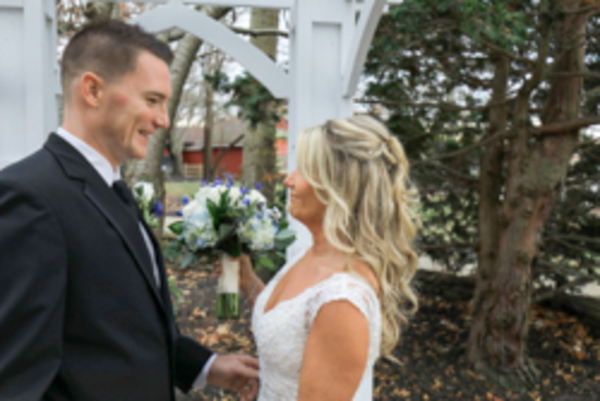 Everyone was awaiting the moment when Kelly and Chris could officially call themselves husband and wife. 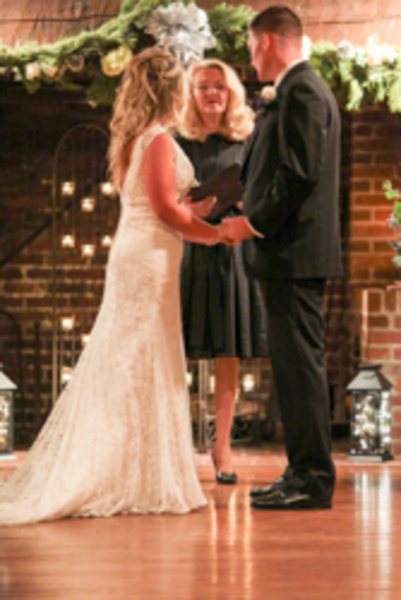 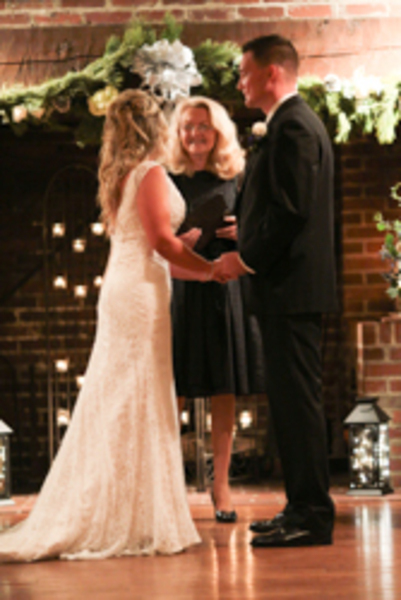 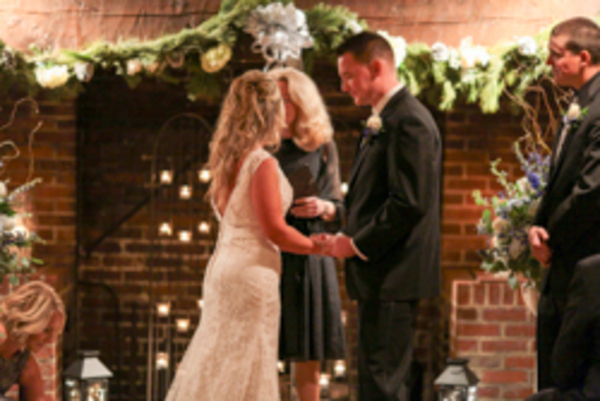 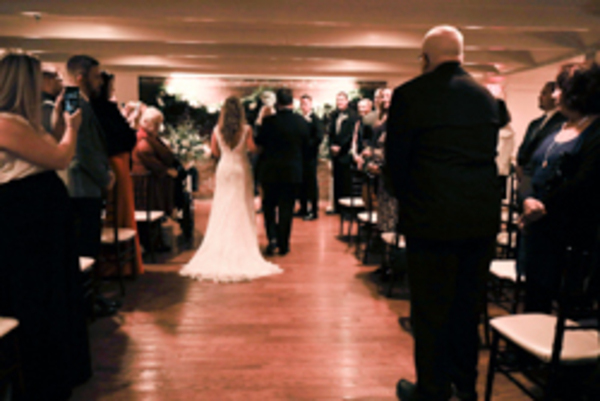 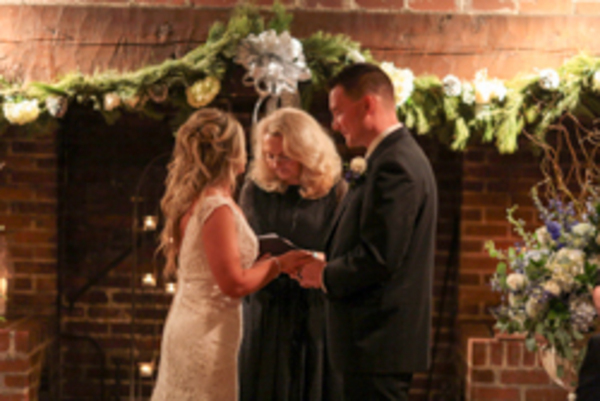 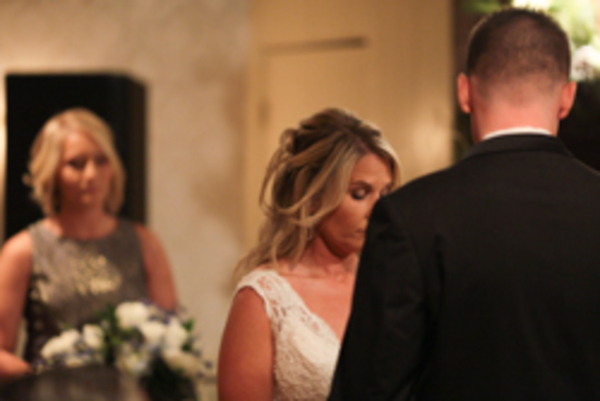 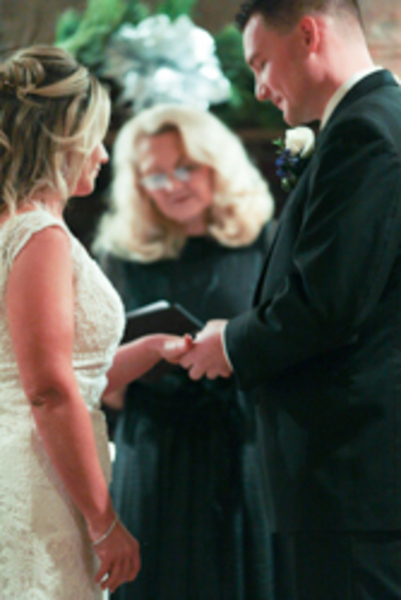 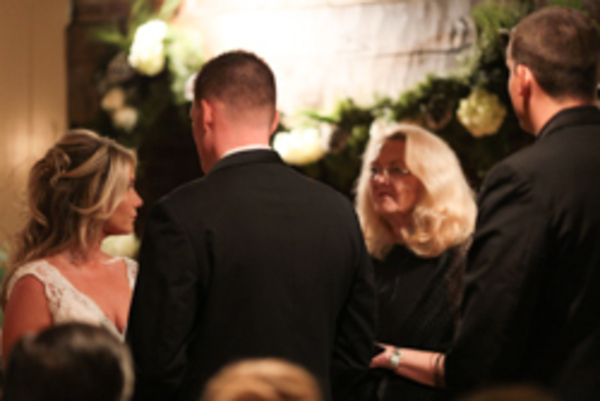 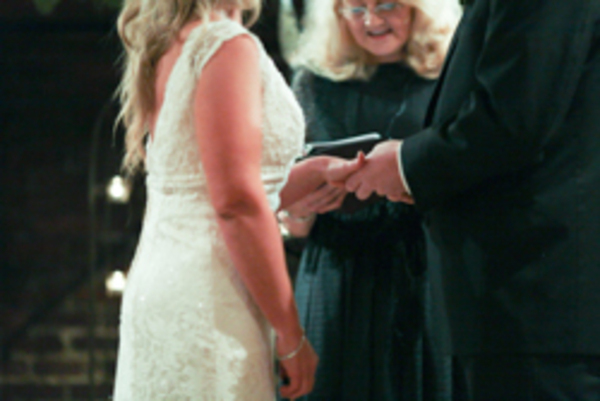 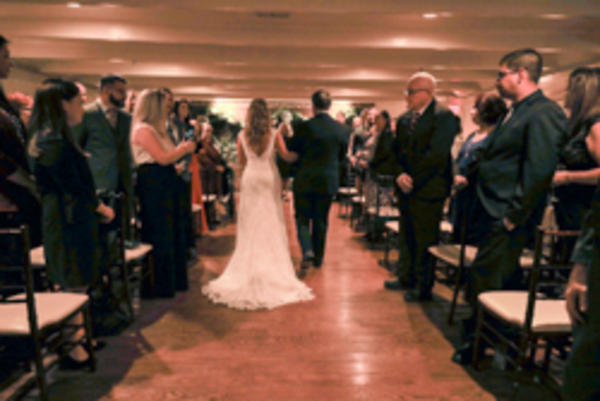 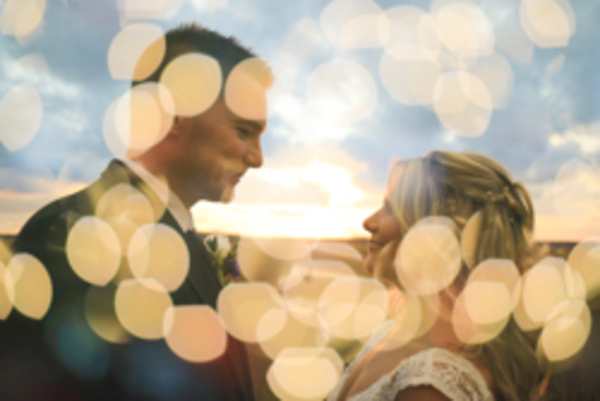 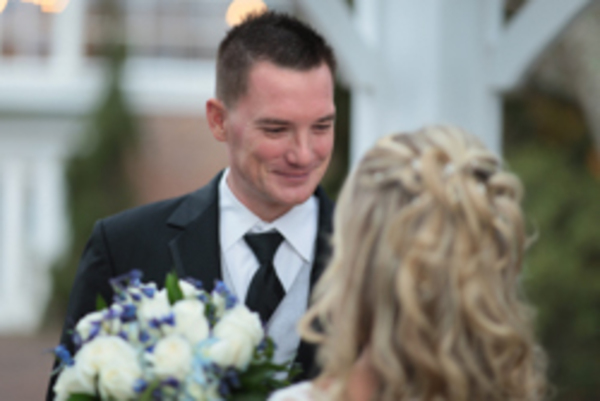 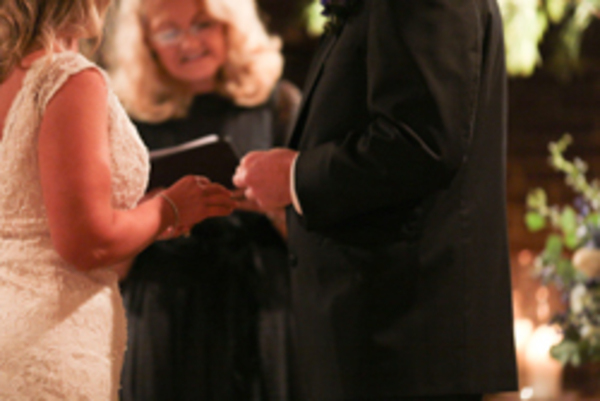 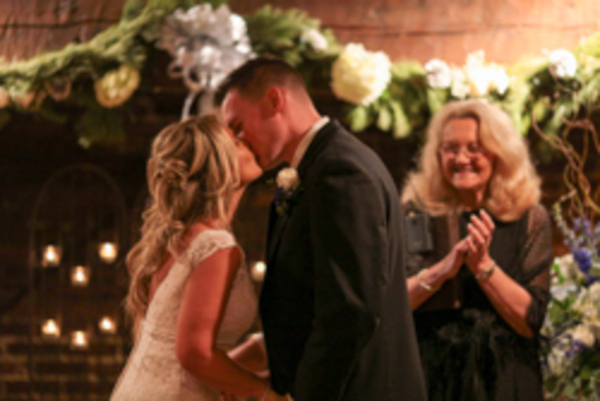 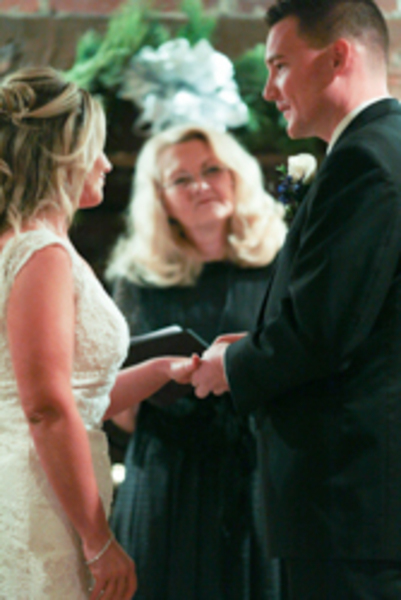 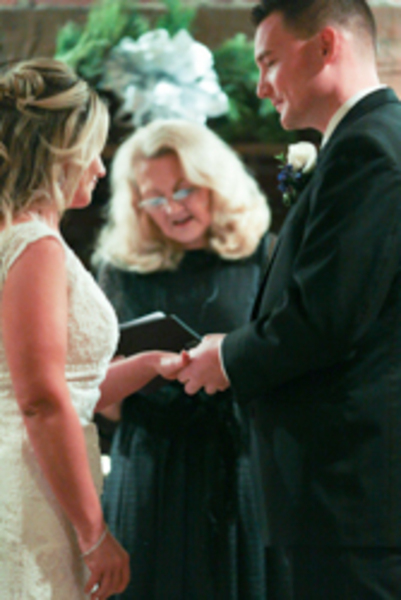 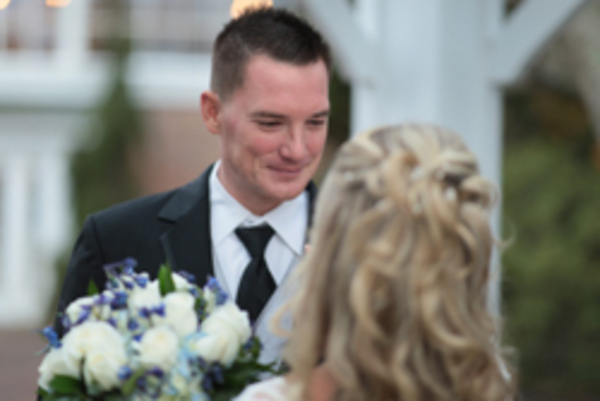 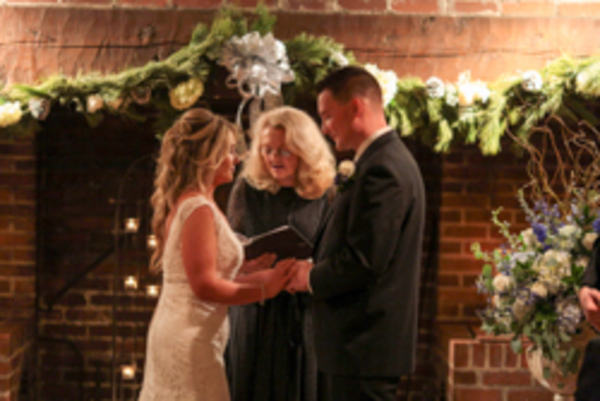 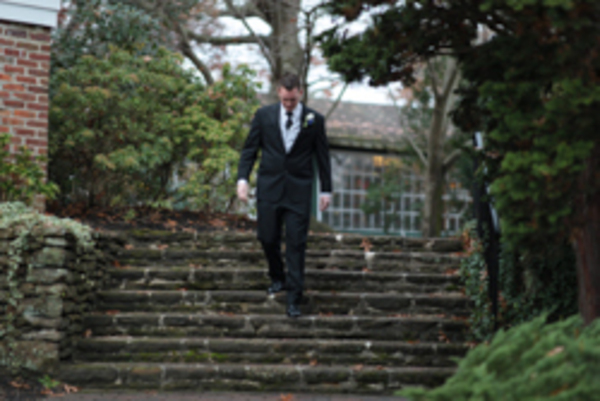 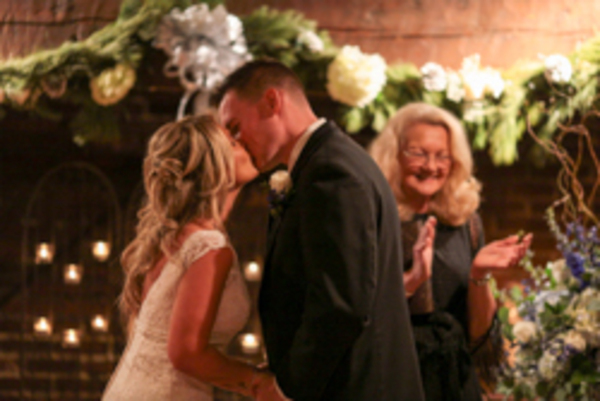 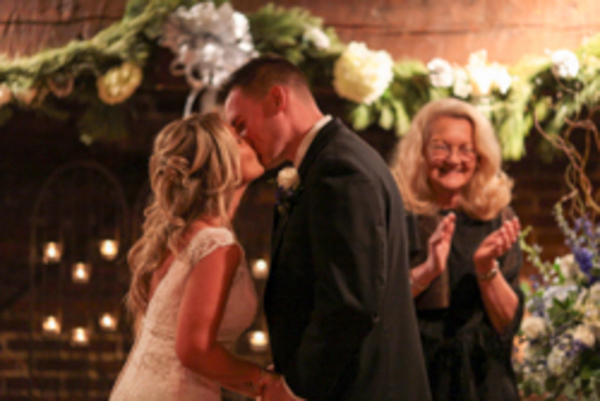 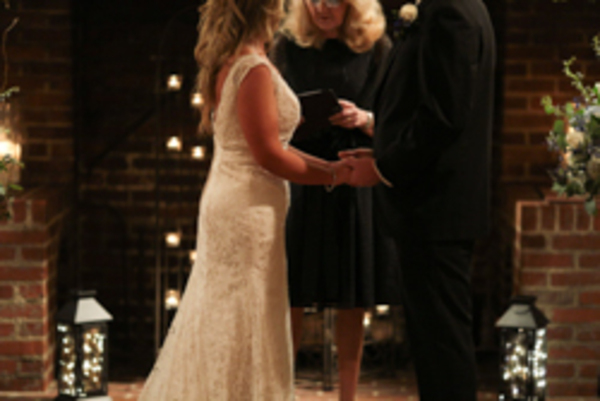 Magic and love were in the air as Chris walked his bride down the aisle to kick off the reception. 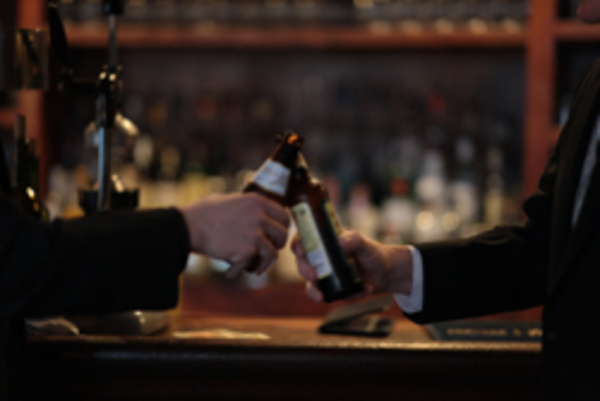 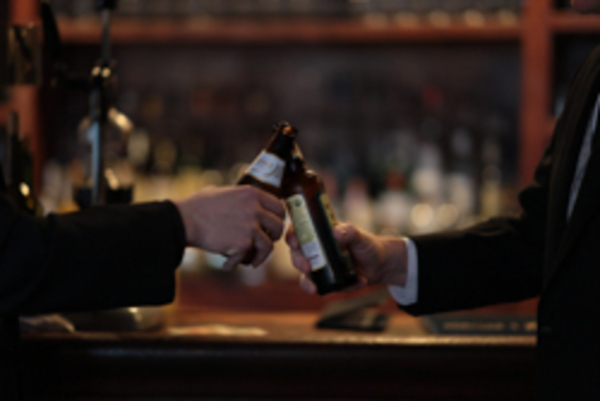 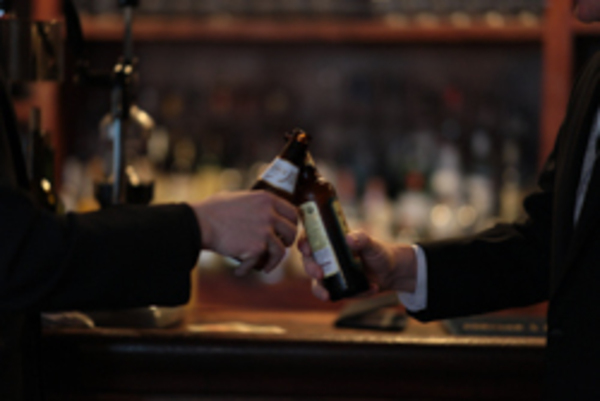 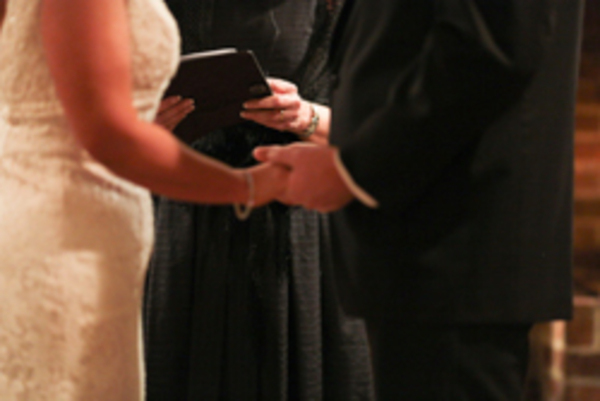 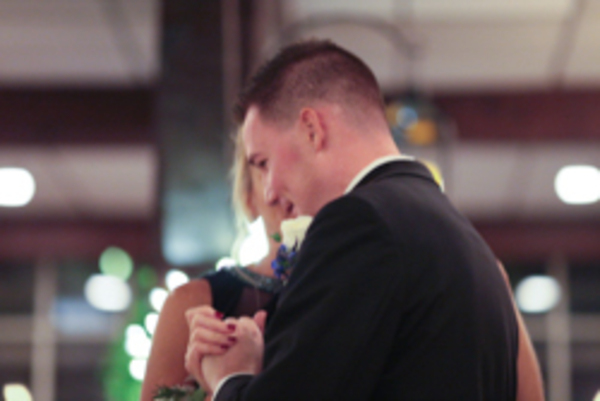 Here’s to a night of celebration and a lifetime together! 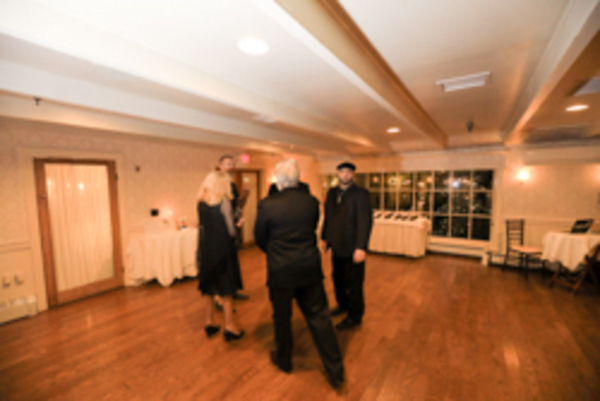 The magic did not leave the room here! 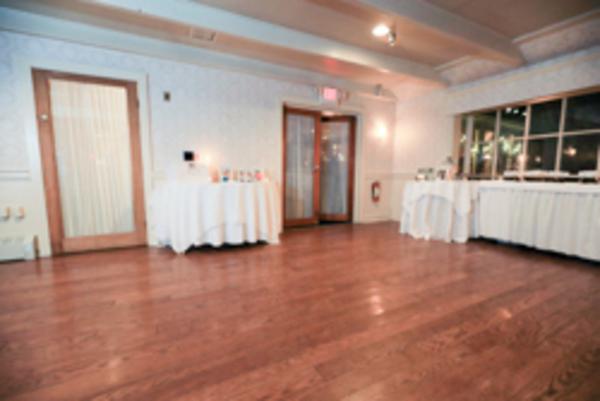 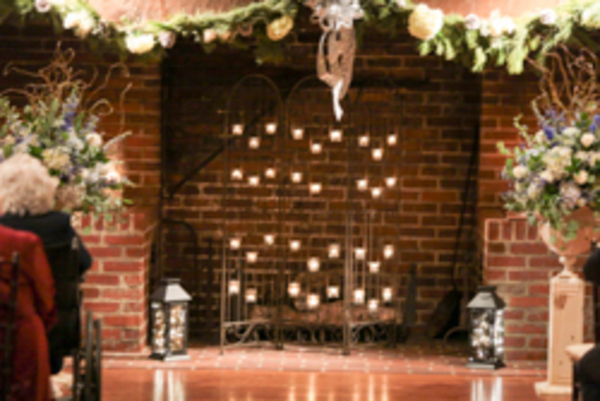 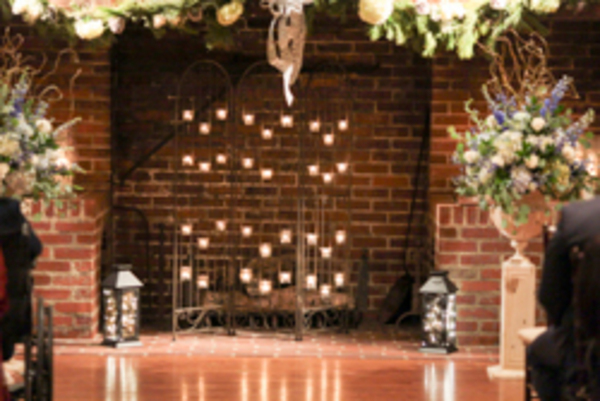 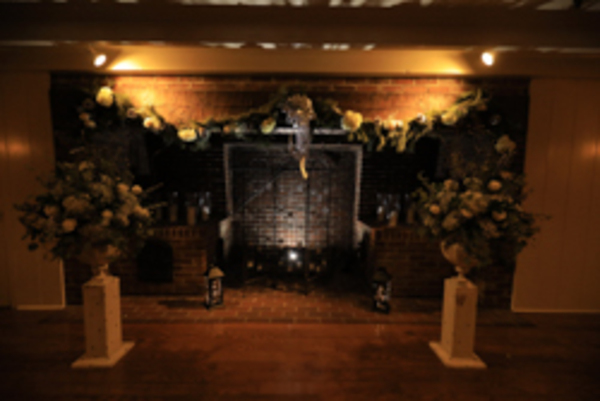 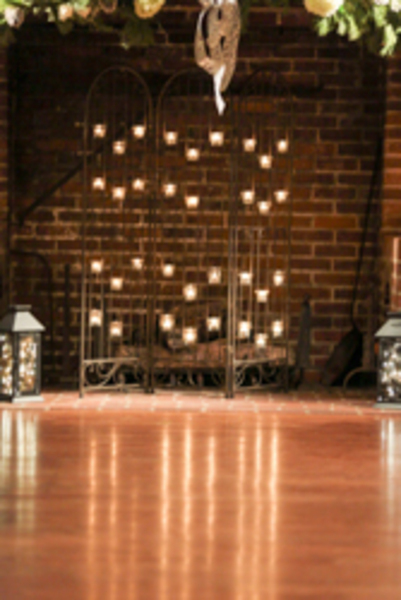 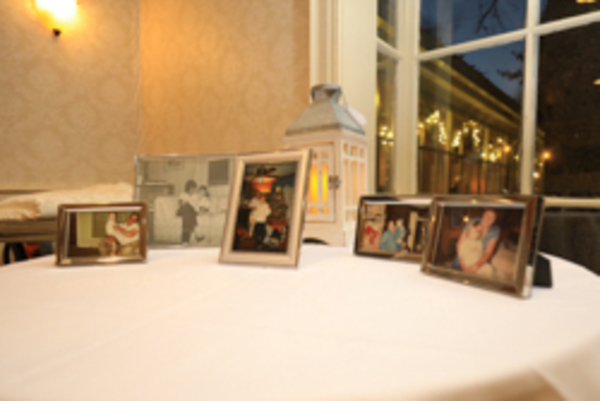 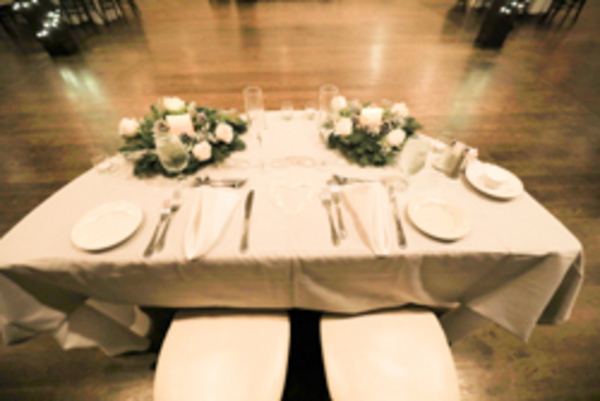 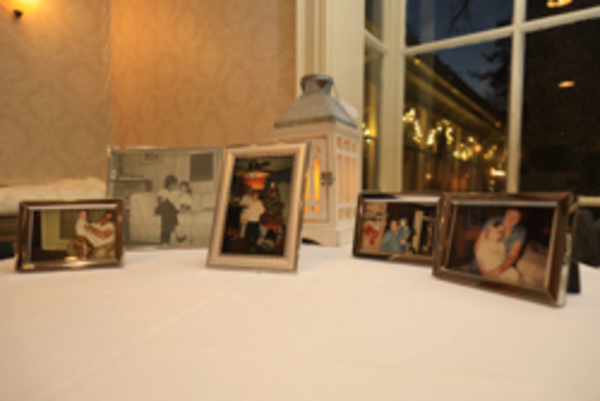 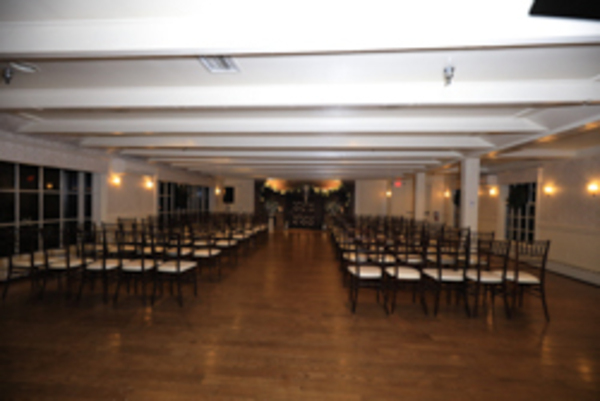 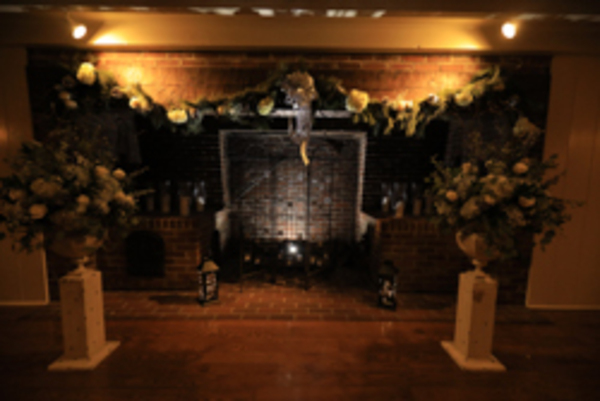 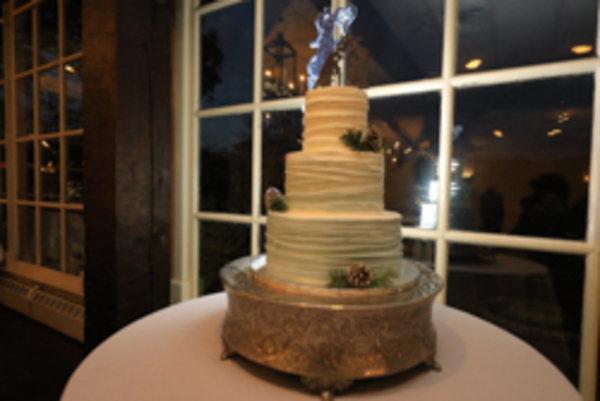 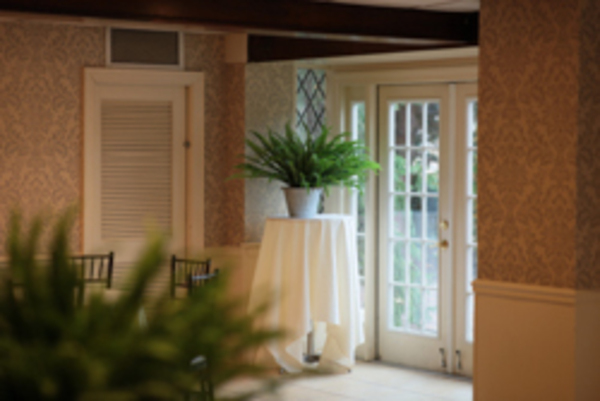 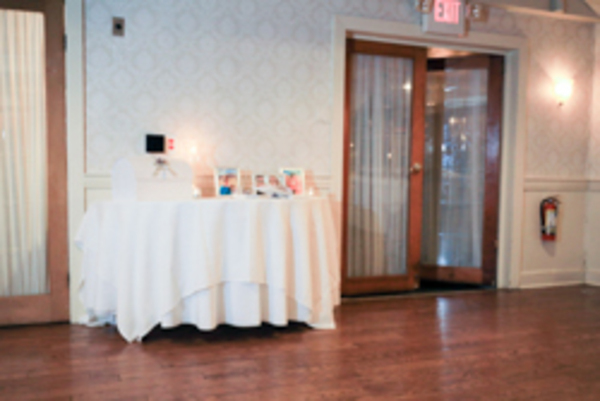 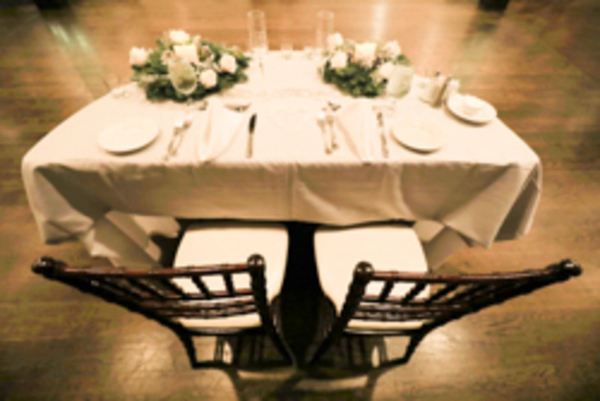 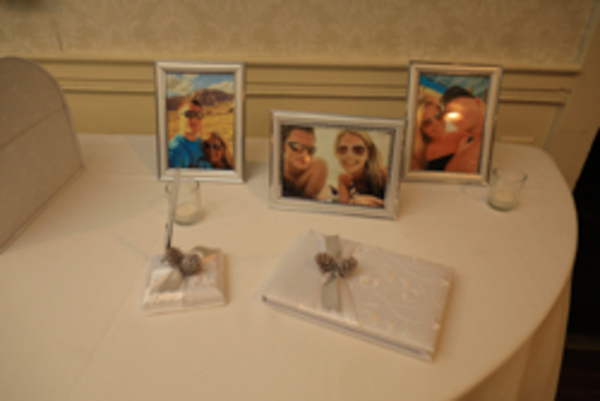 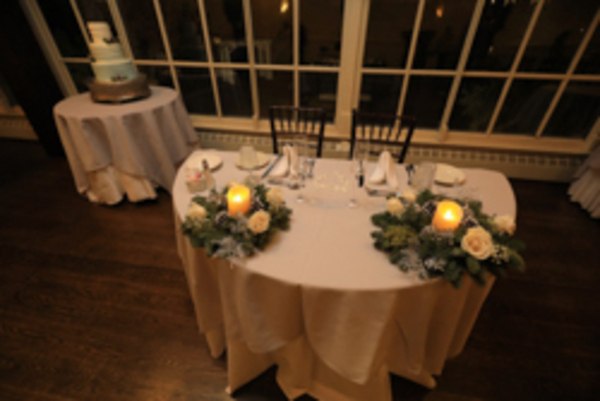 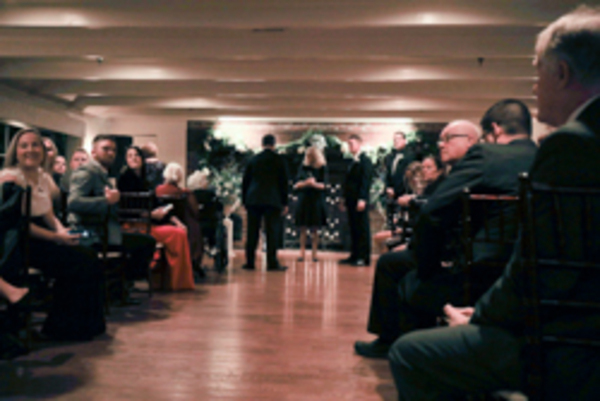 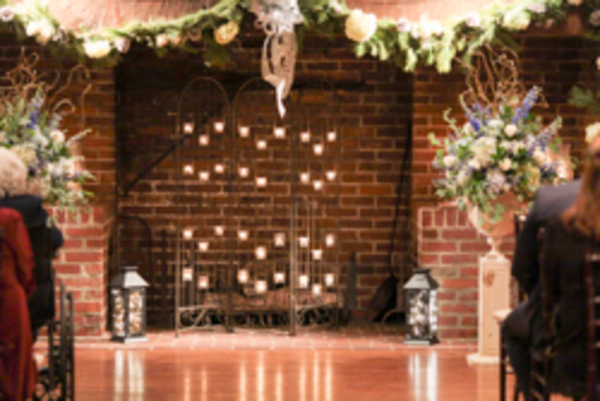 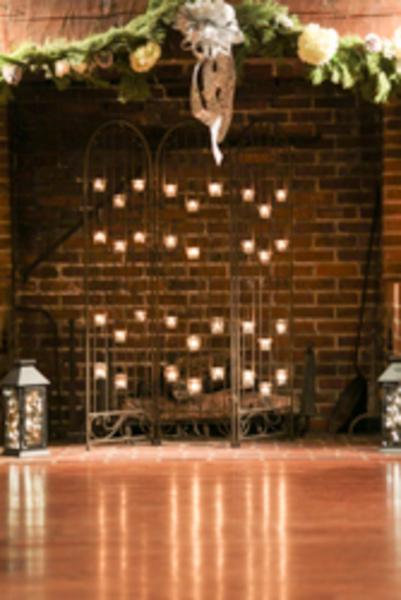 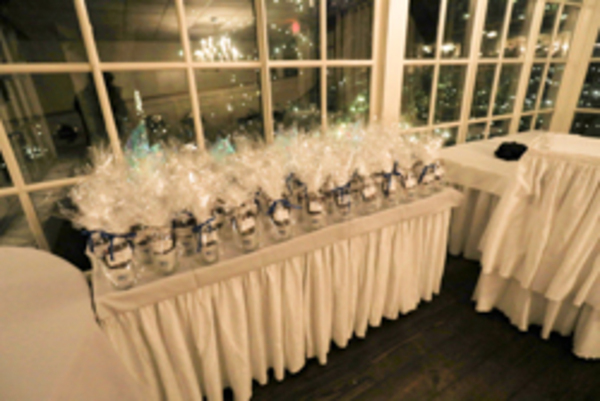 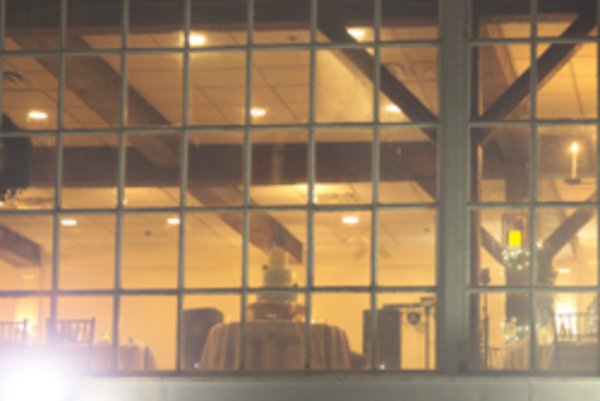 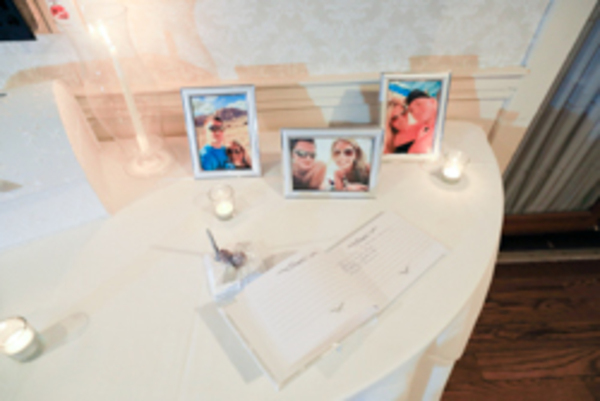 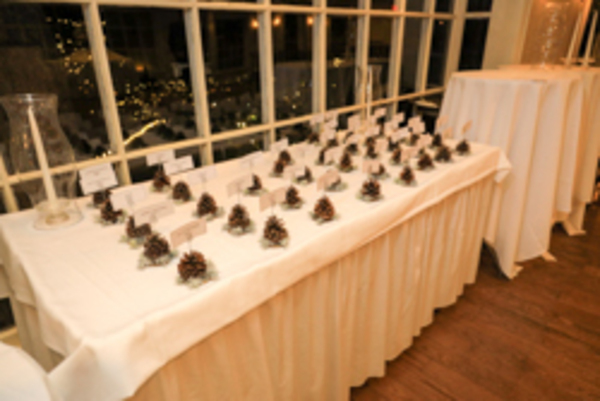 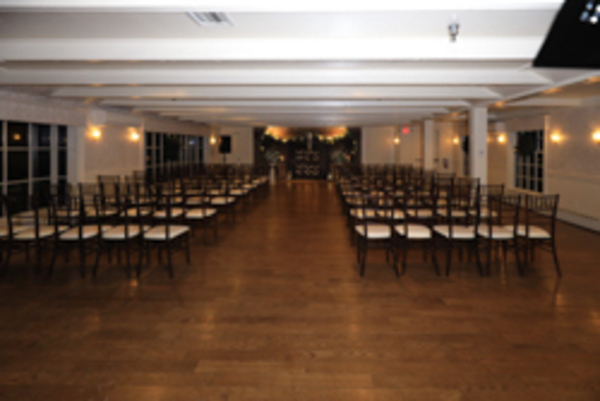 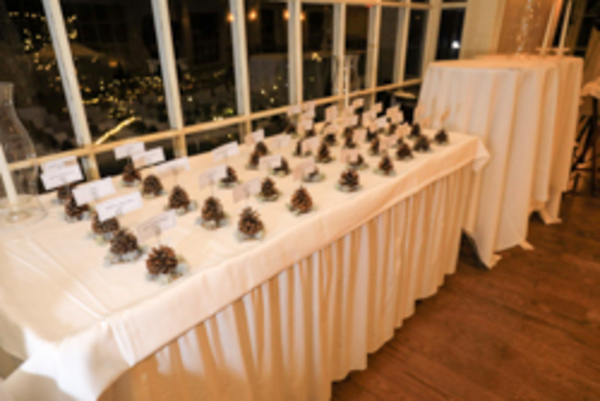 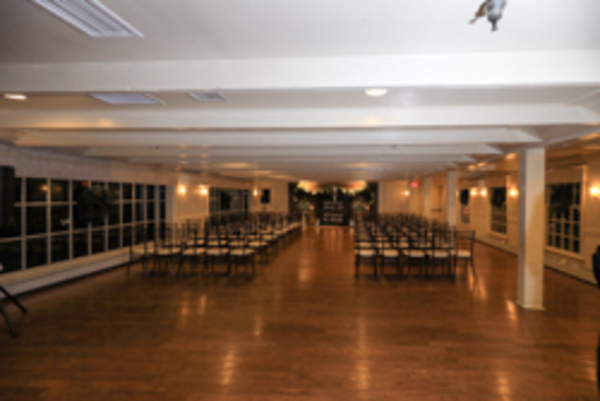 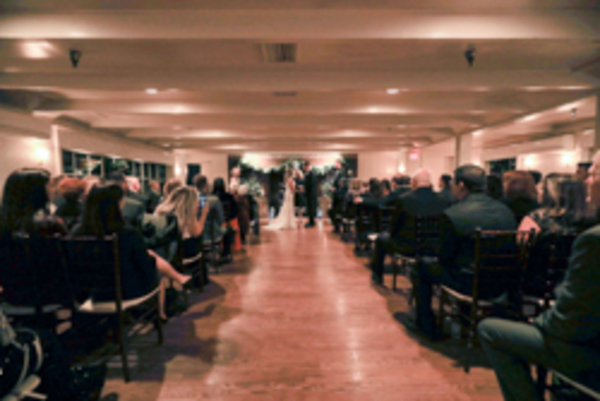 The reception hall had simple decorations that were just enough to tie the room together. 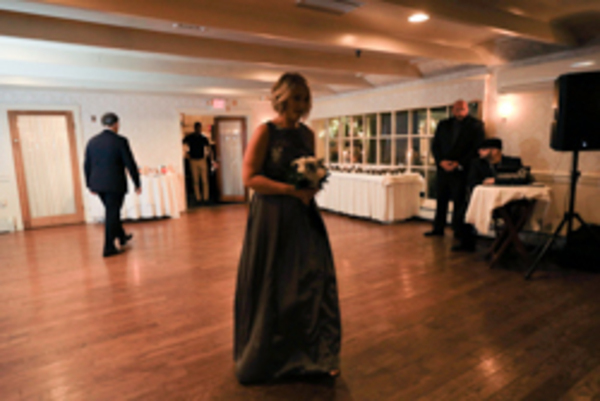 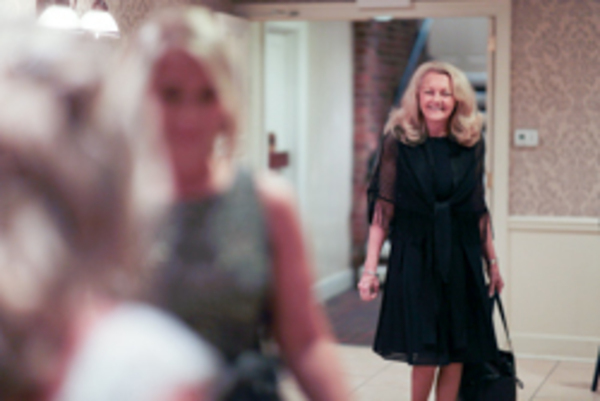 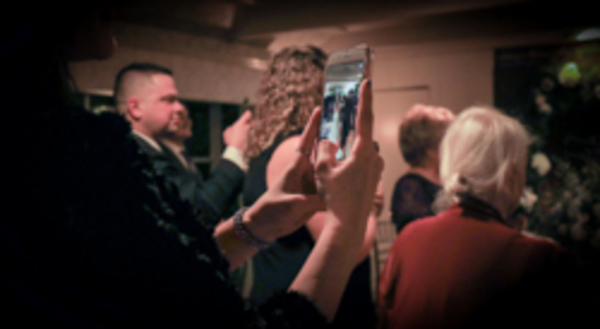 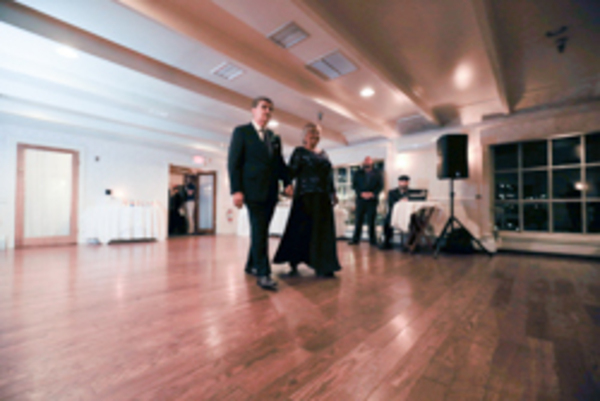 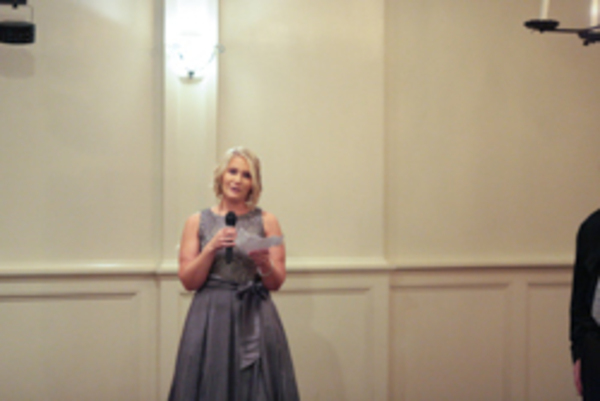 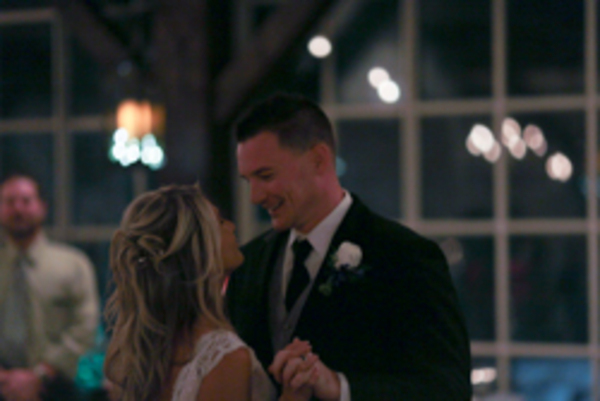 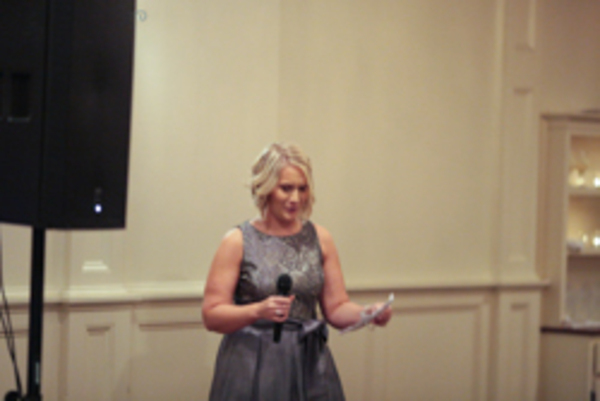 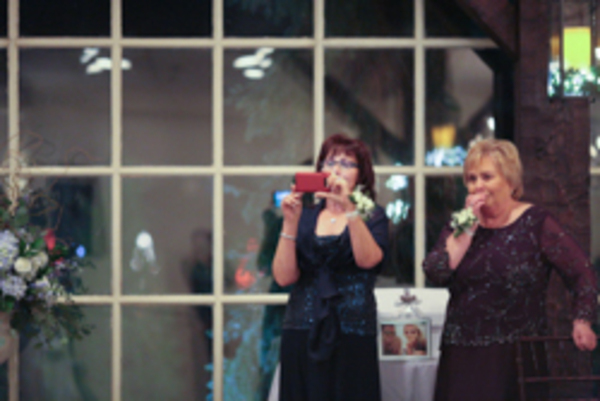 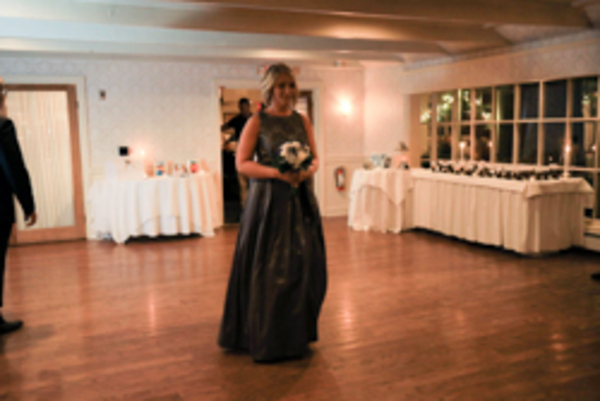 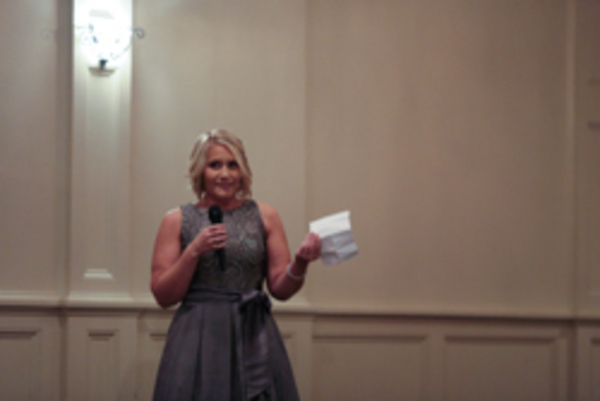 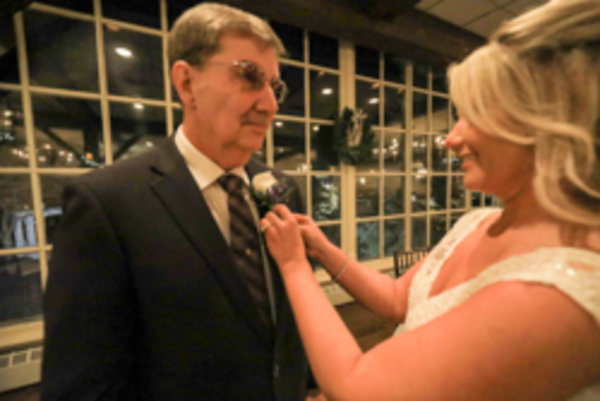 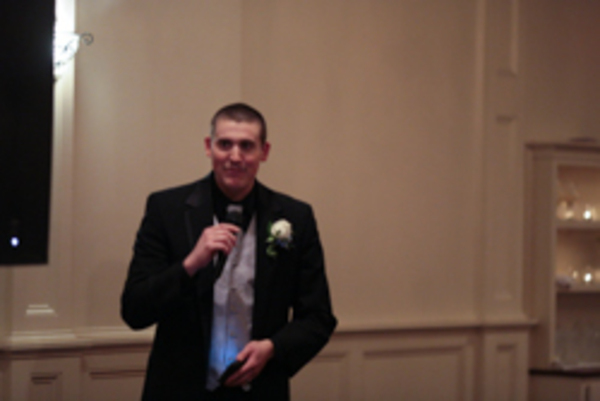 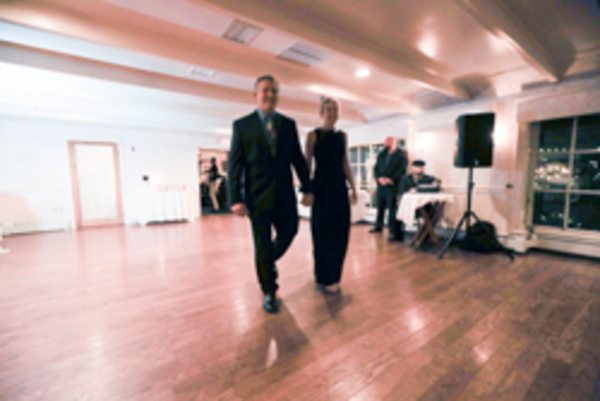 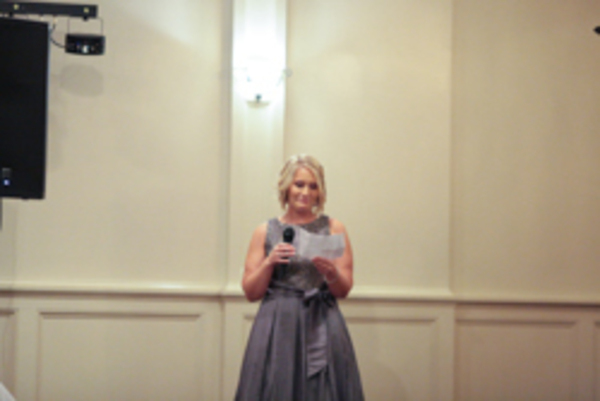 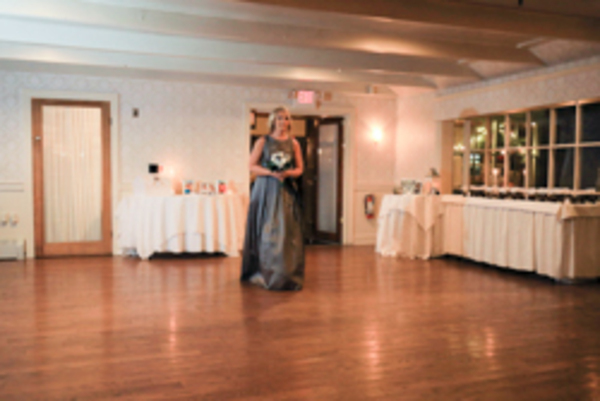 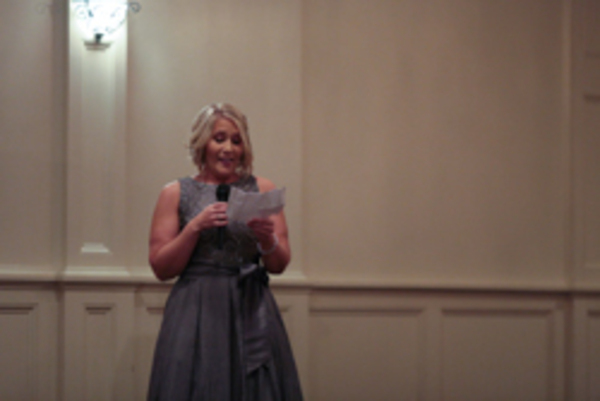 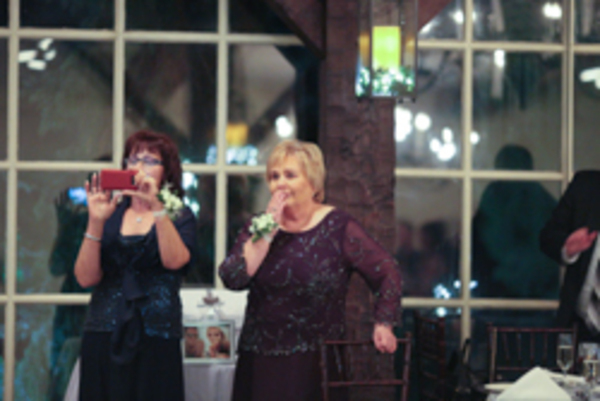 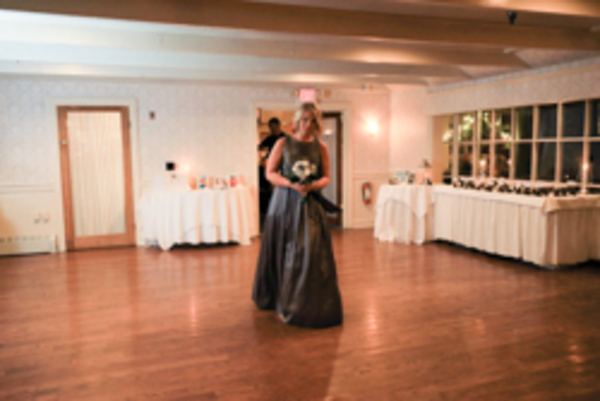 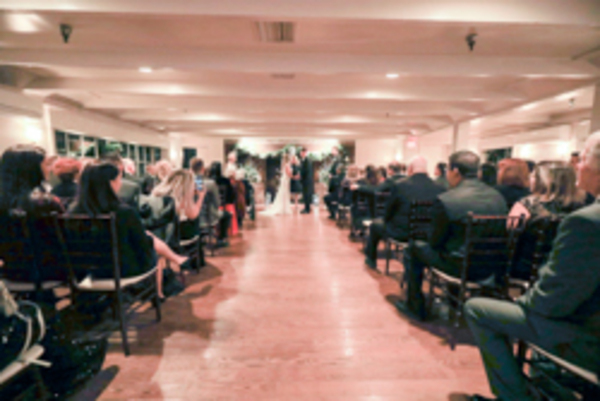 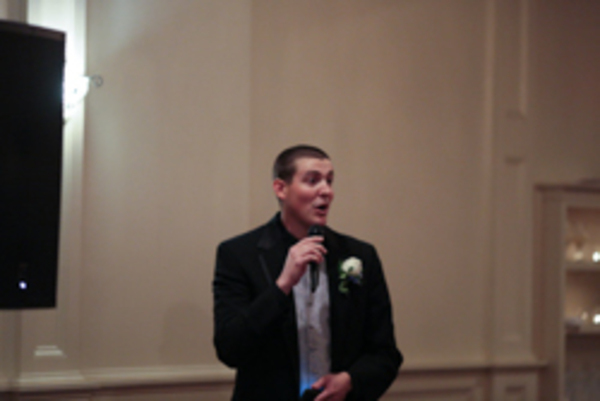 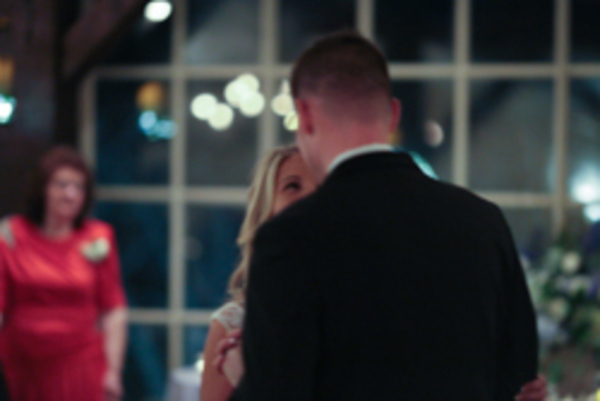 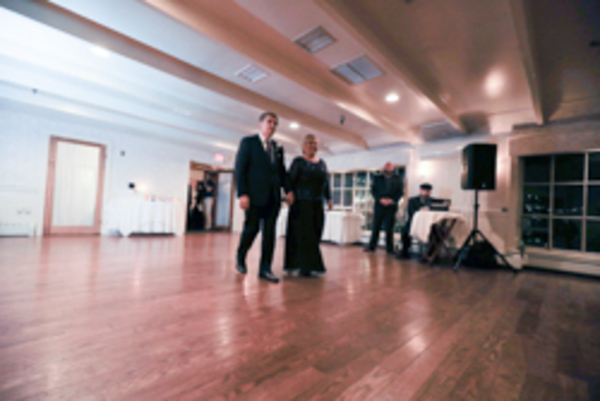 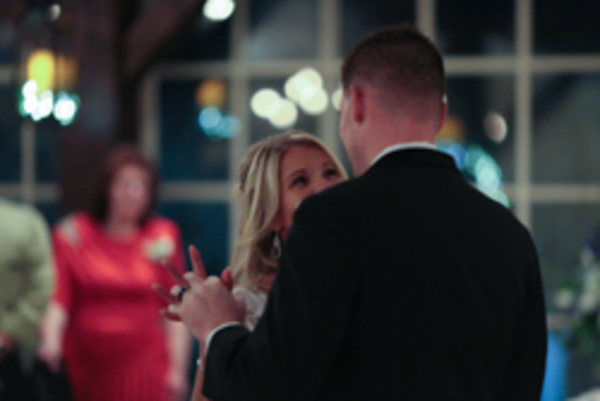 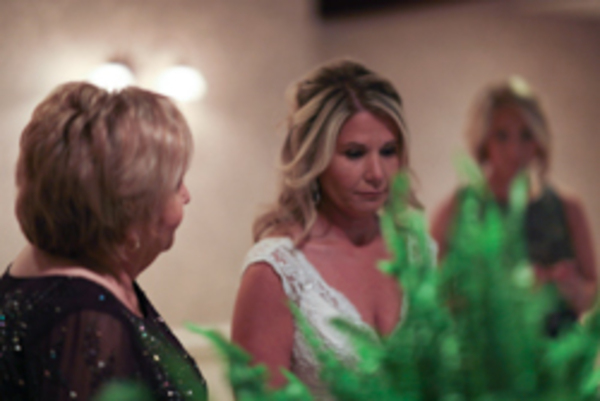 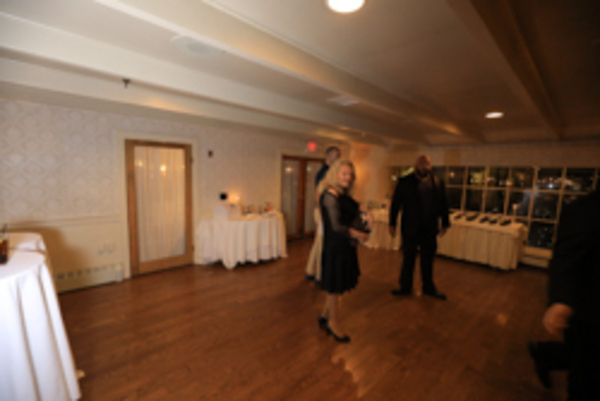 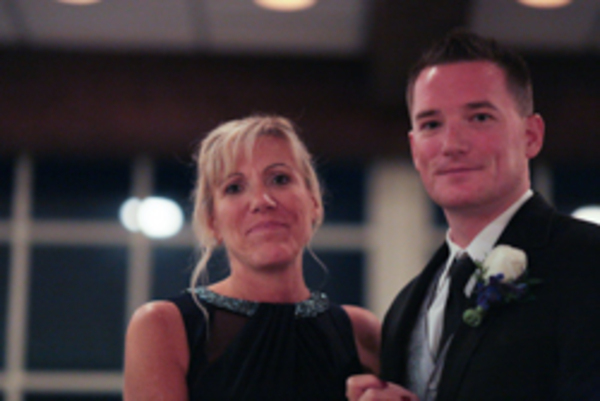 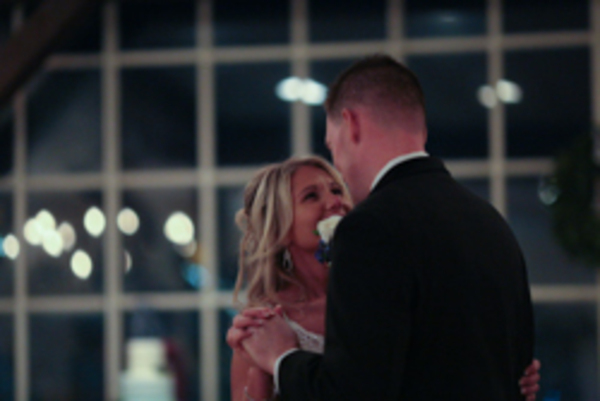 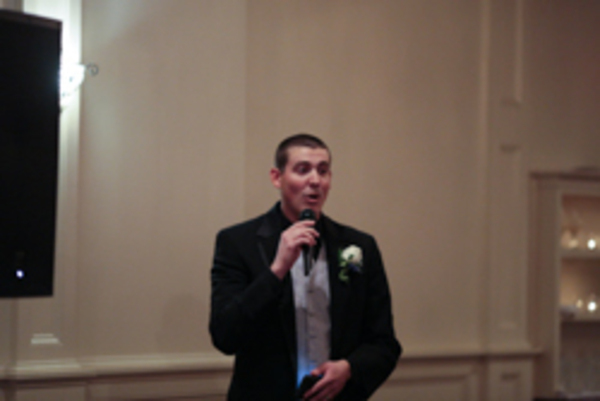 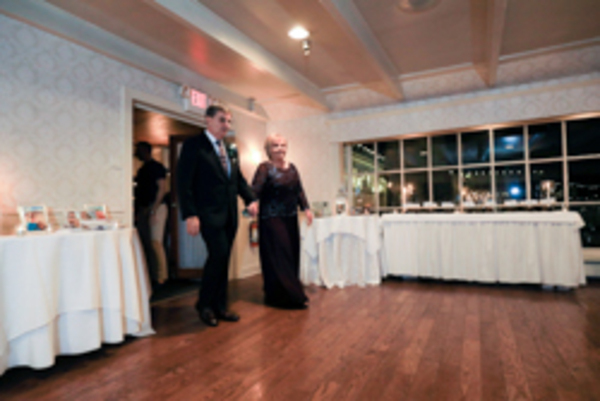 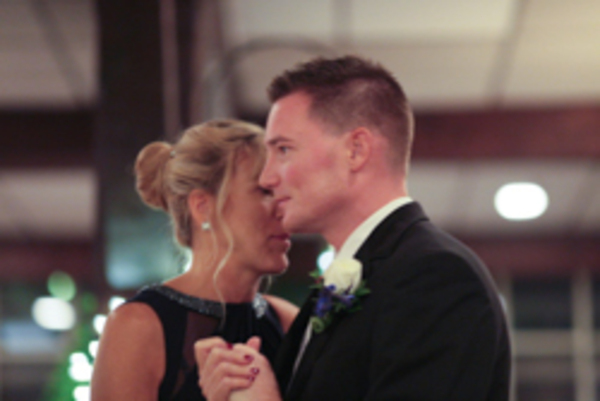 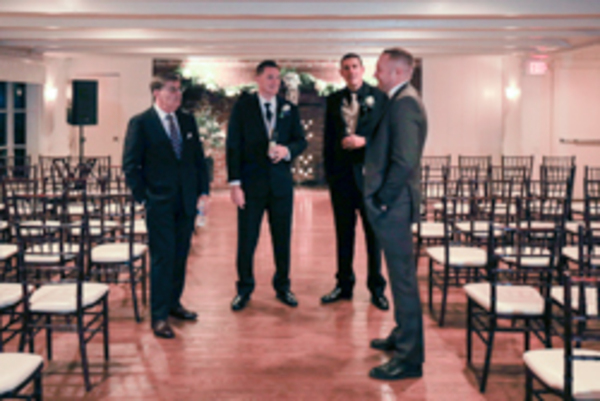 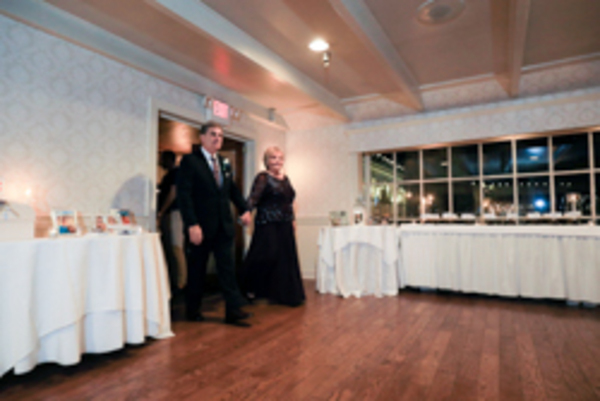 Our NJ Wedding Photographer stuck around all night long to capture the dancing and the joyful times in celebrating Kelly and Chris. 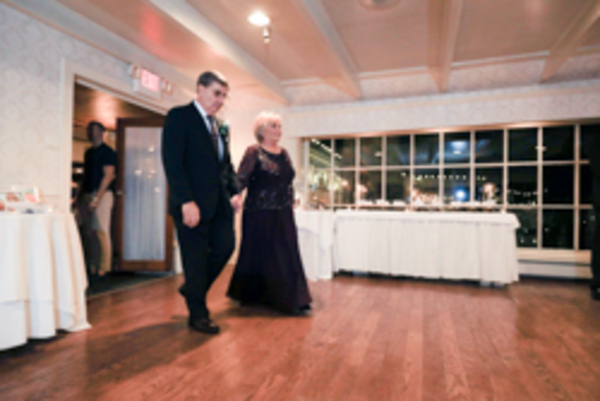 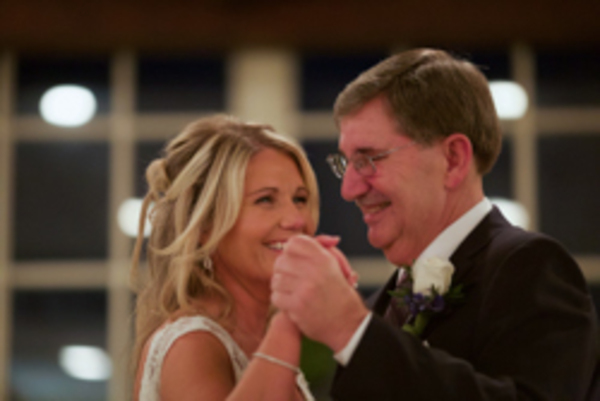 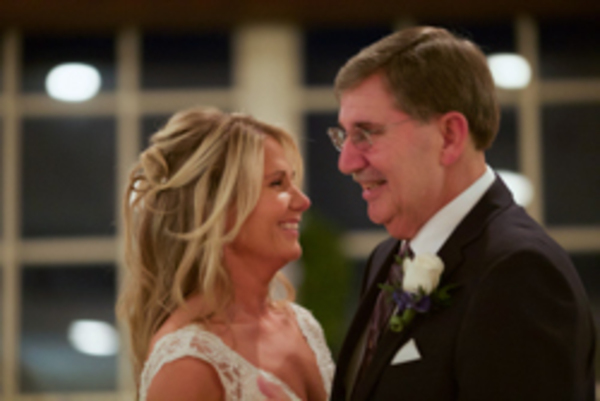 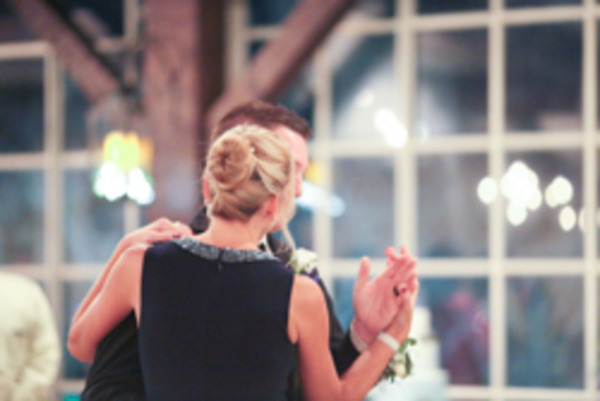 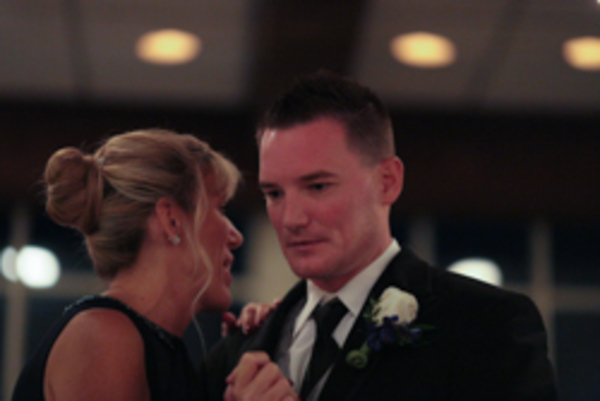 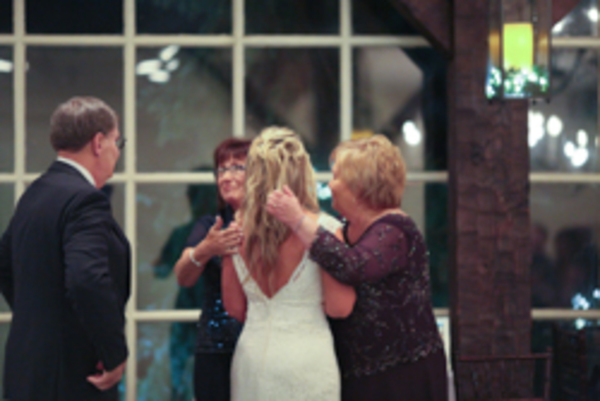 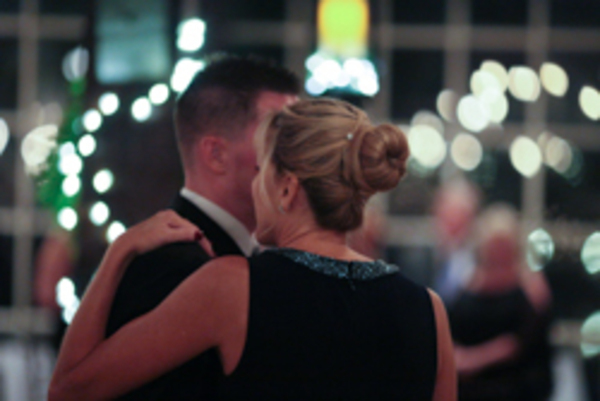 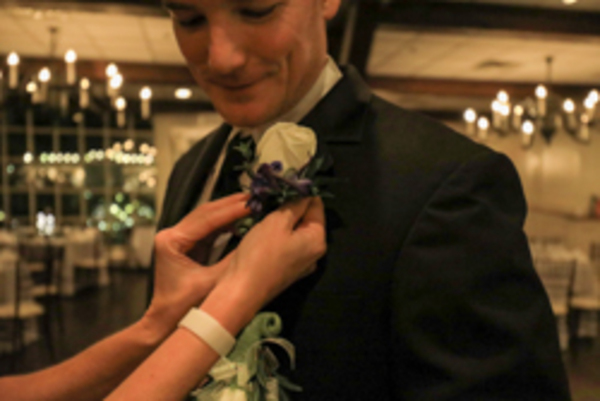 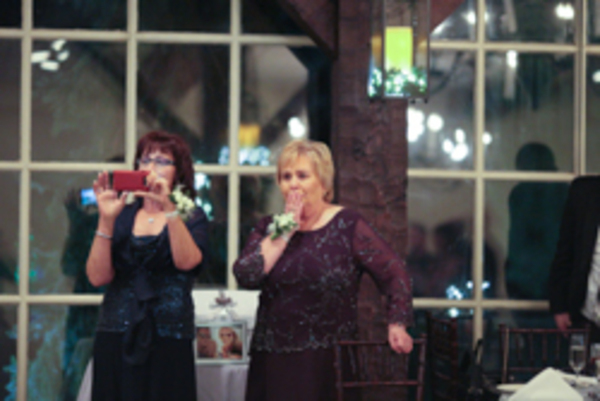 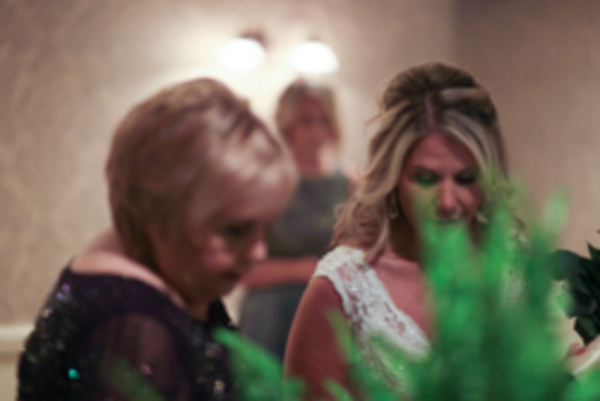 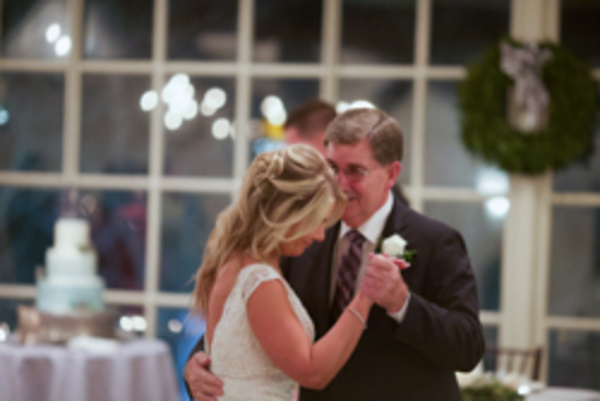 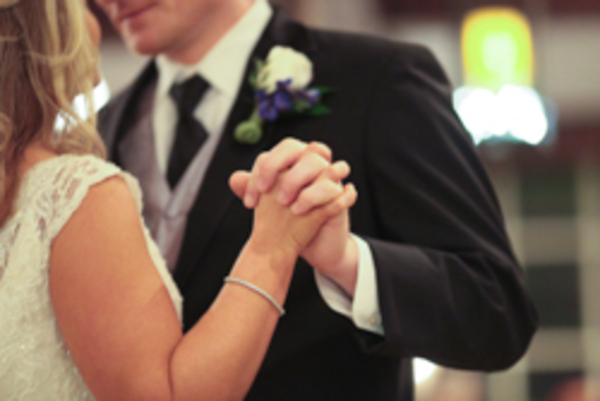 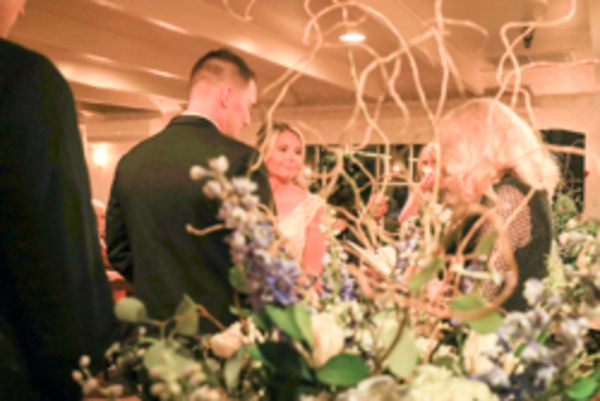 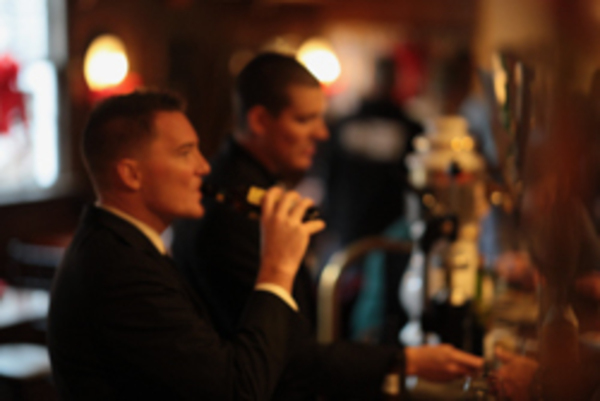 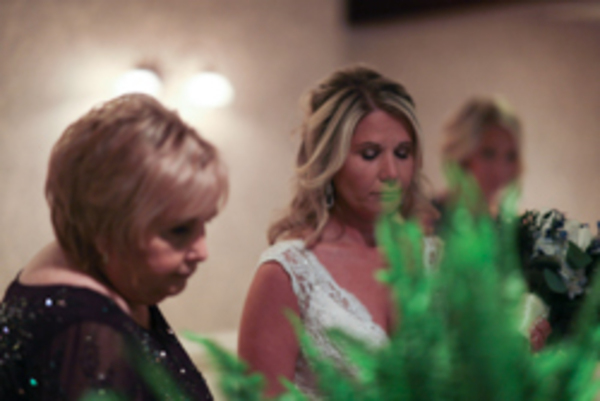 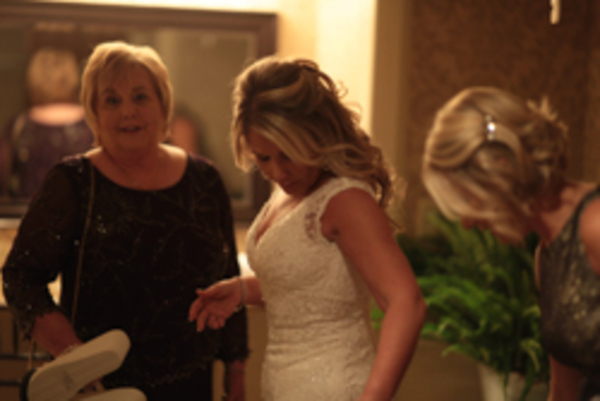 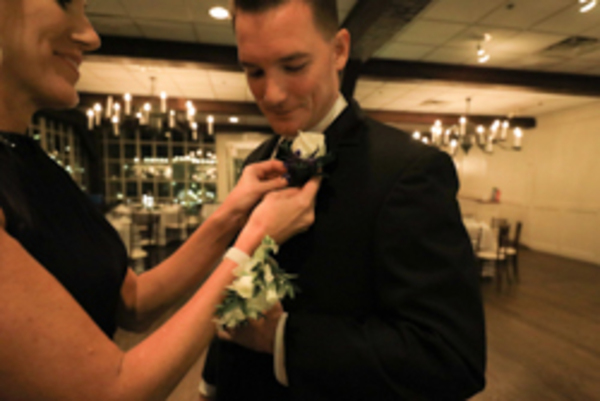 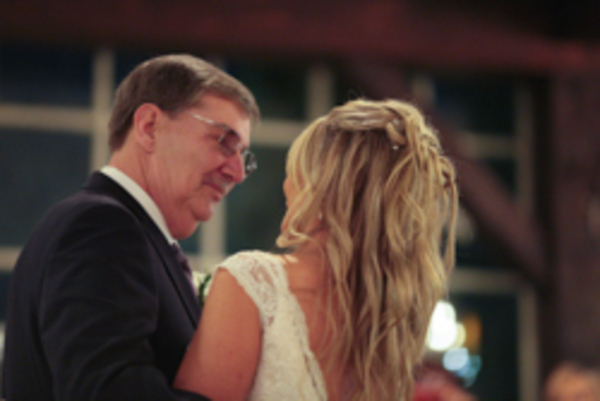 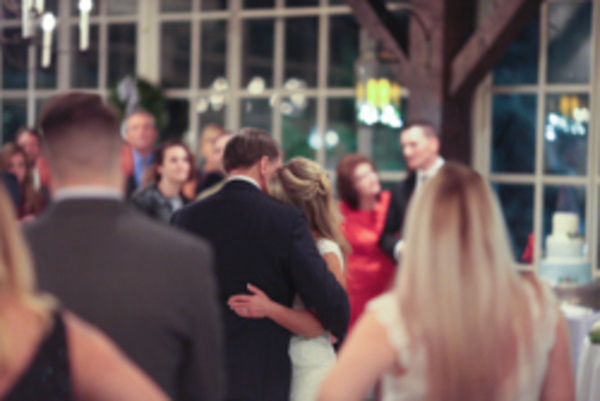 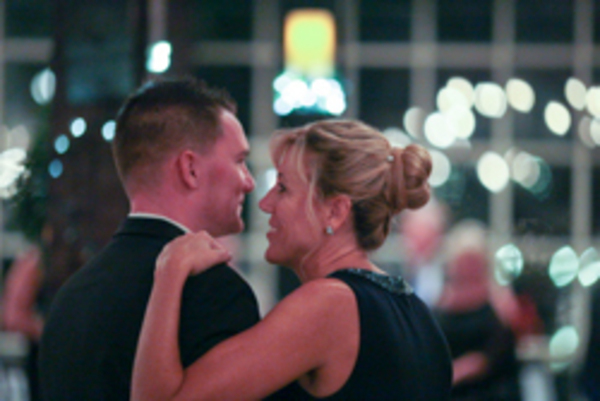 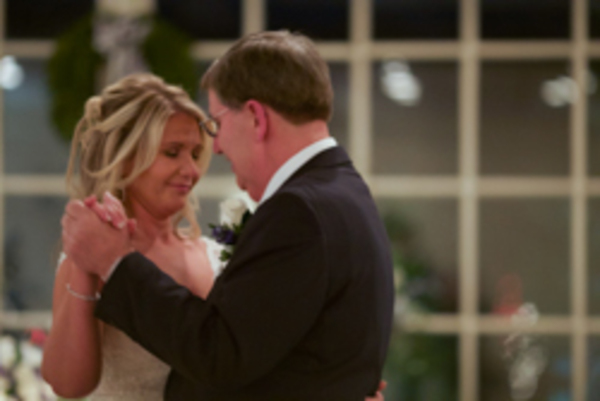 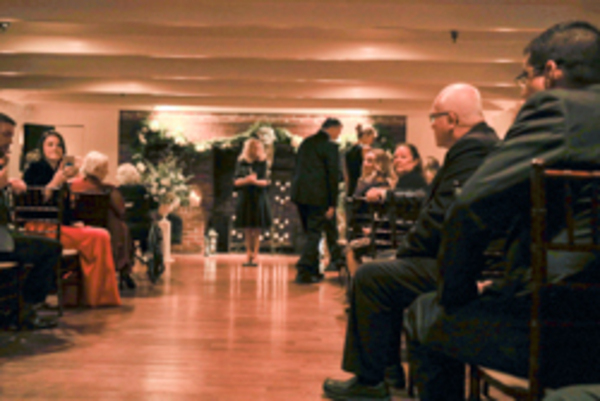 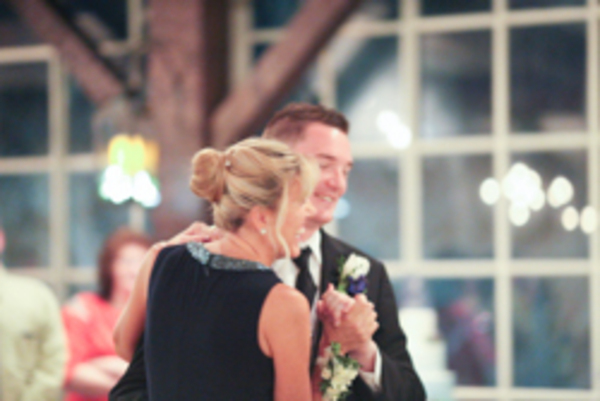 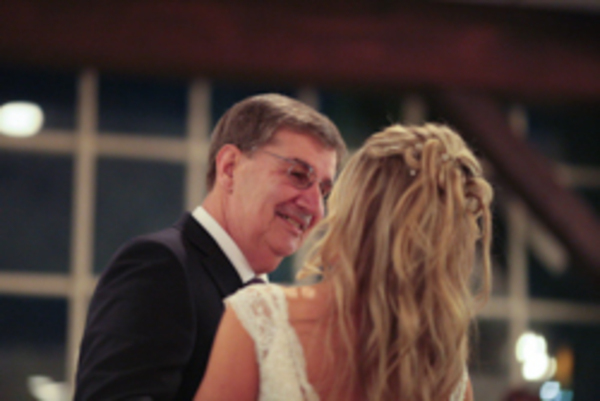 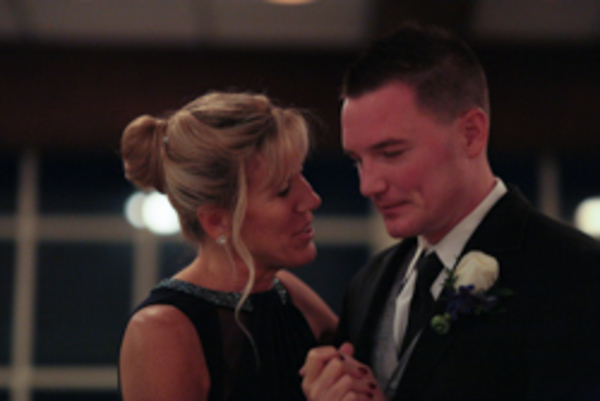 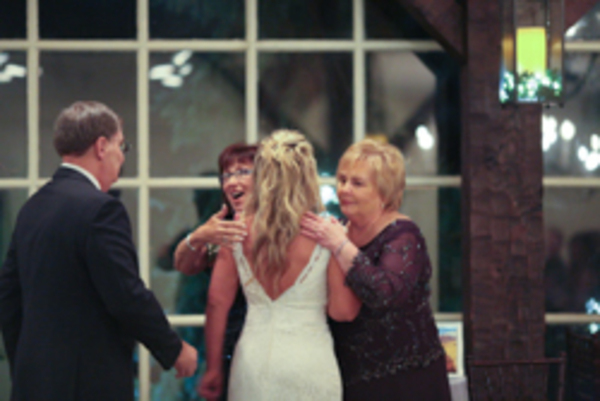 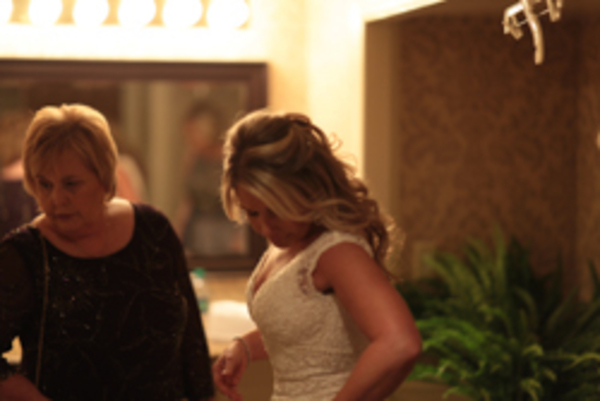 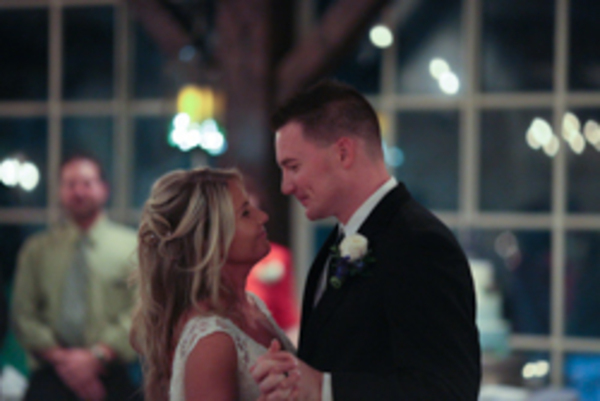 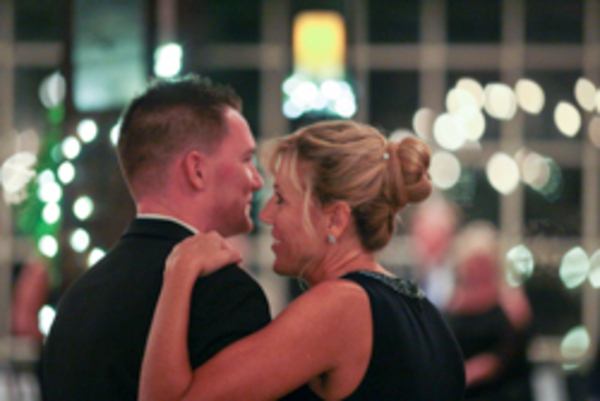 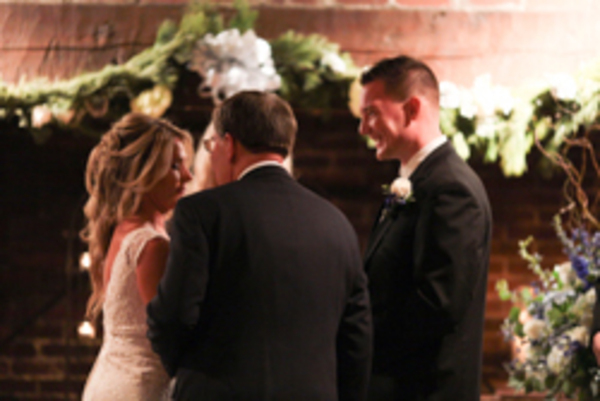 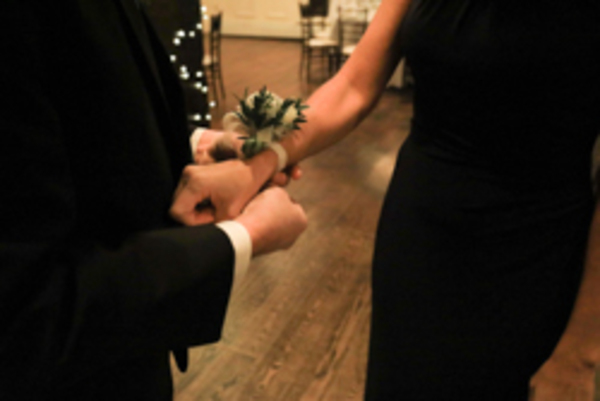 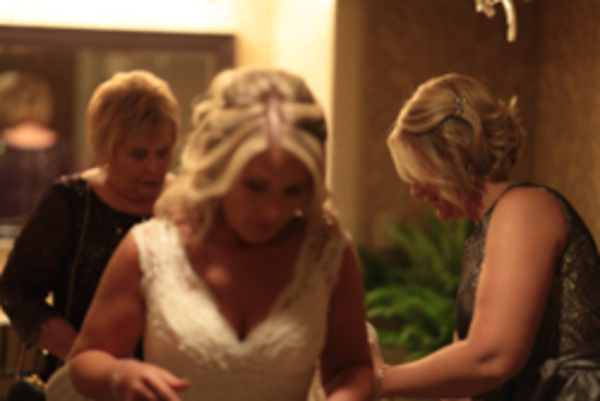 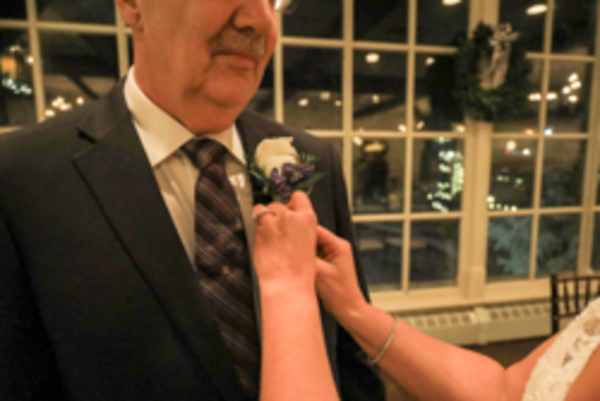 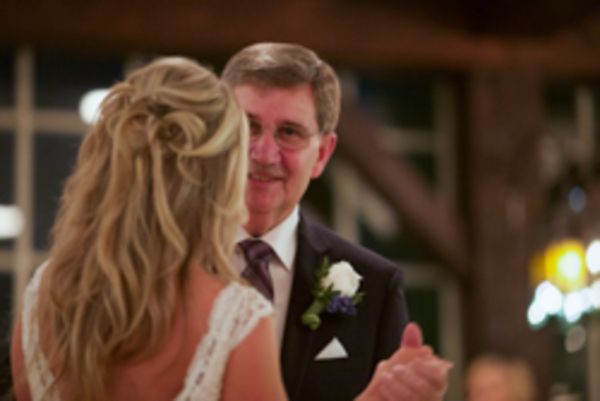 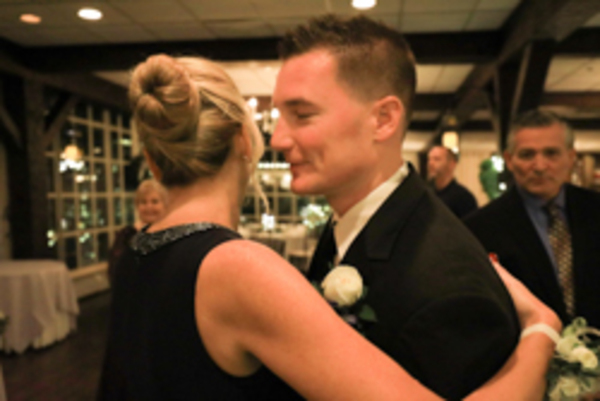 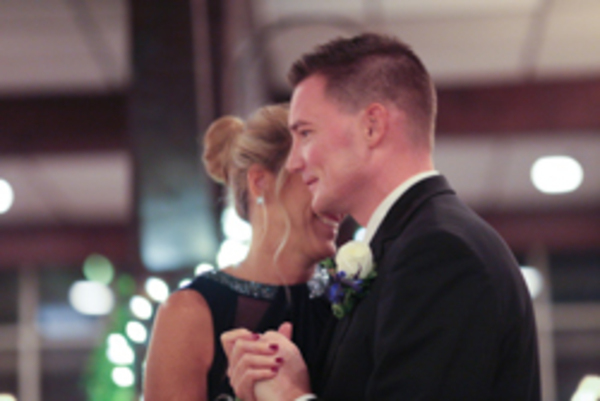 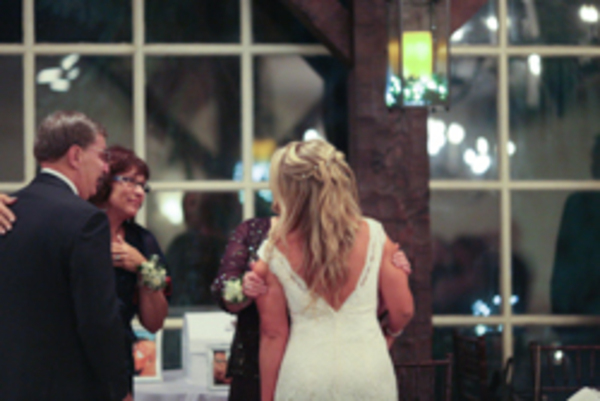 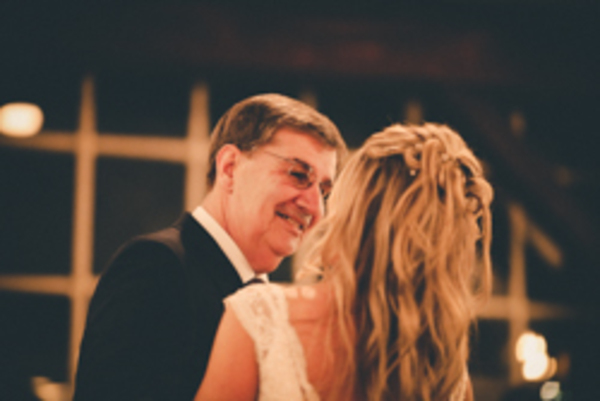 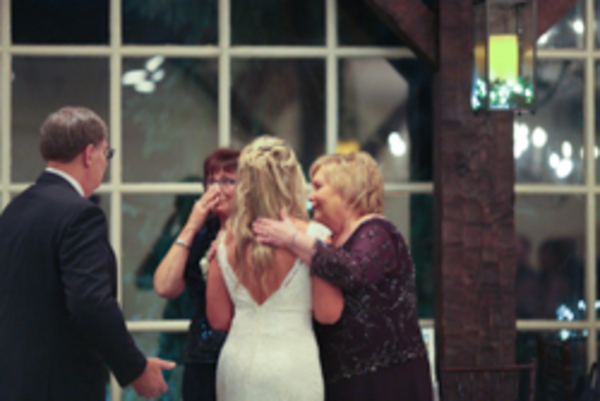 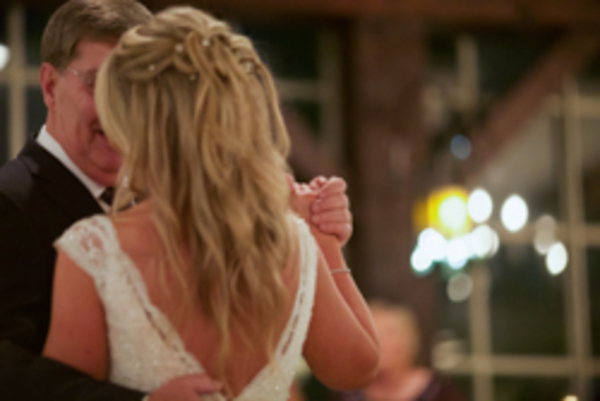 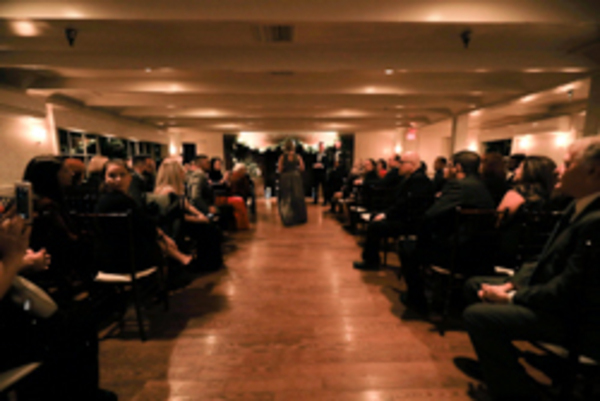 They spent their night on the dance floor and having fun gathered around their loved ones. 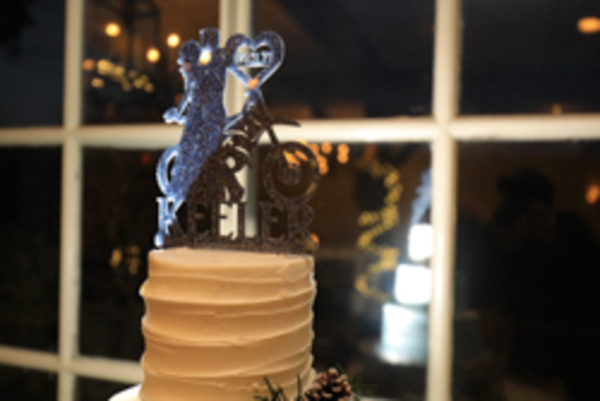 Congratulations, again, to Kelly and Chris. 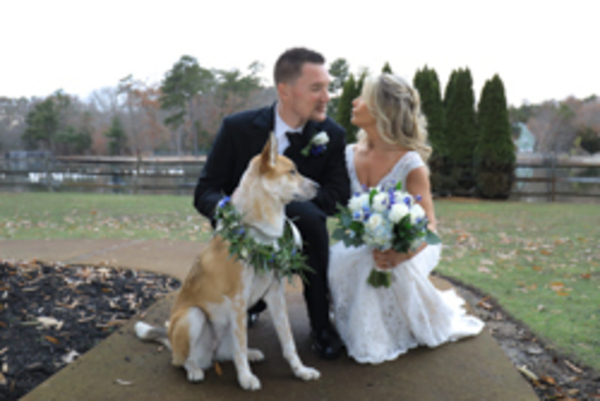 We wish you nothing but the very best in love and in life!